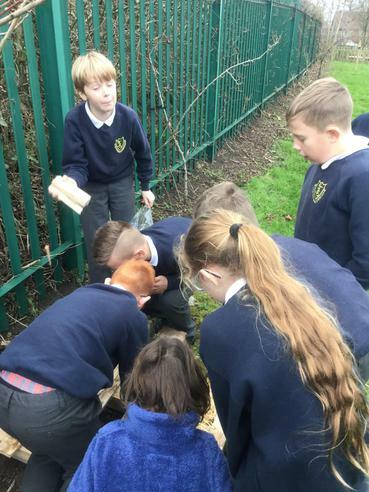 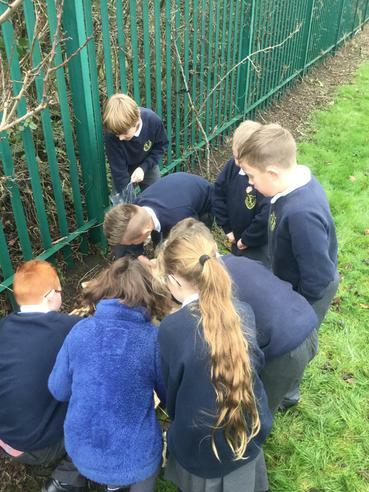 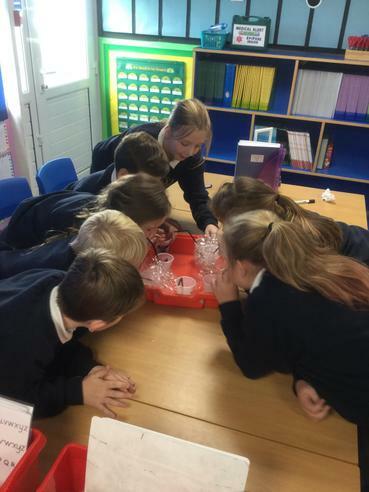 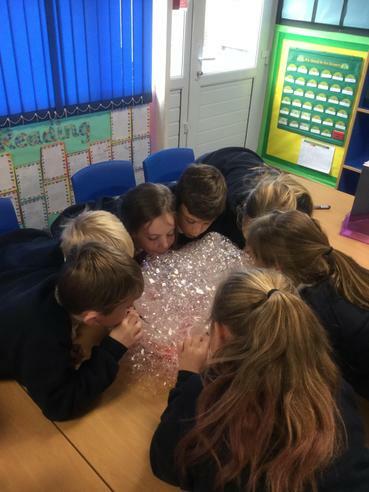 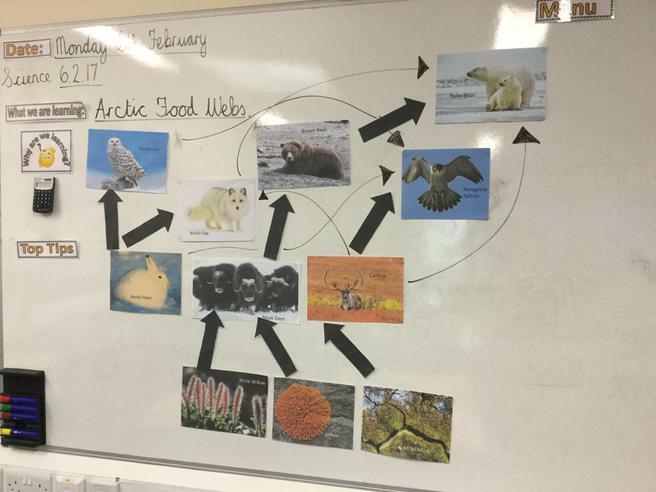 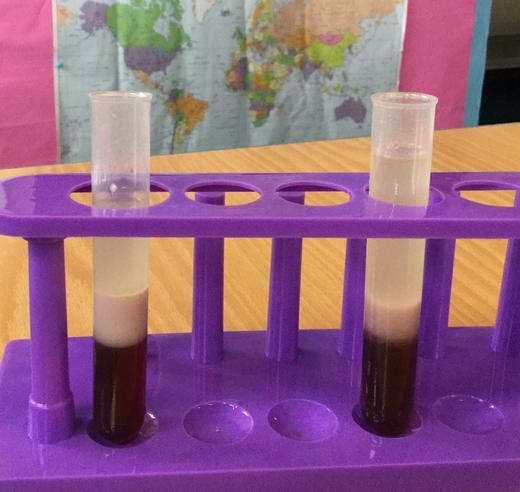 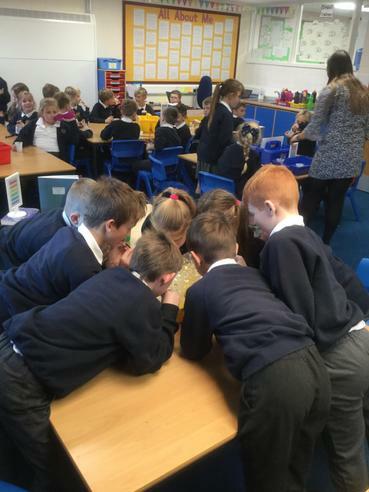 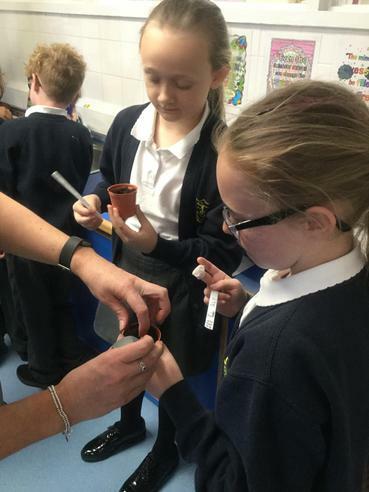 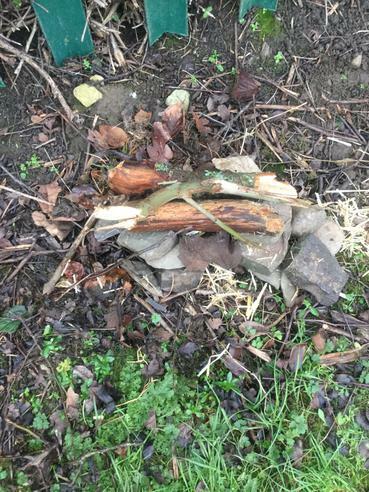 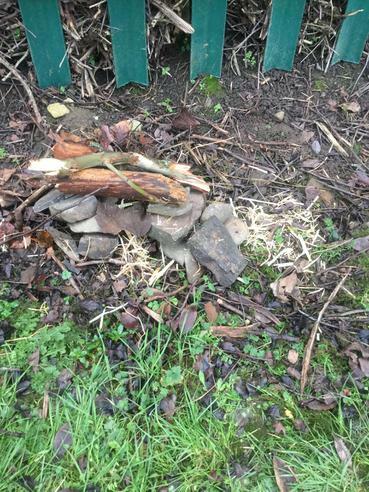 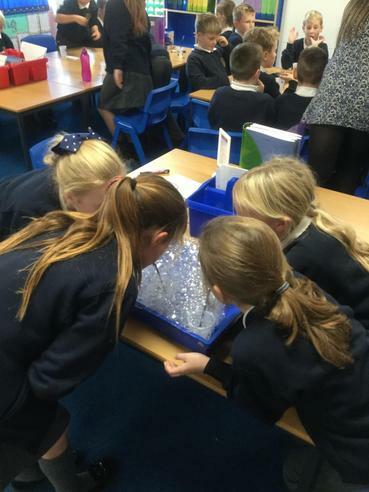 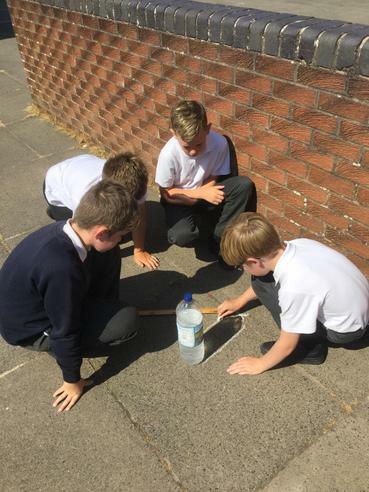 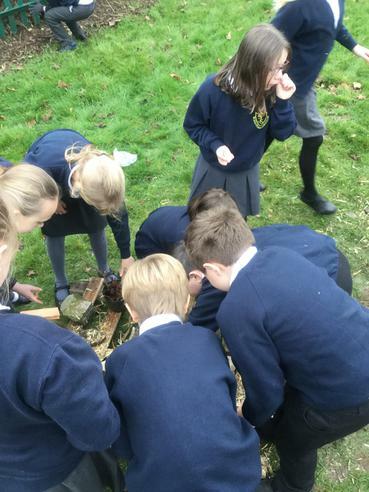 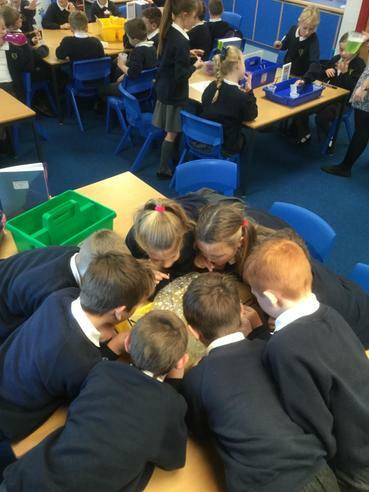 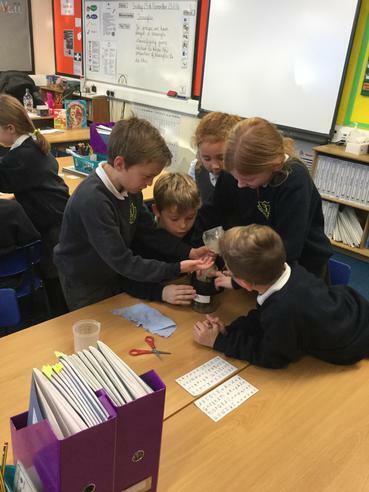 We are curious thinkers at Seaton St. Paul's C of E Junior School and love to investigate and find out more about the world. 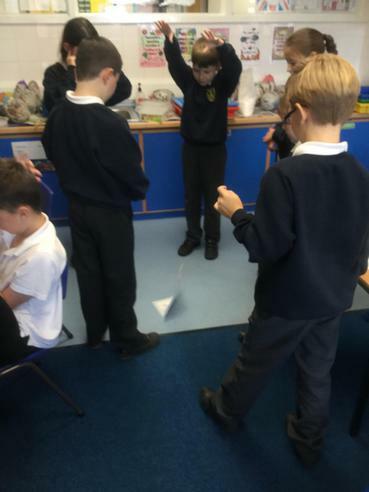 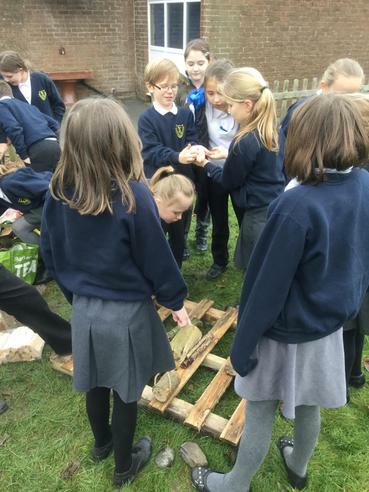 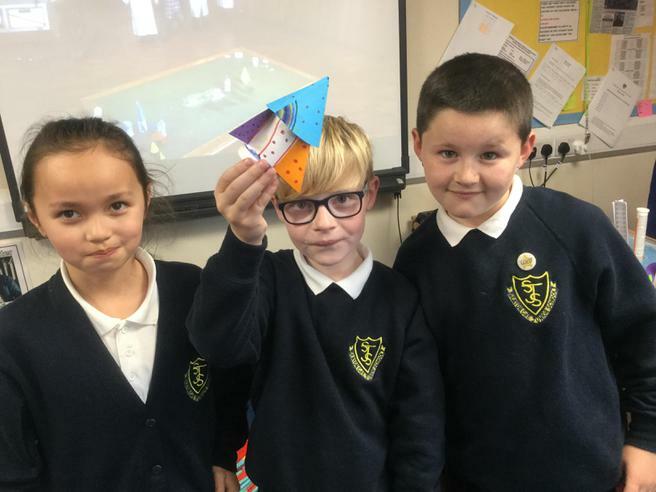 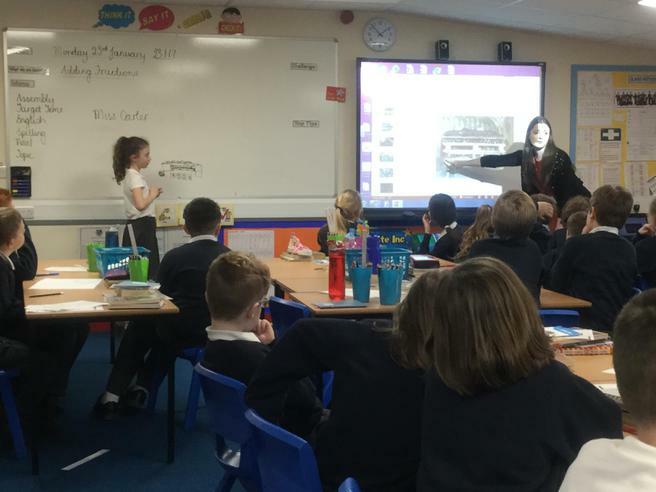 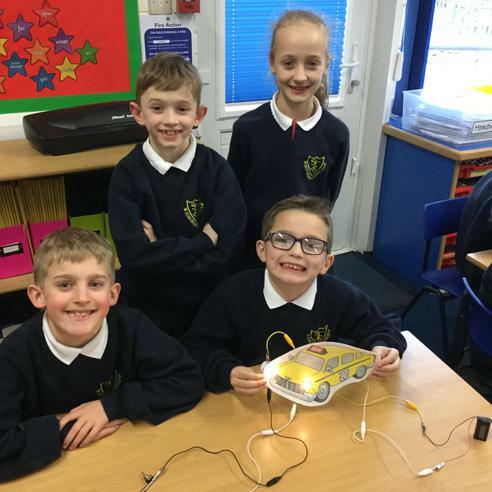 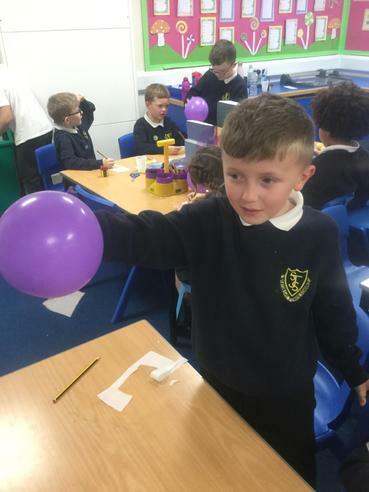 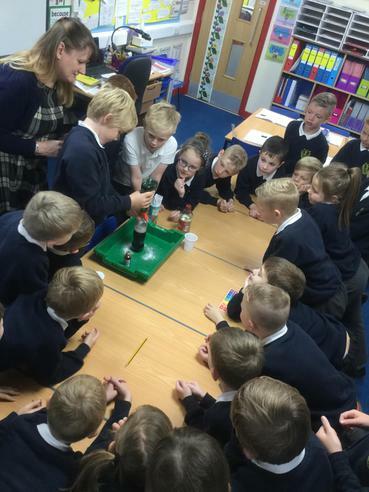 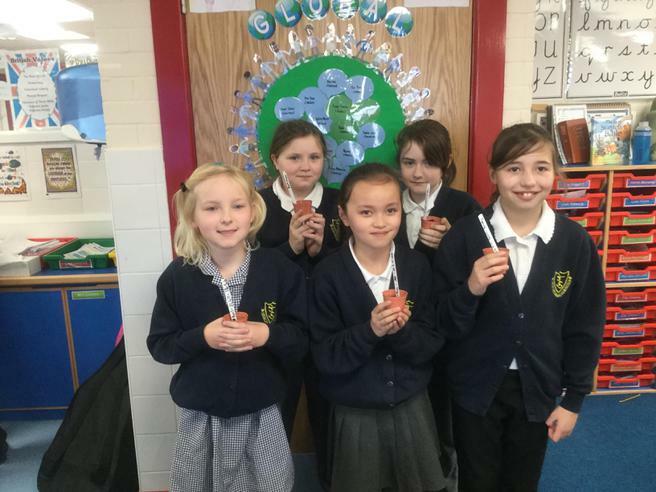 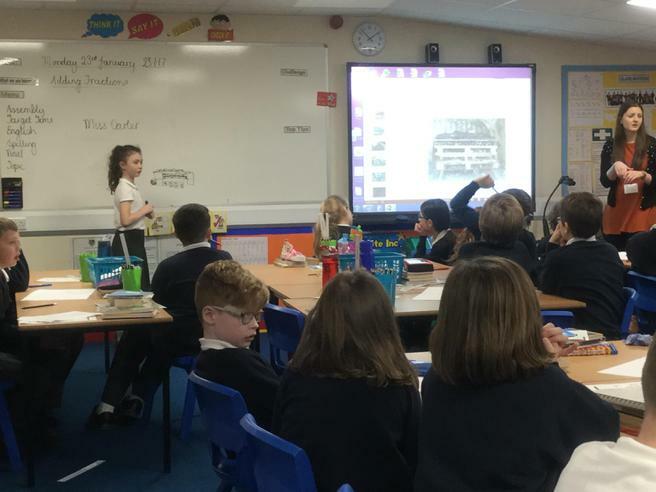 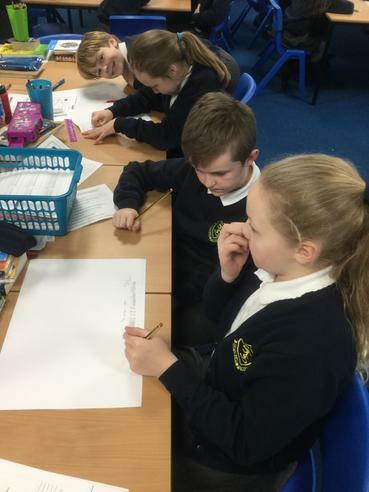 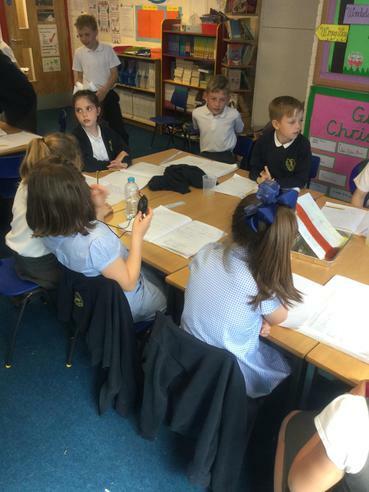 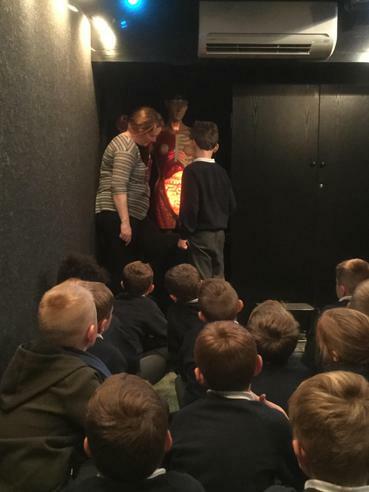 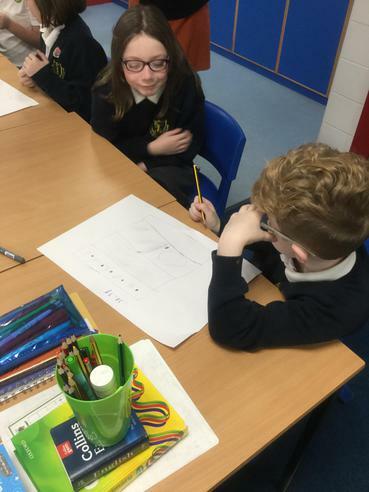 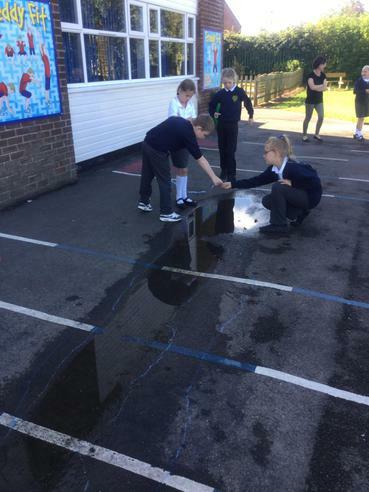 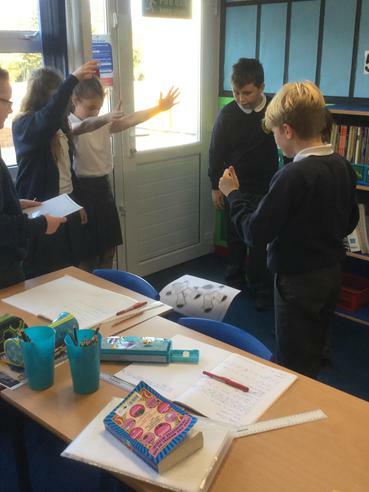 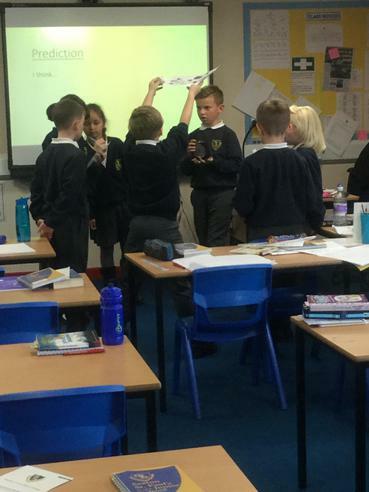 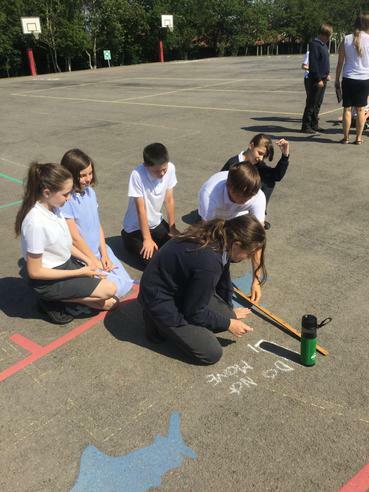 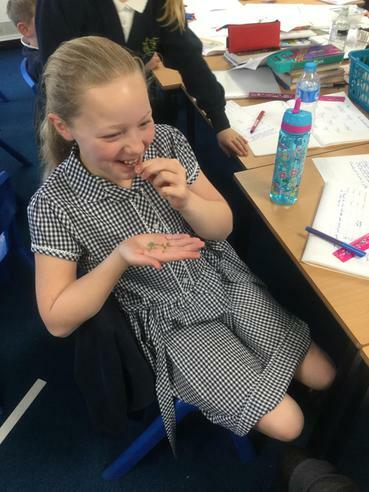 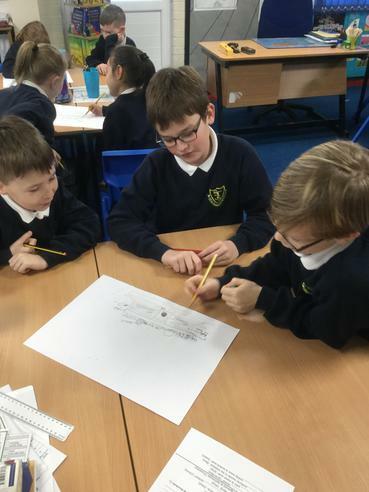 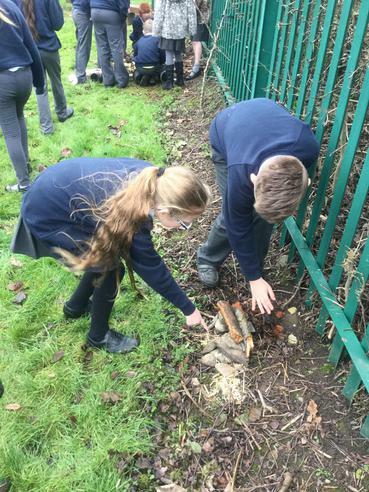 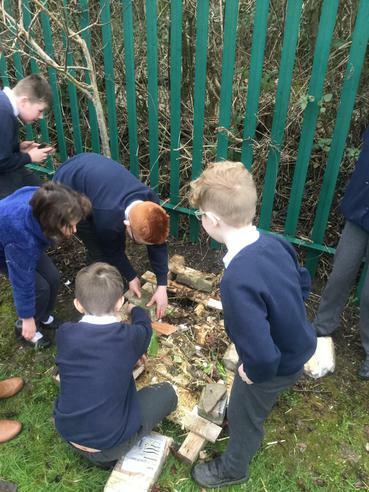 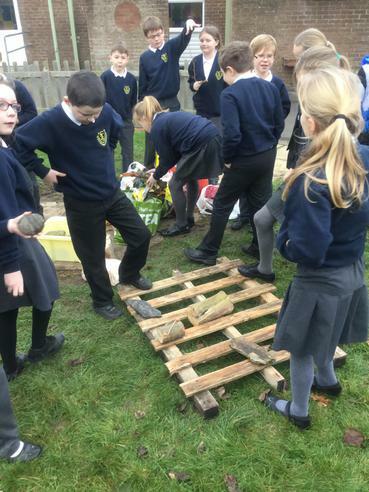 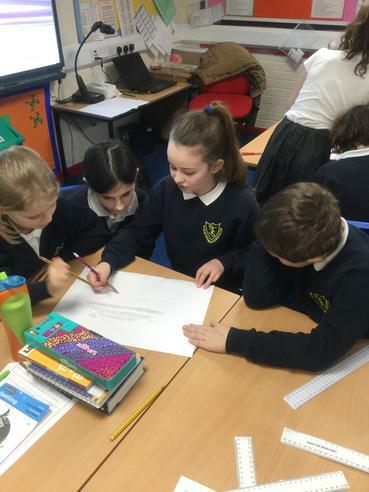 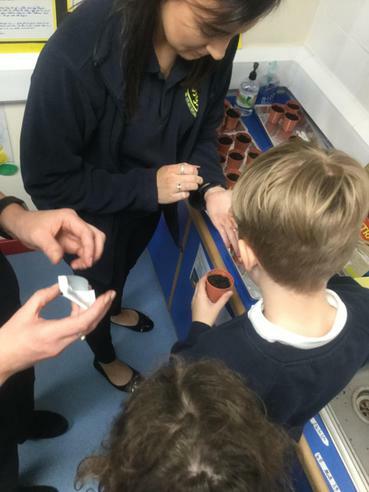 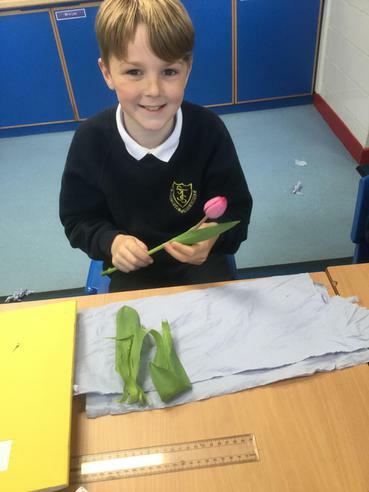 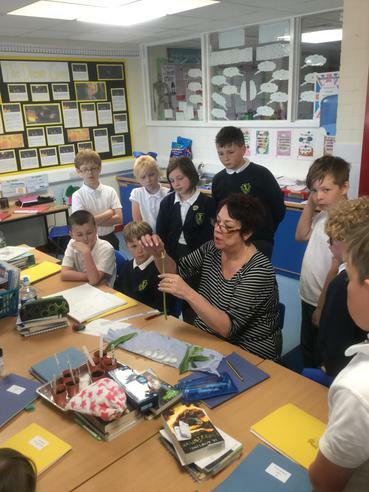 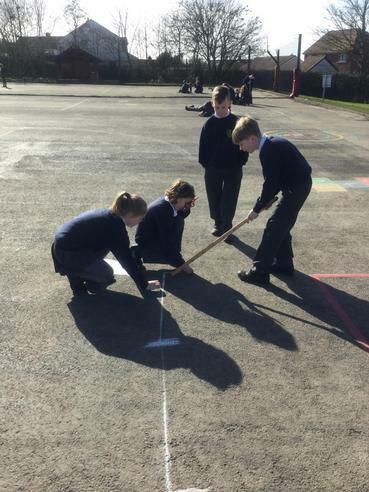 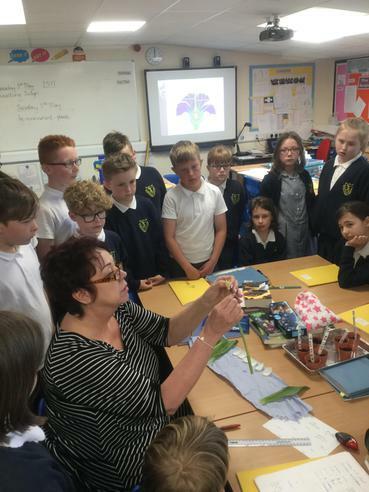 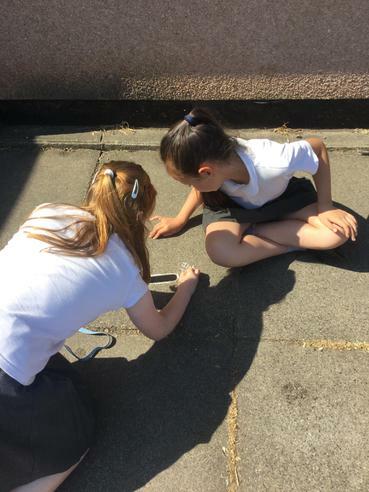 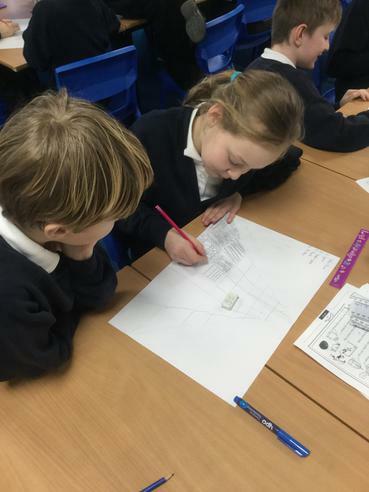 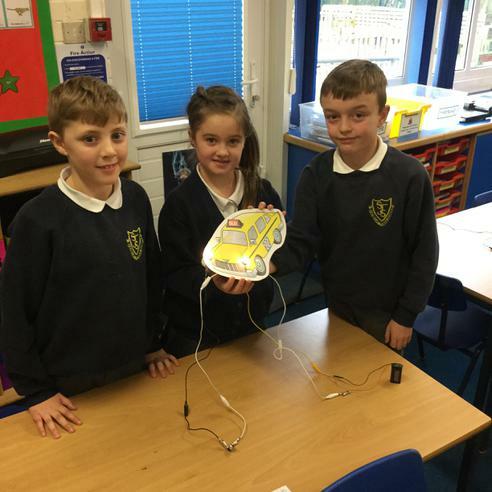 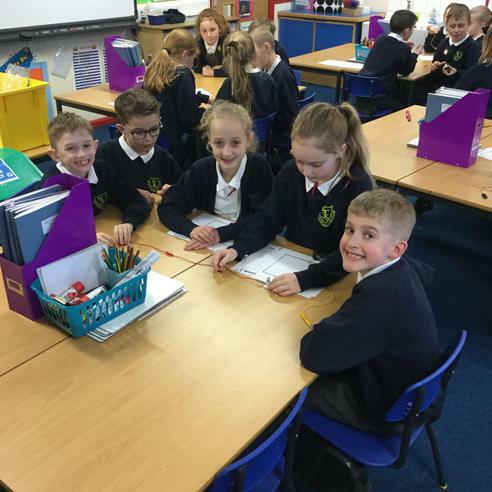 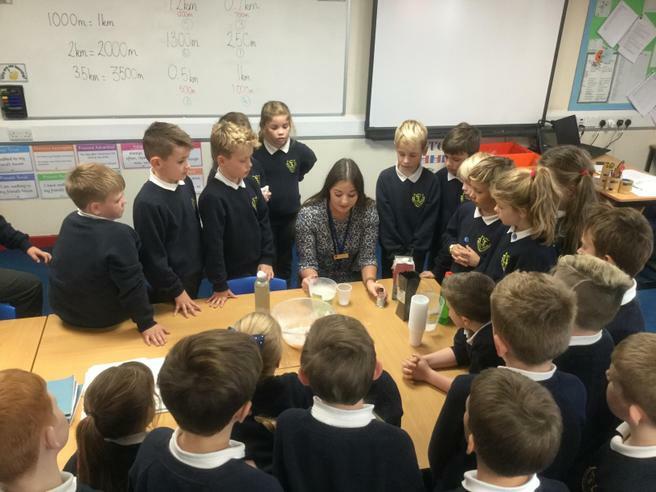 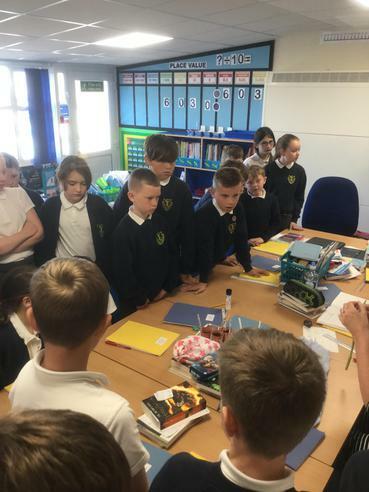 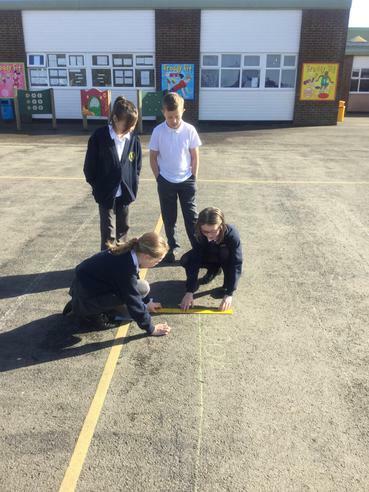 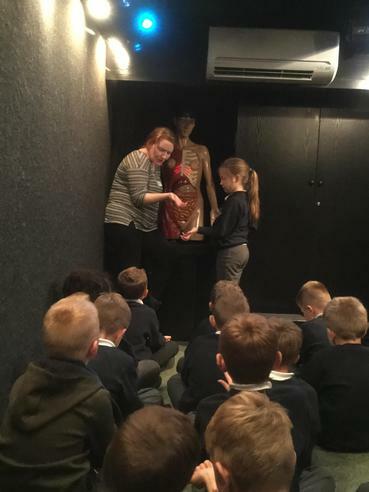 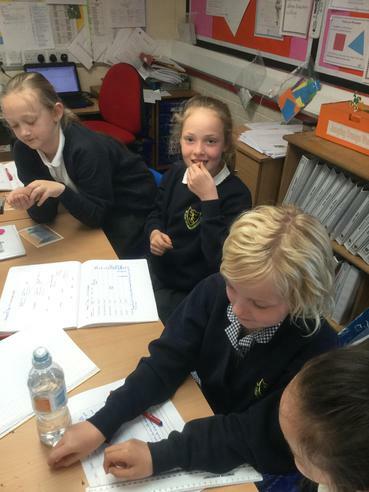 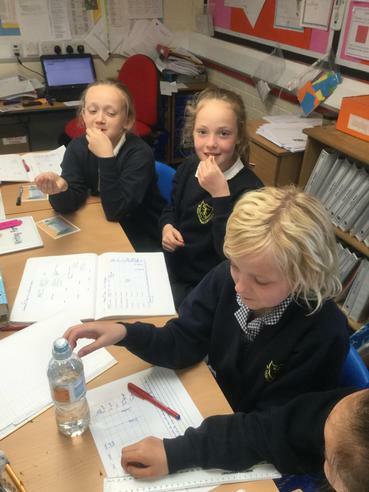 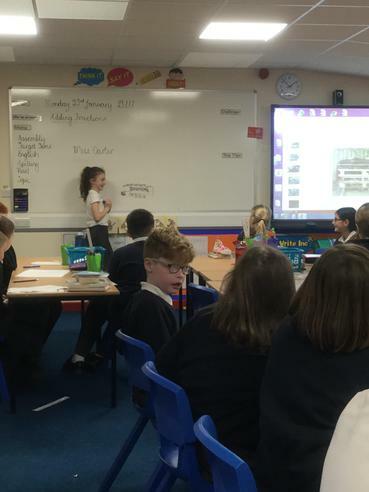 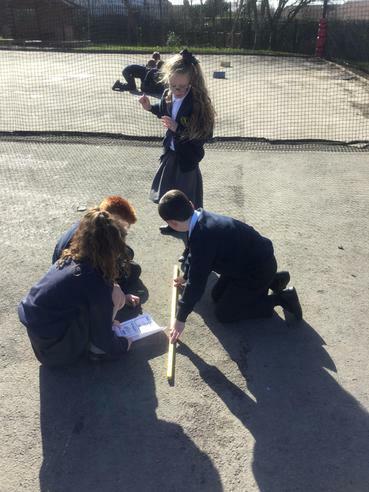 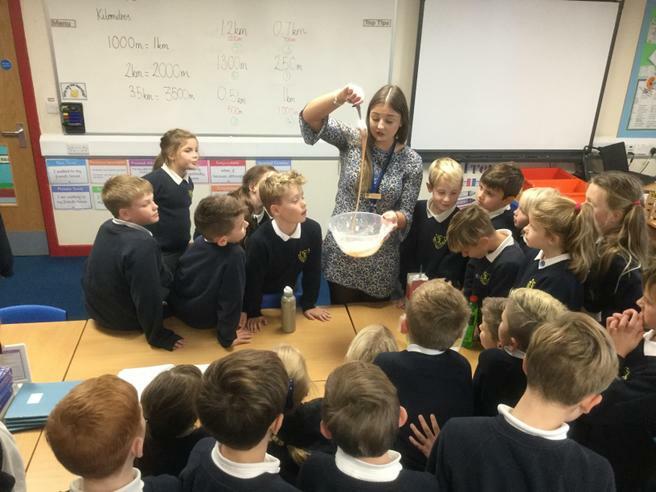 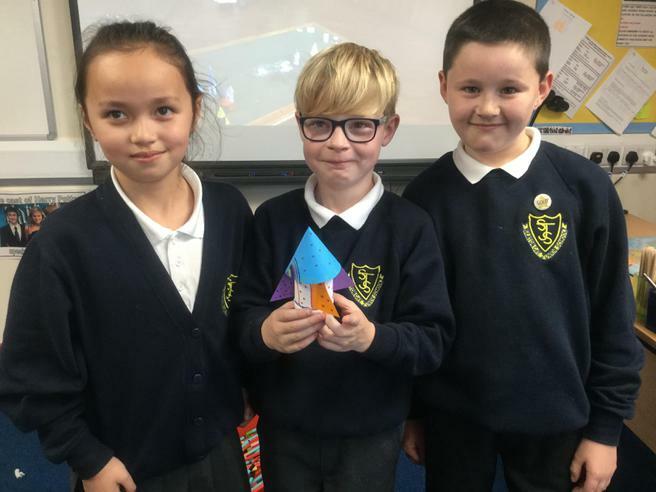 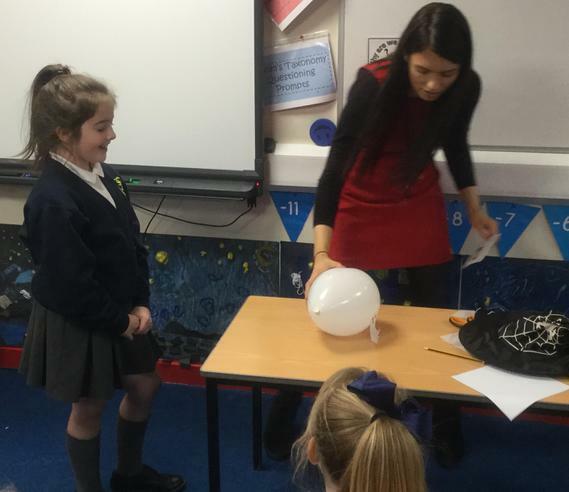 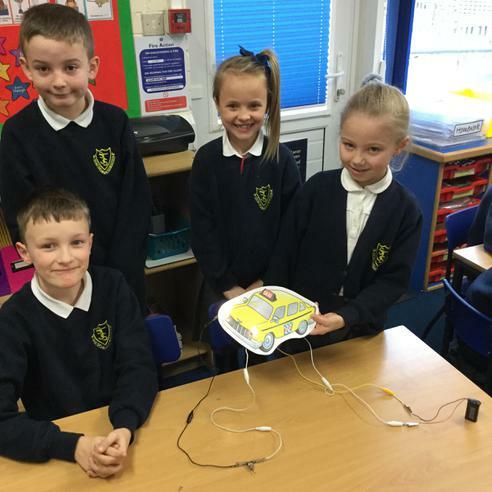 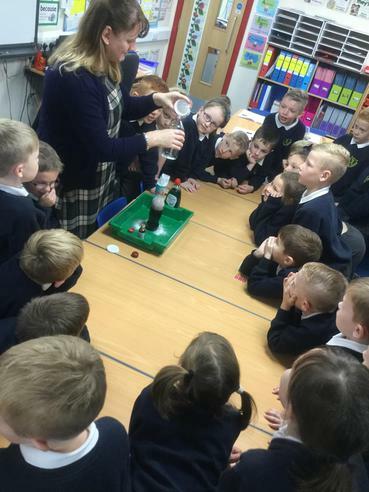 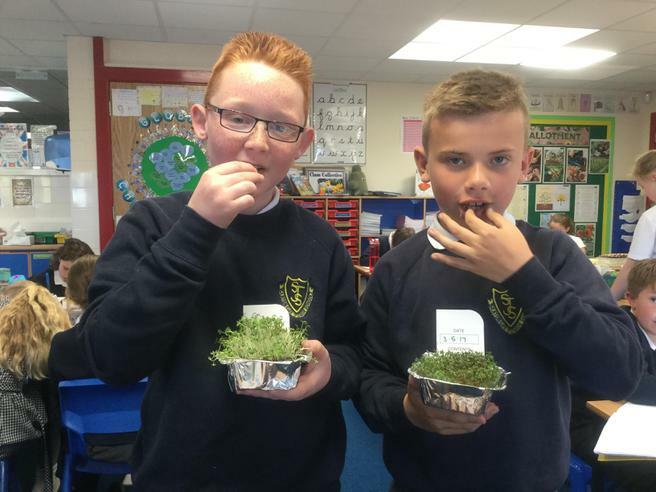 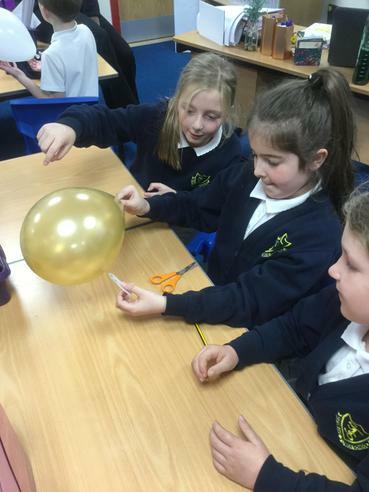 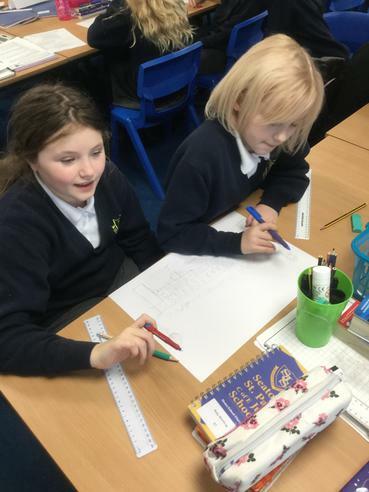 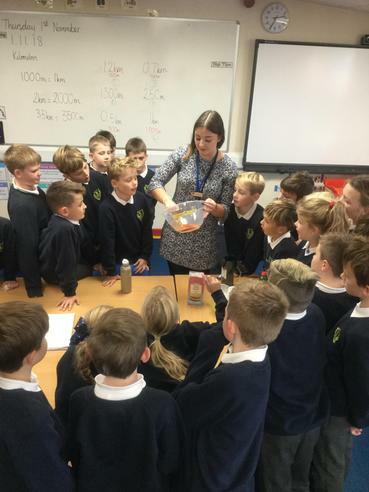 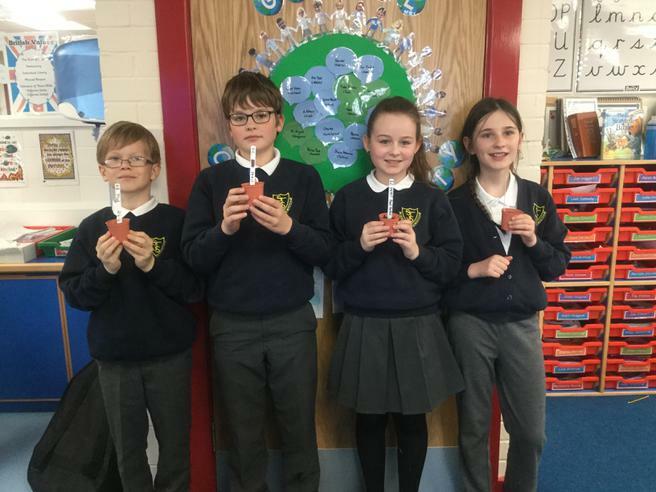 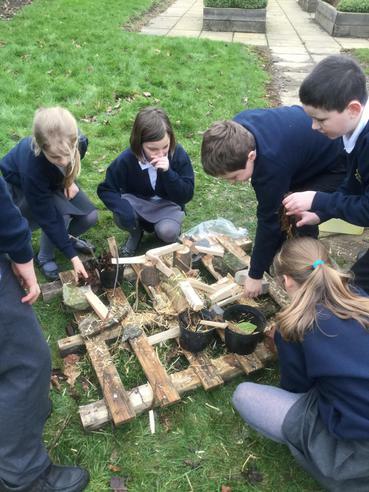 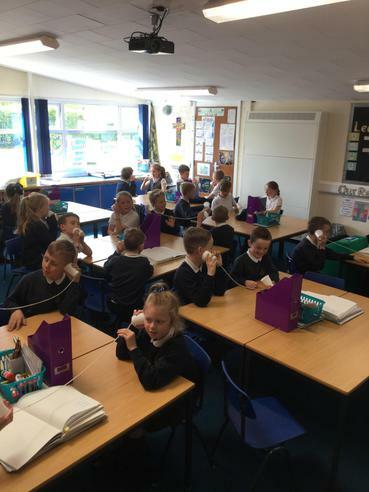 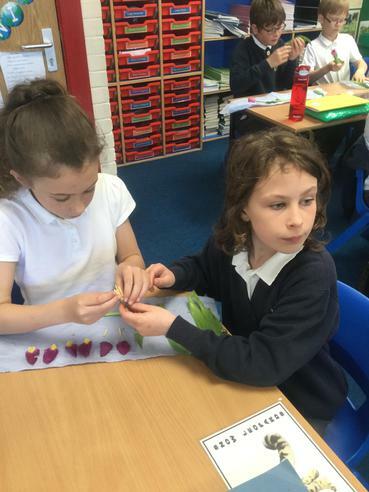 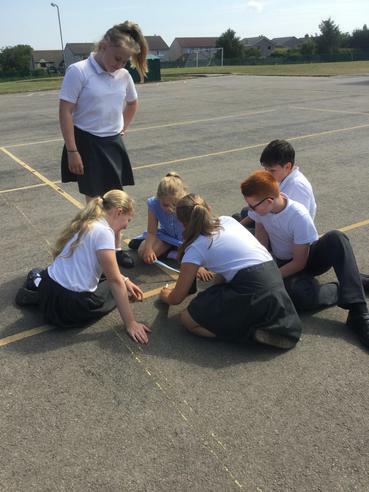 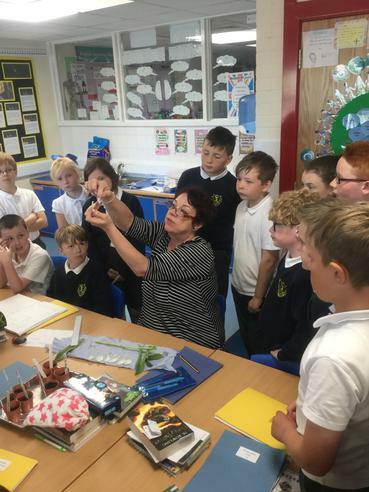 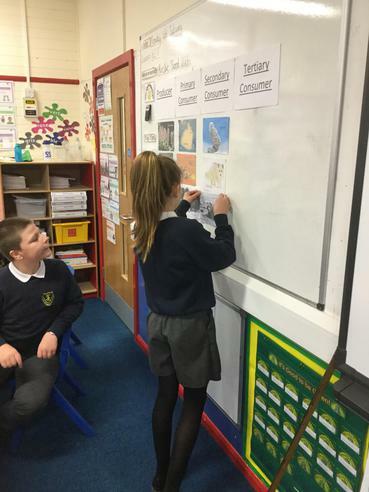 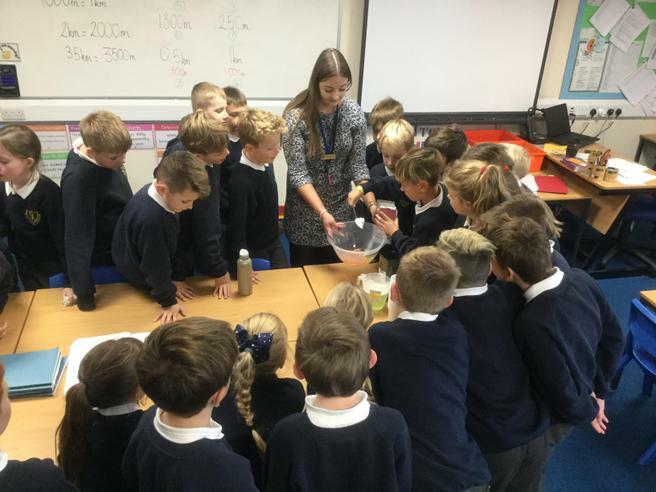 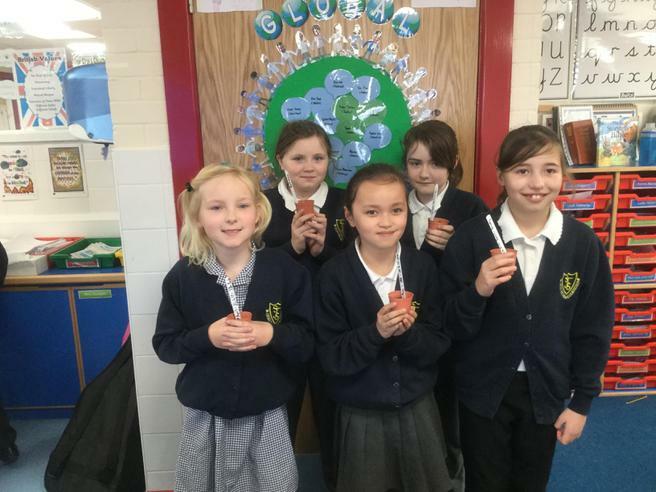 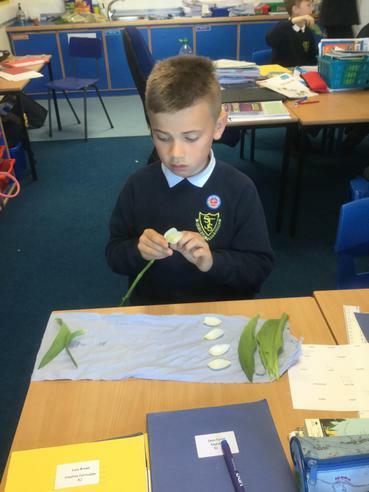 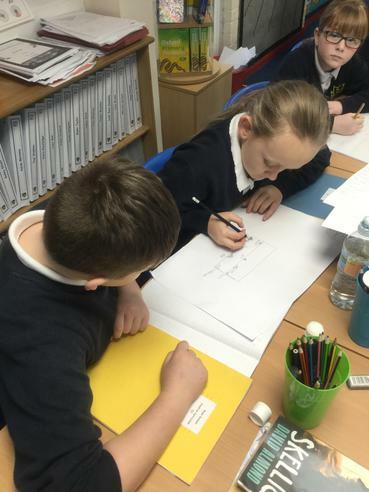 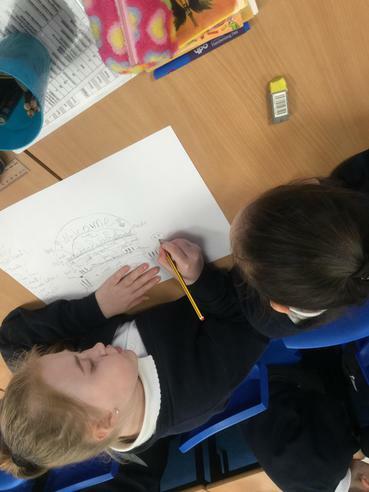 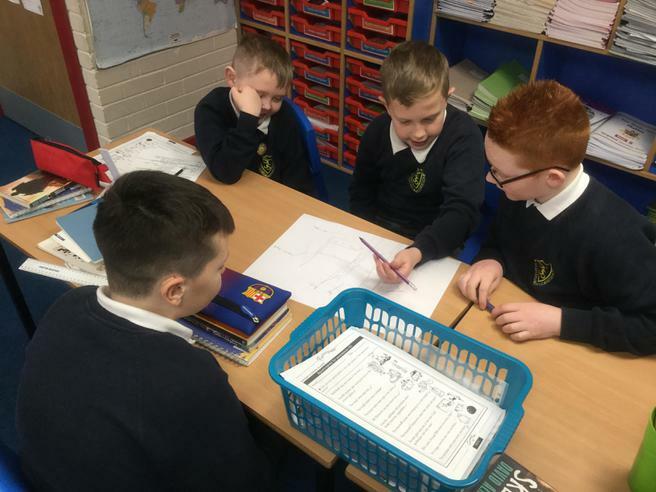 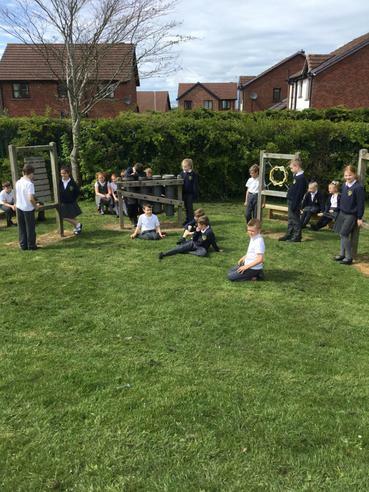 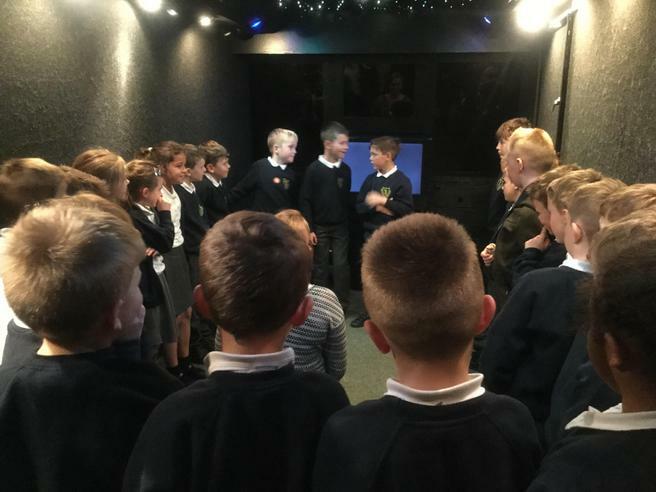 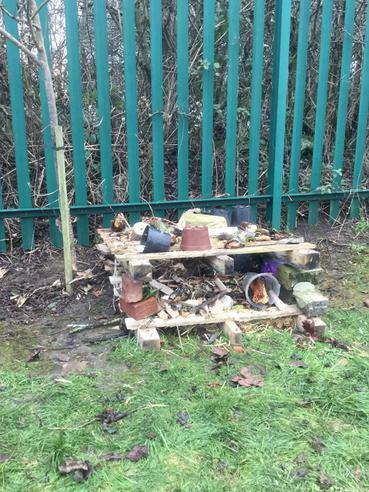 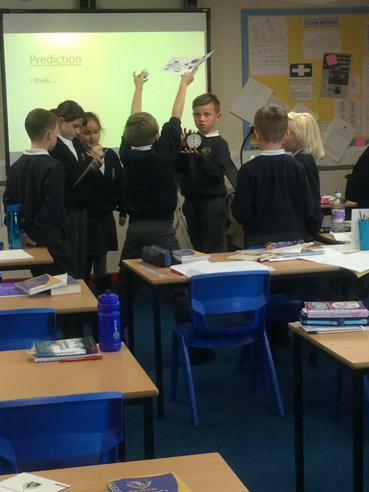 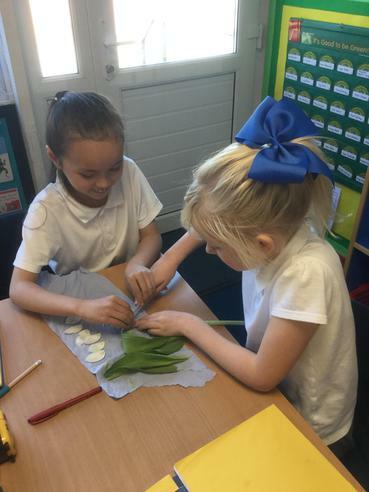 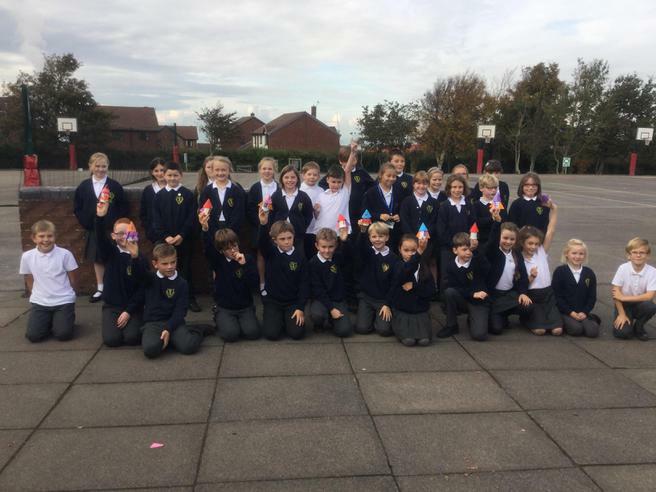 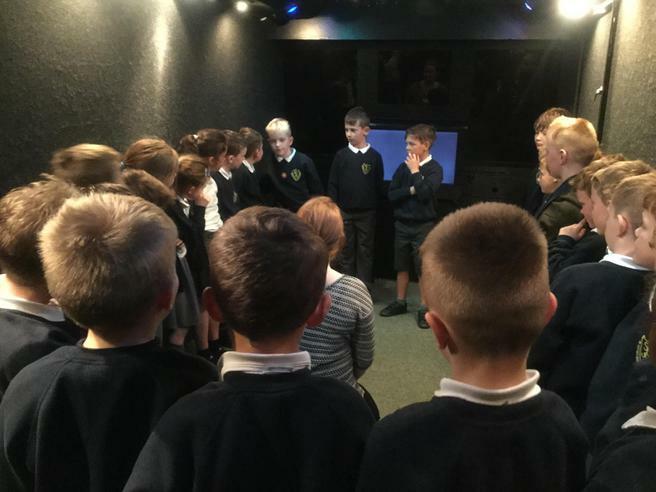 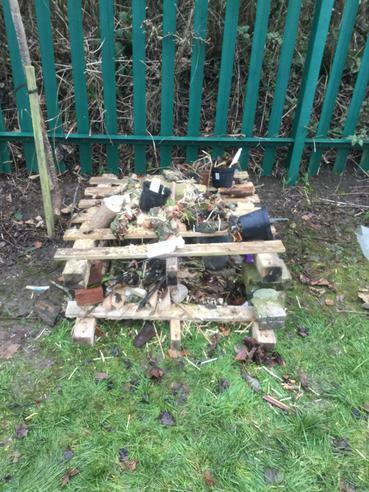 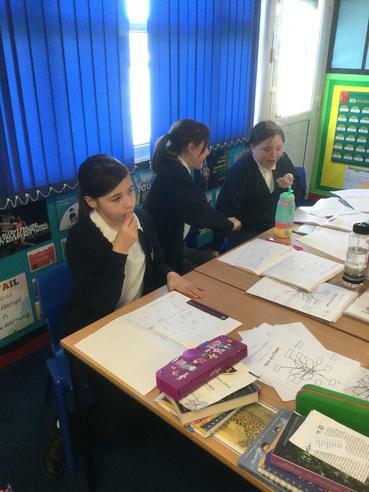 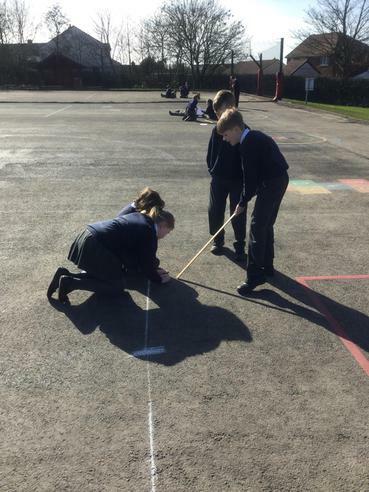 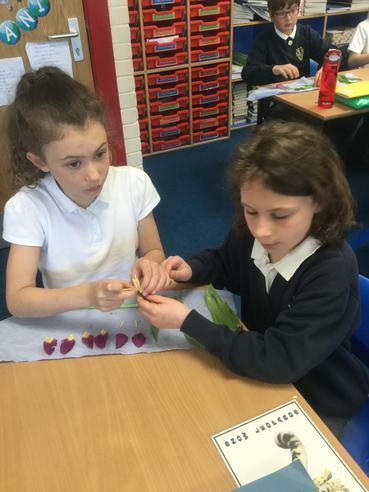 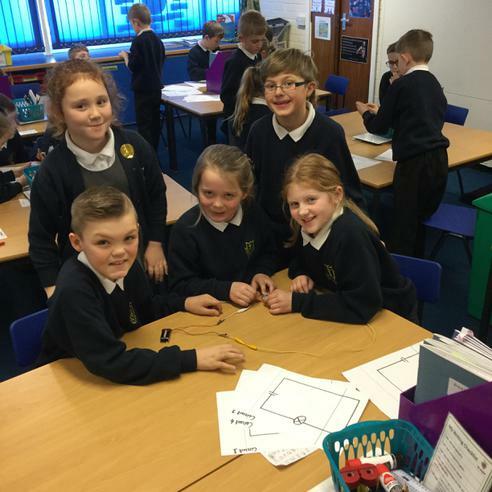 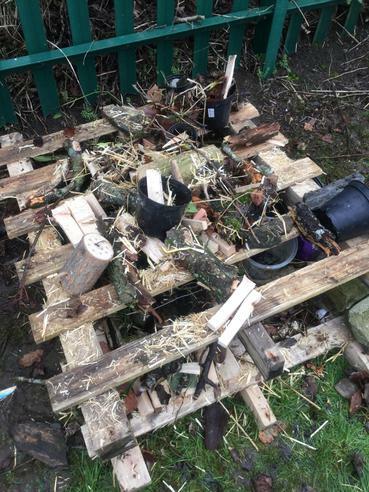 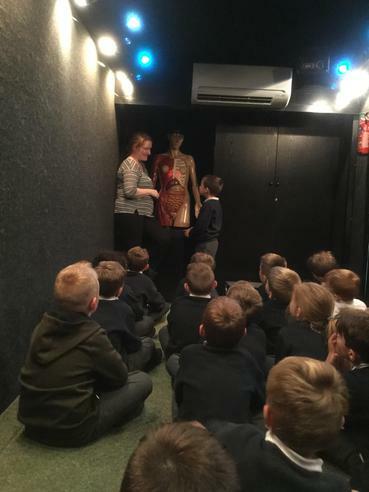 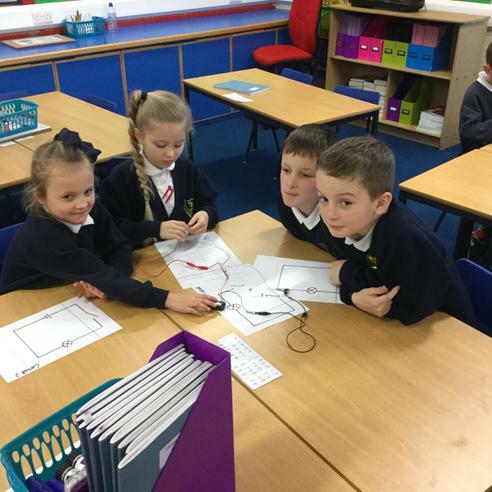 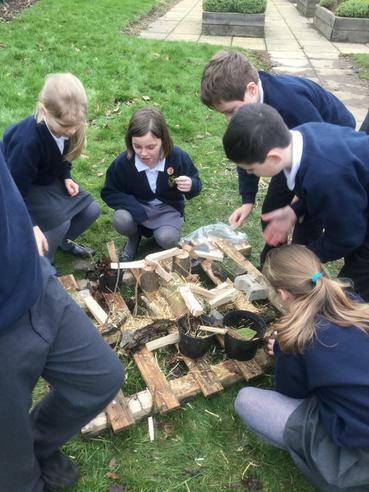 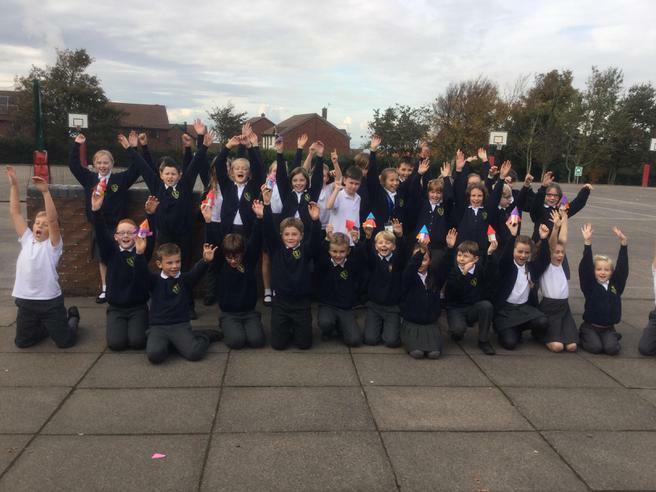 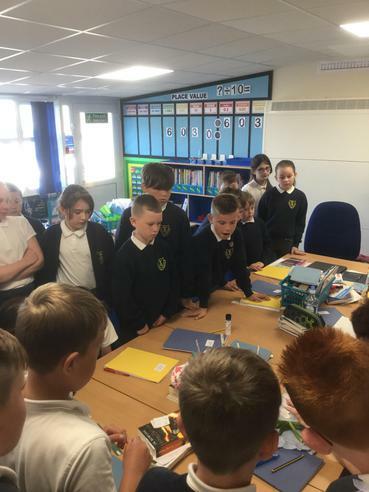 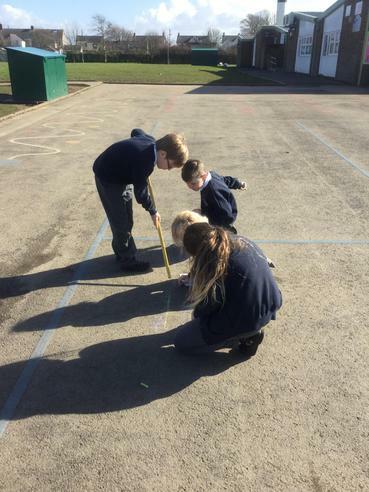 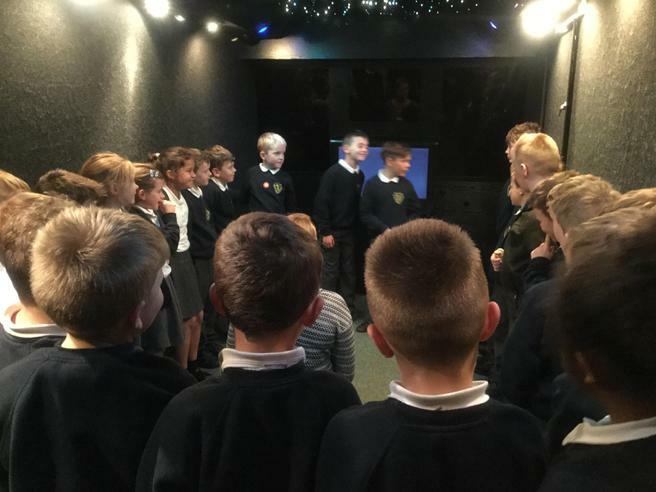 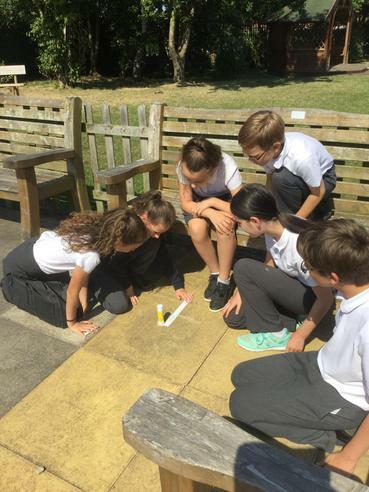 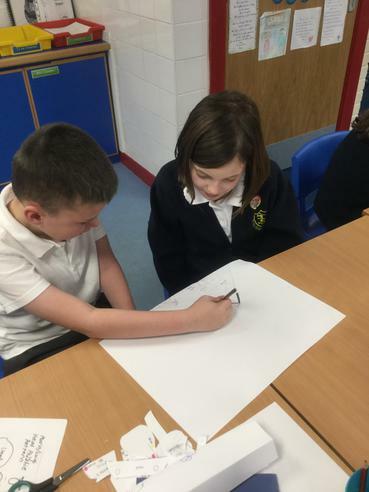 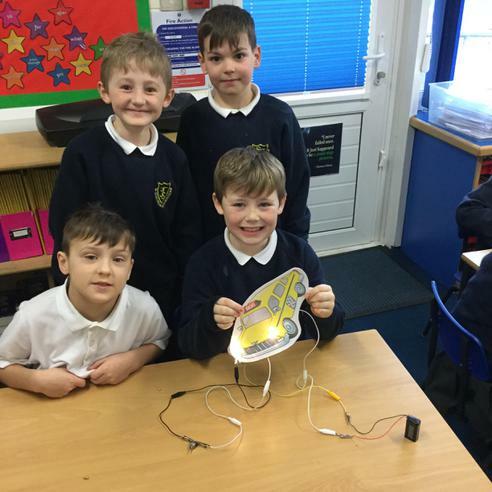 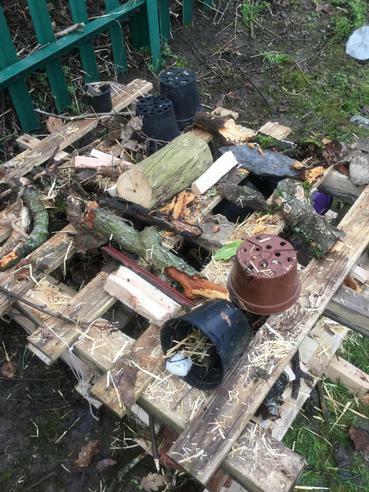 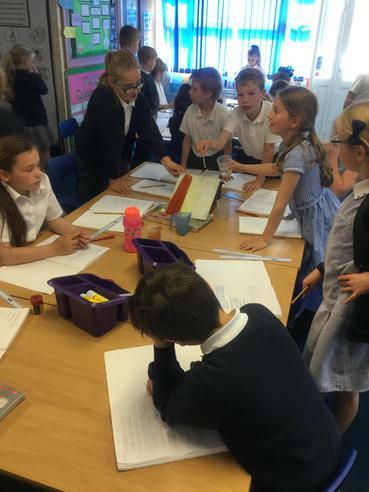 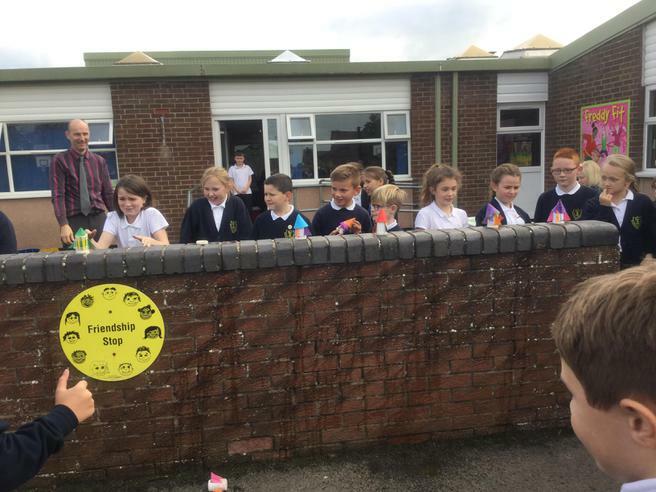 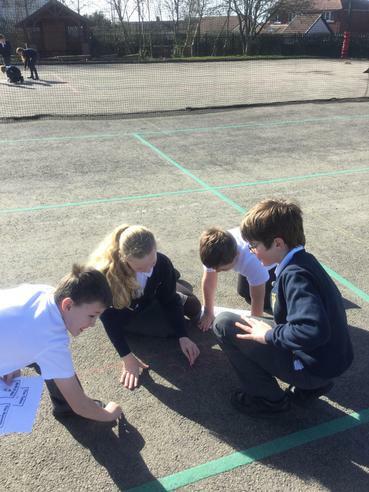 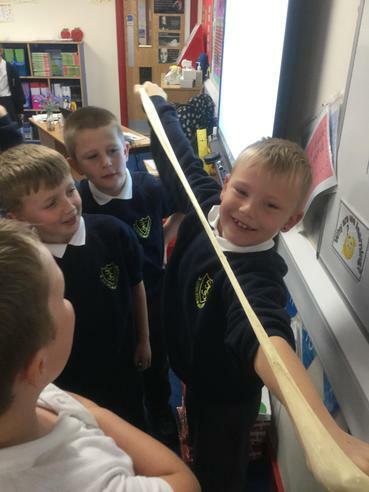 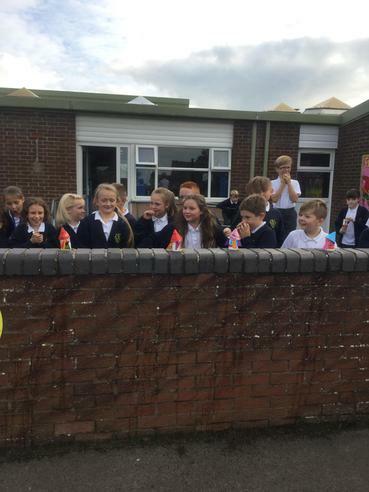 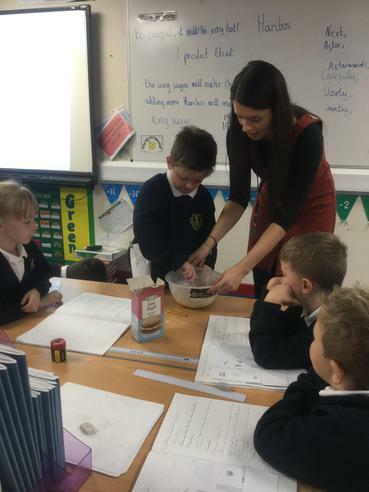 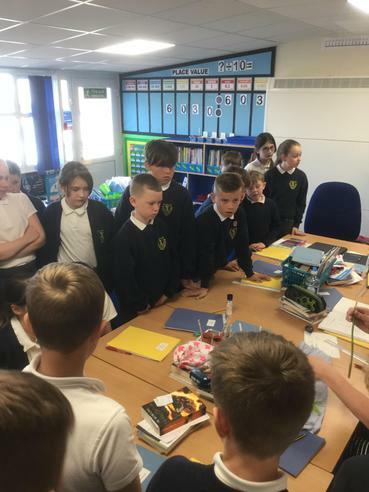 At Seaton St. Paul's C of E Junior School we aim to develop children's understanding of the world around them through high quality teaching and learning. 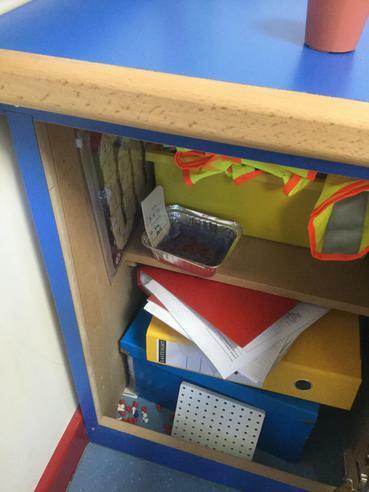 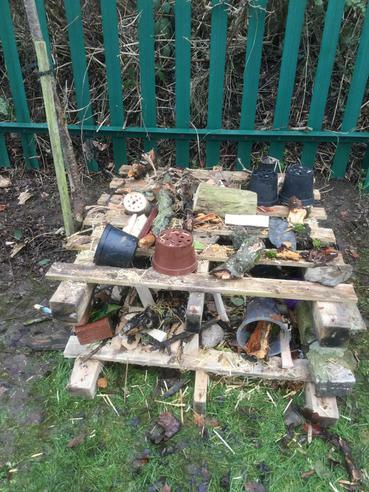 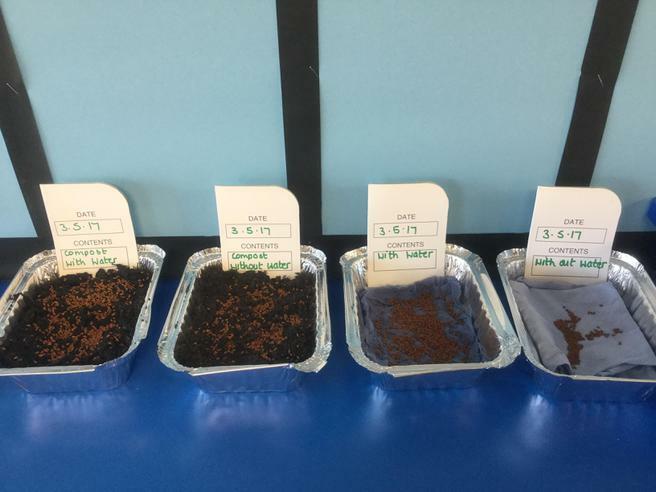 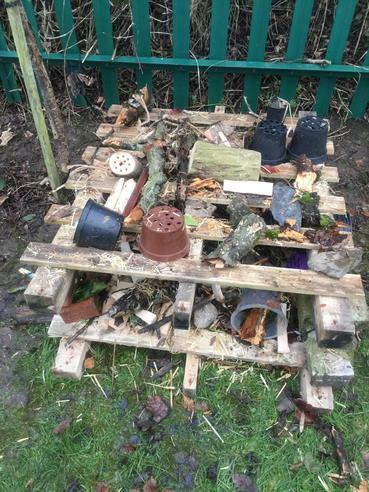 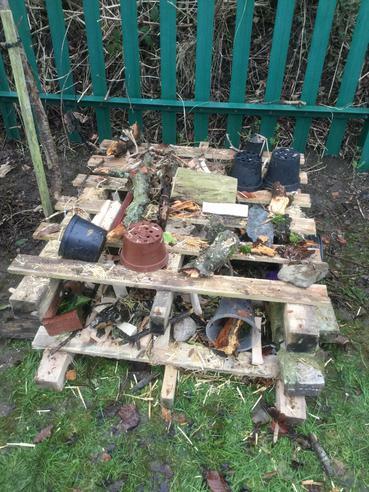 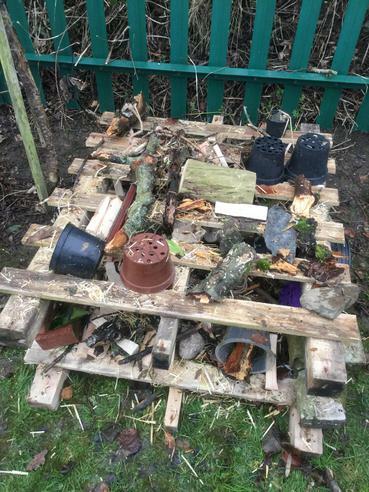 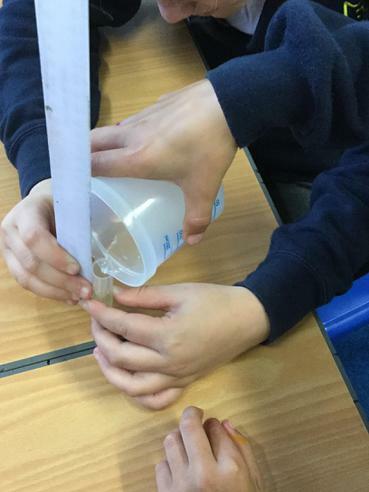 Children are encouraged to investigate, solve problems and ask questions. 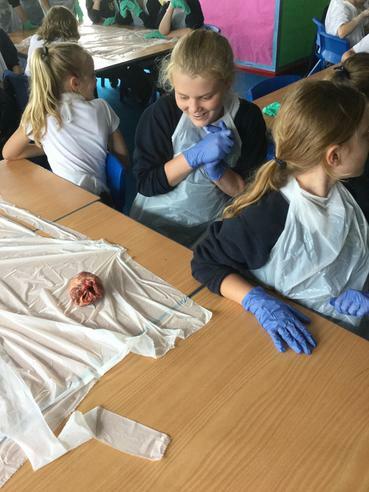 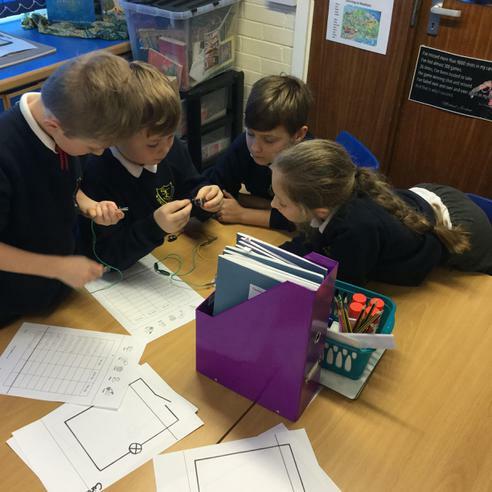 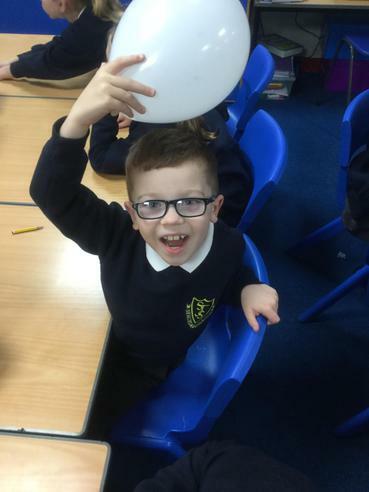 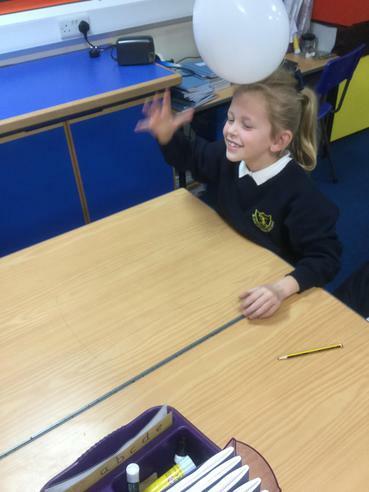 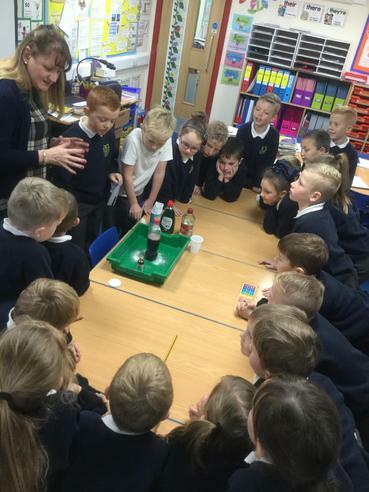 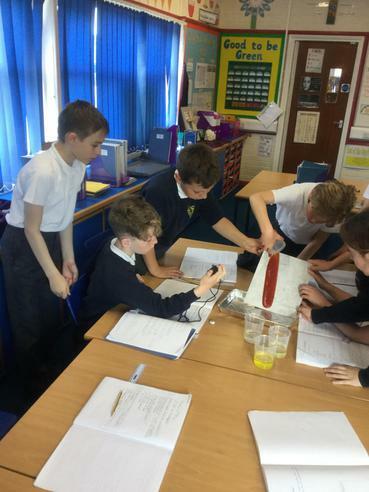 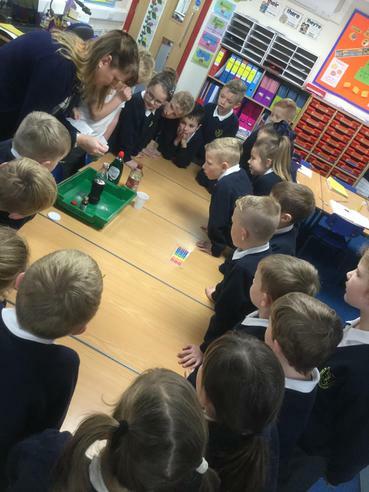 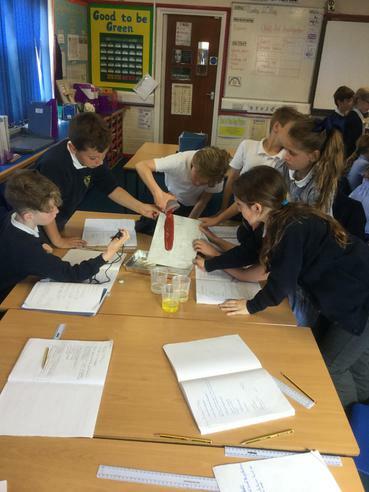 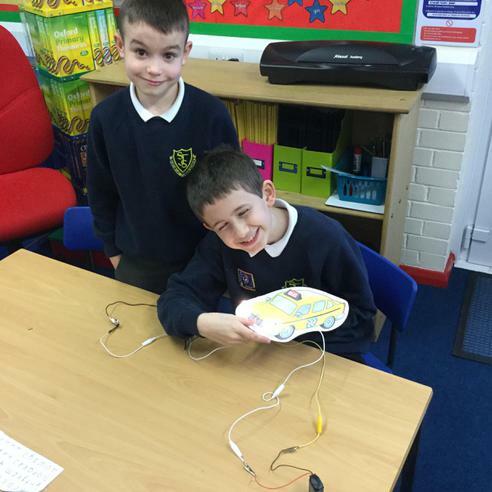 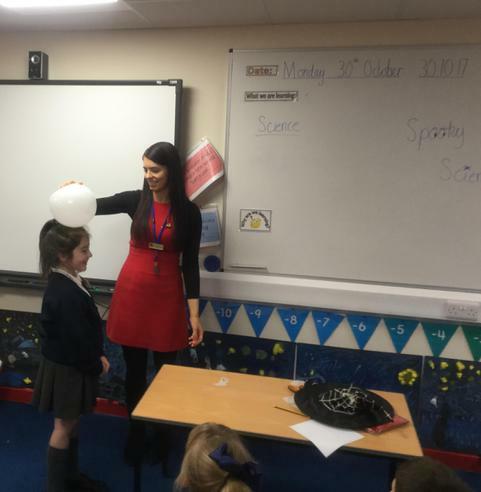 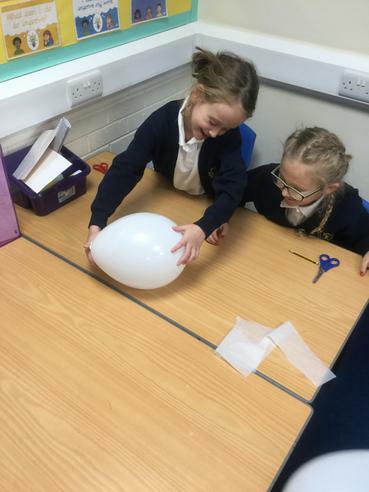 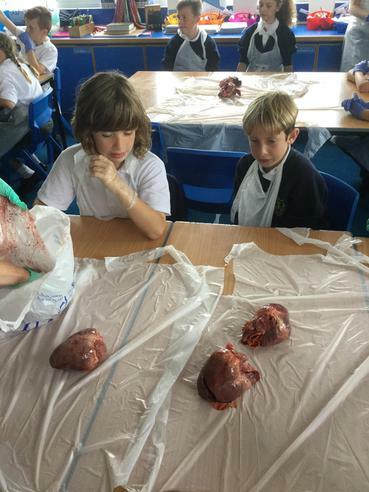 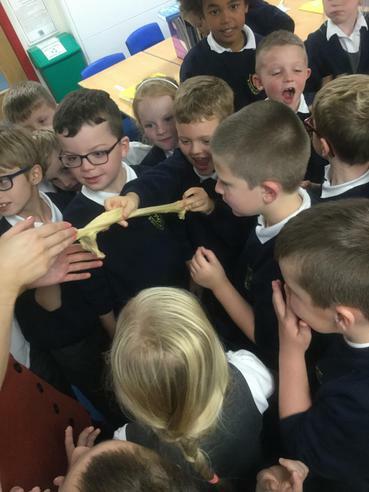 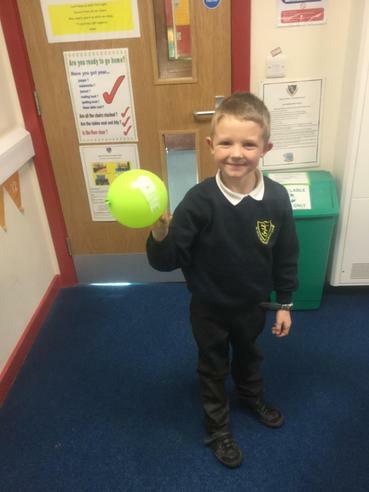 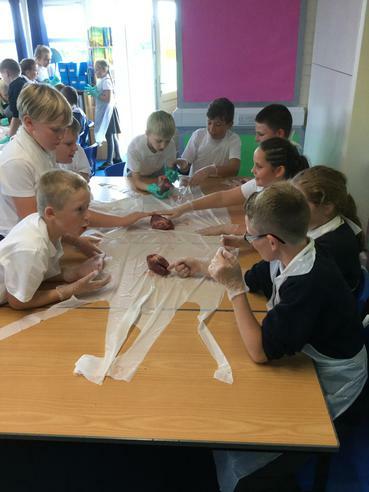 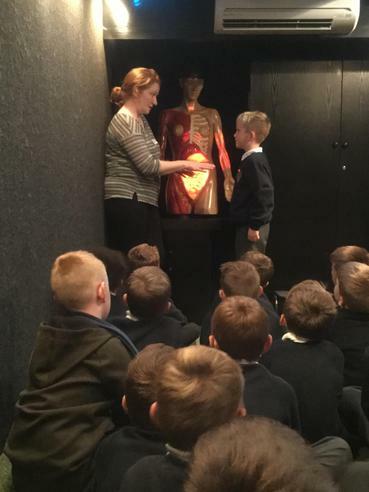 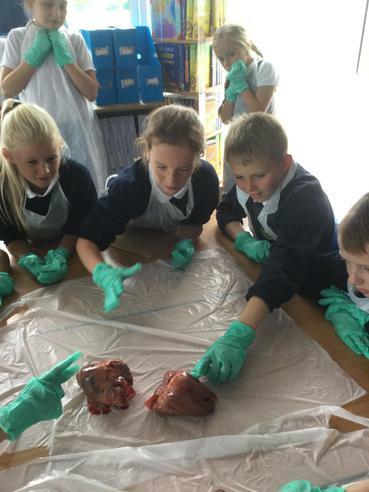 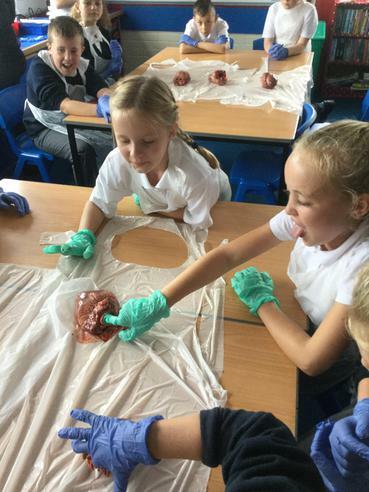 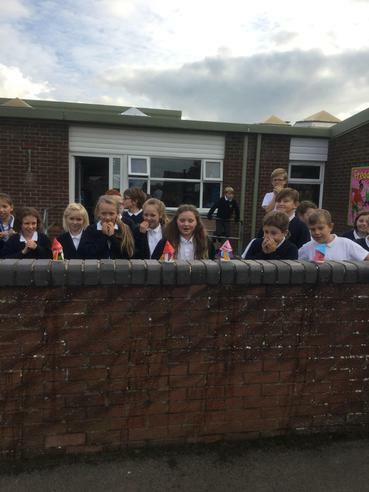 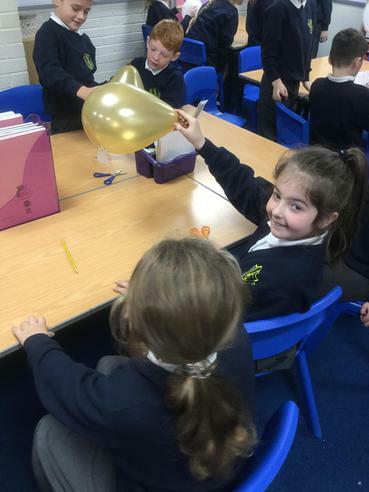 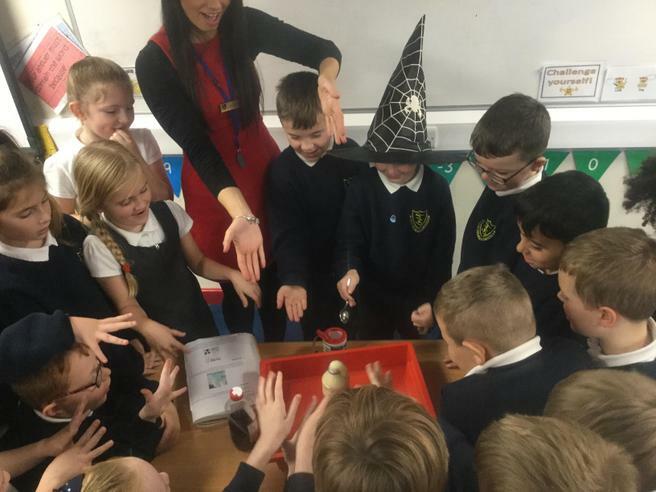 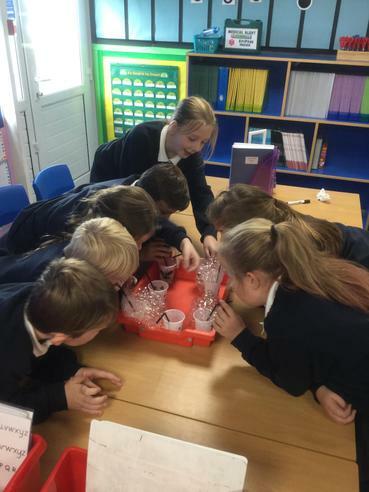 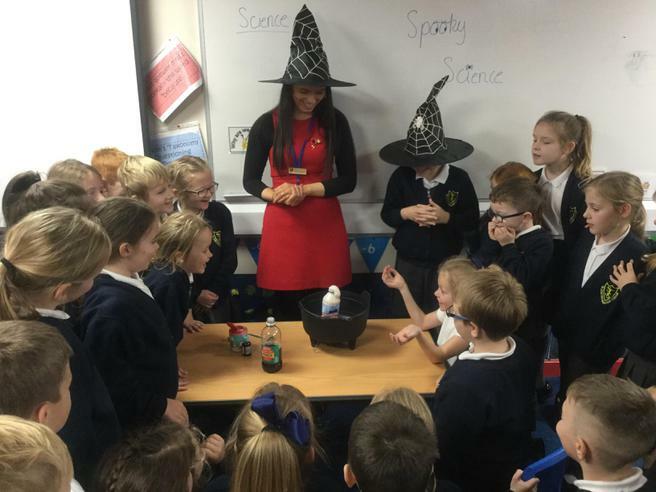 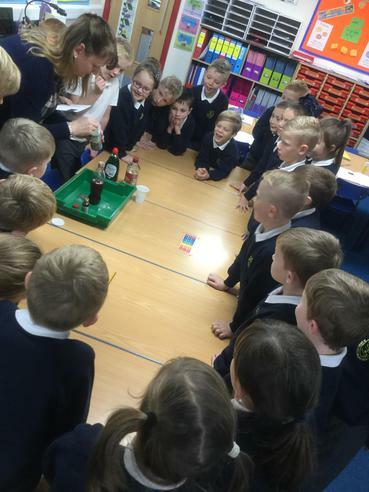 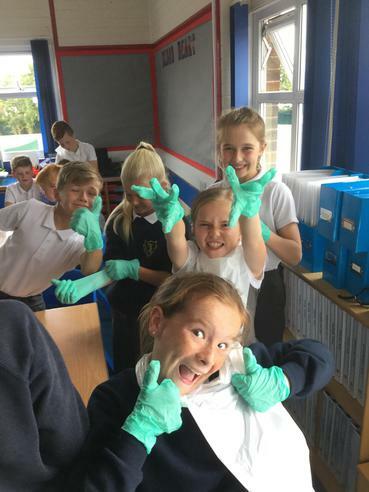 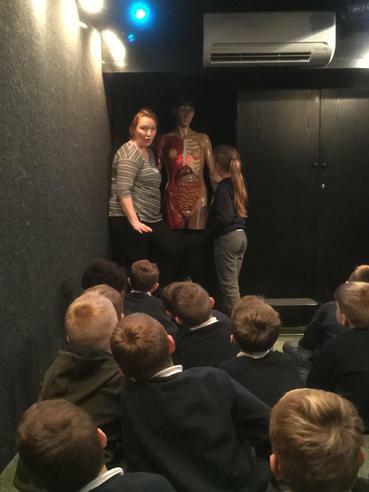 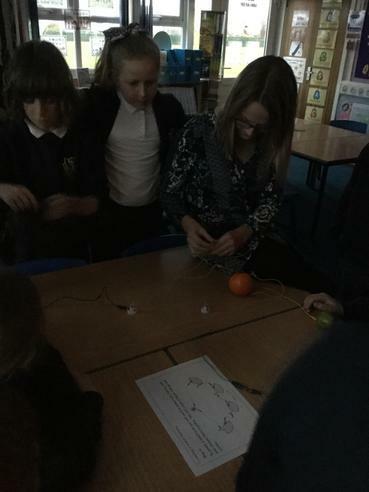 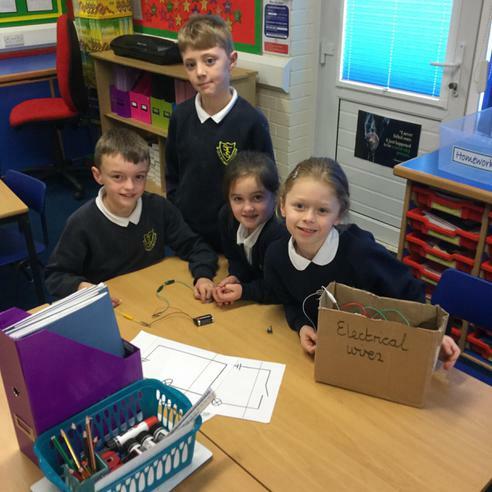 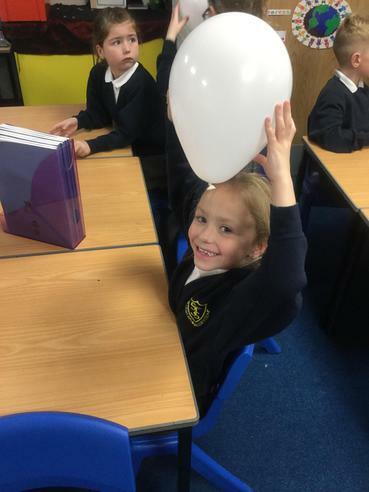 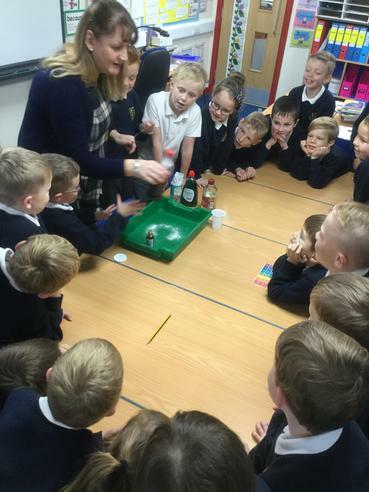 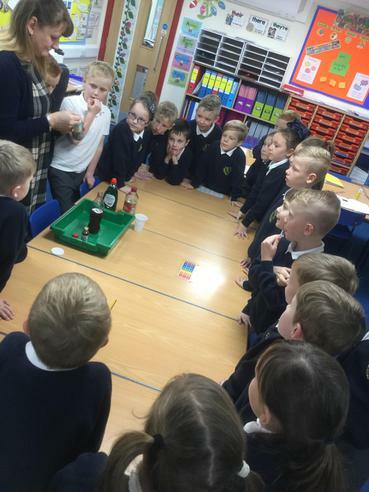 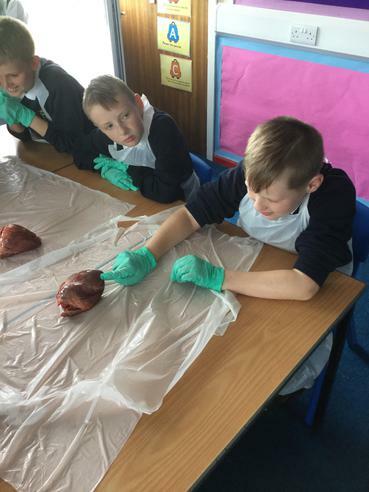 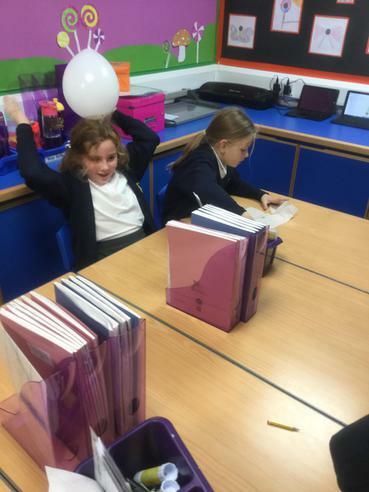 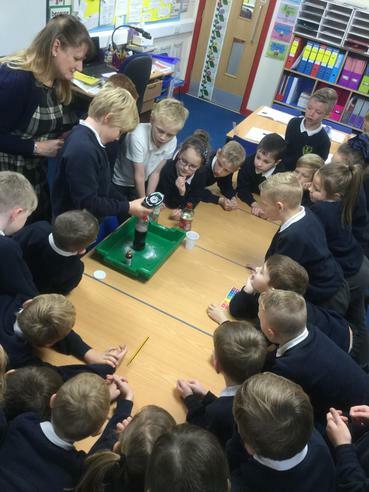 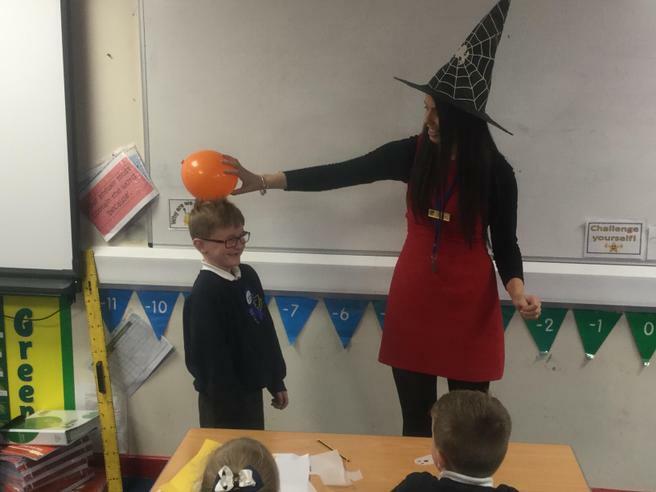 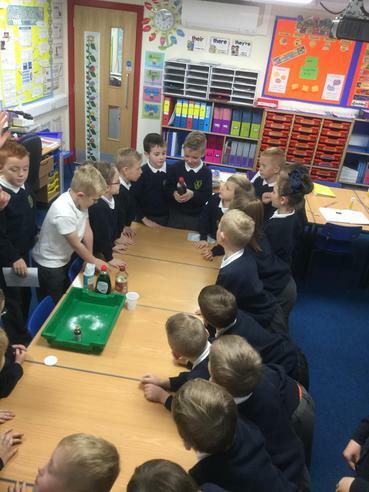 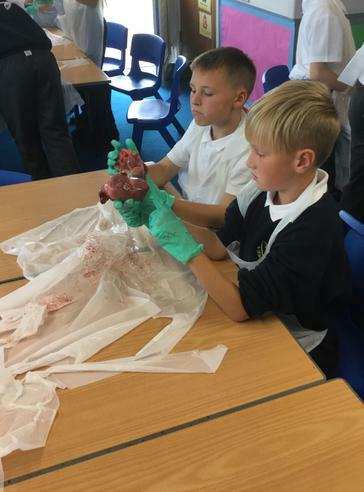 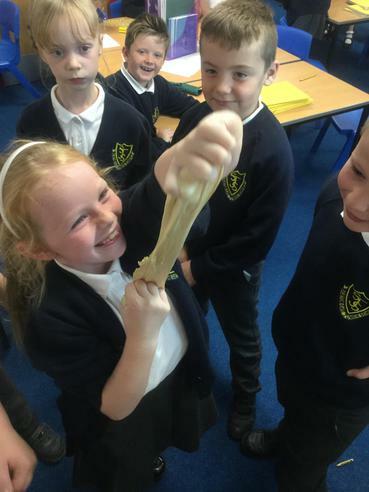 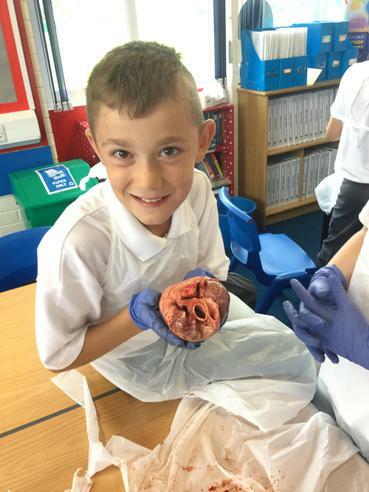 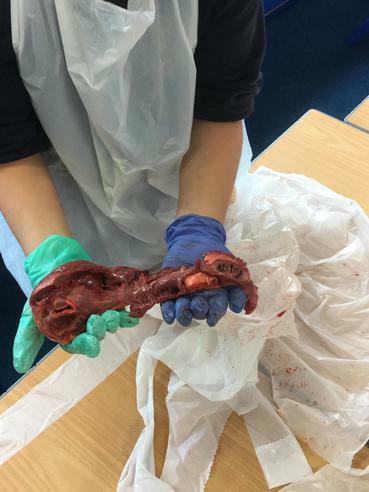 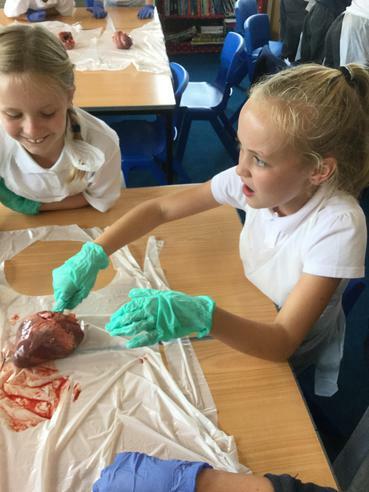 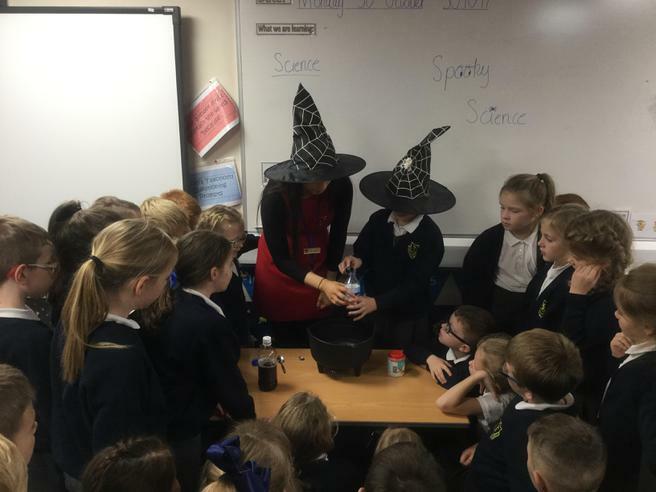 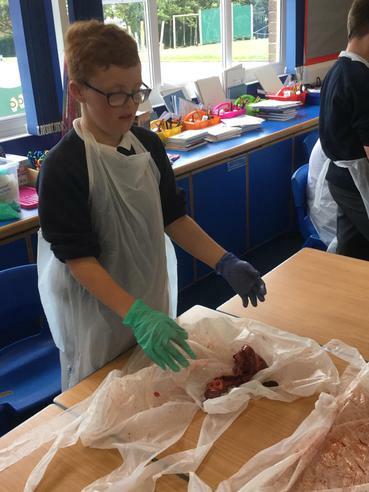 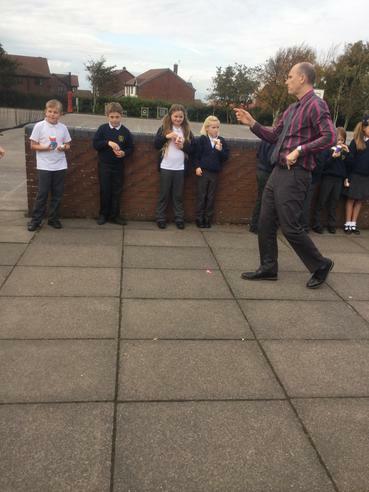 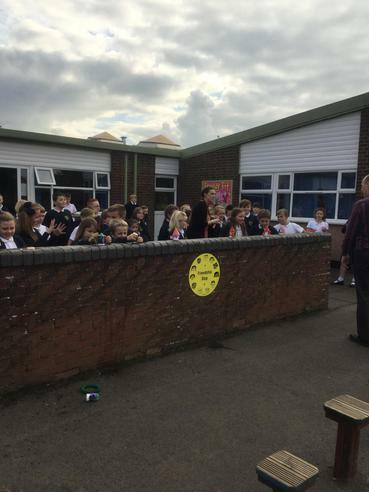 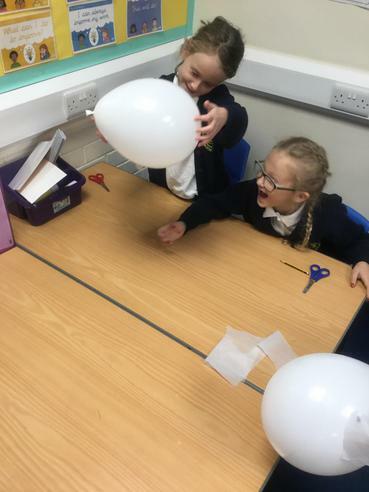 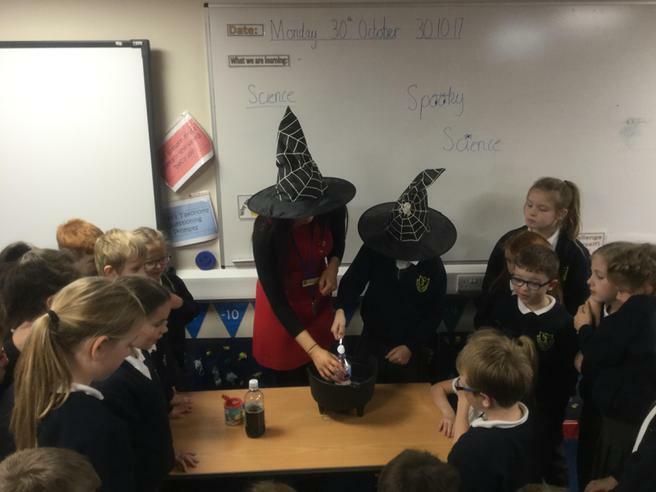 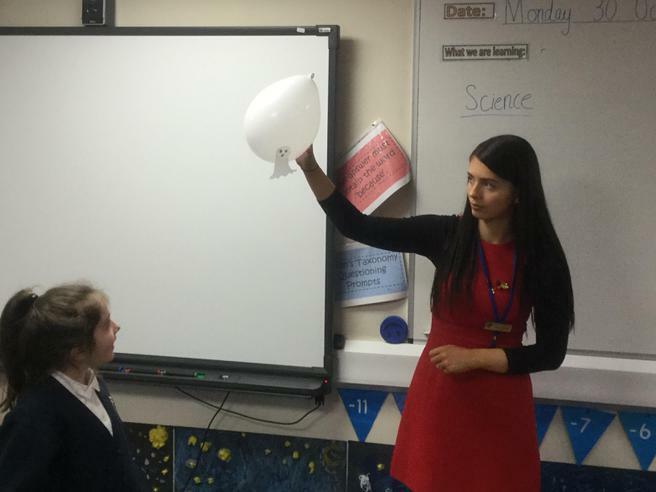 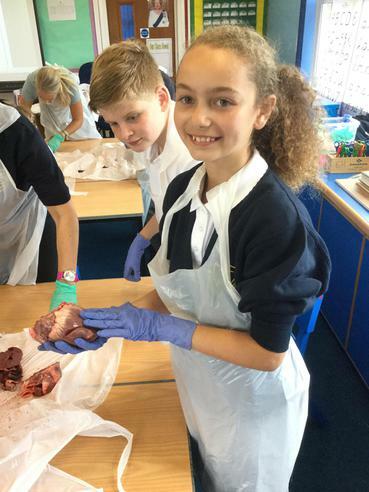 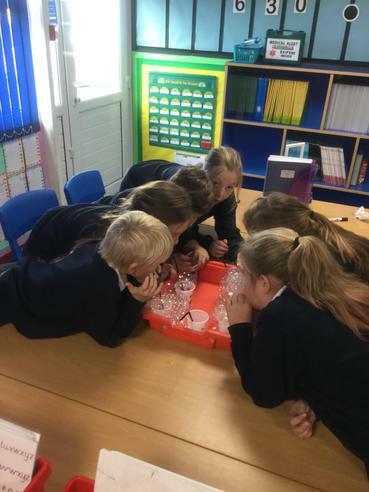 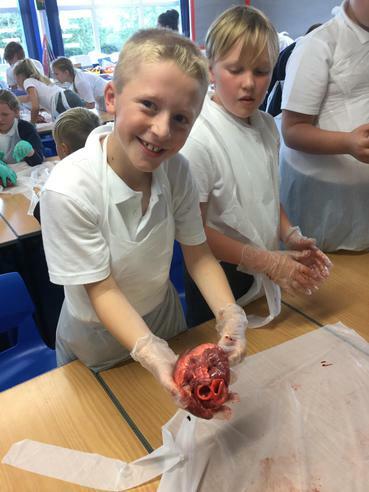 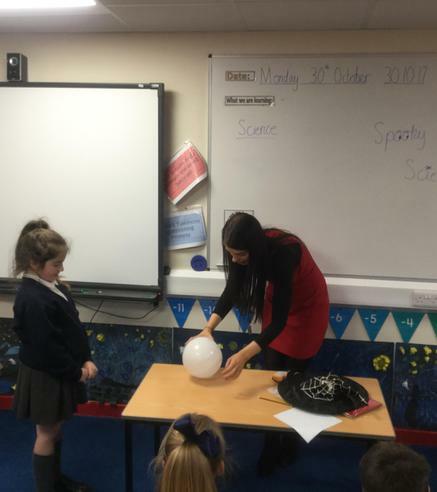 Whole School Spooky Science Afternoon! 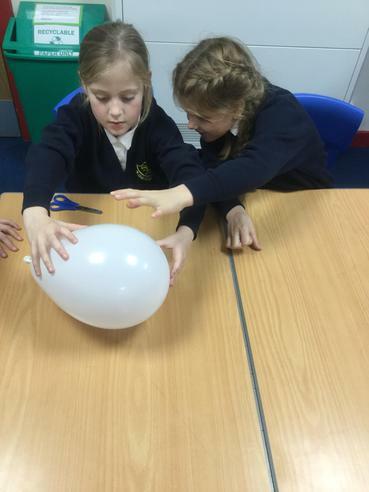 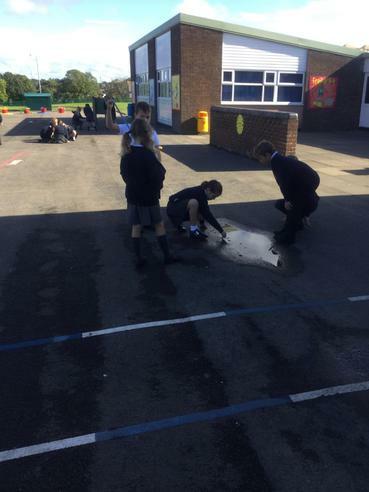 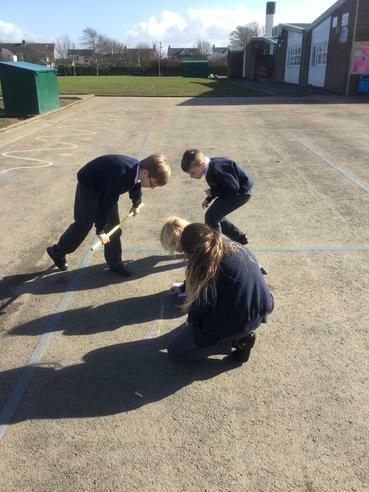 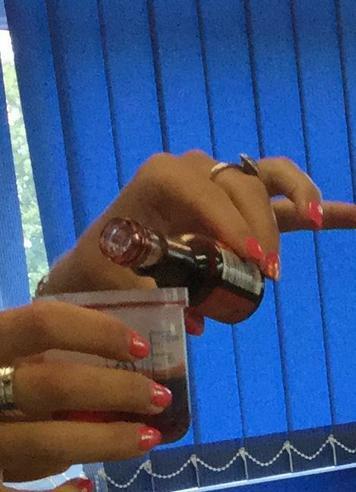 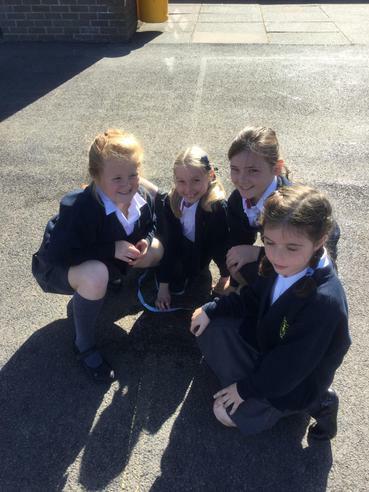 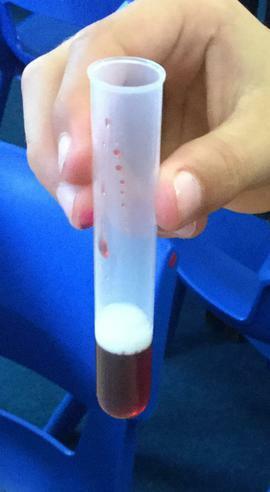 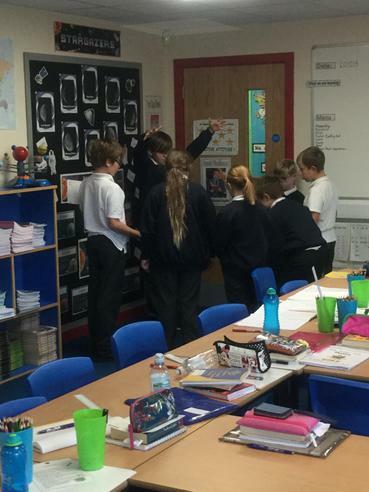 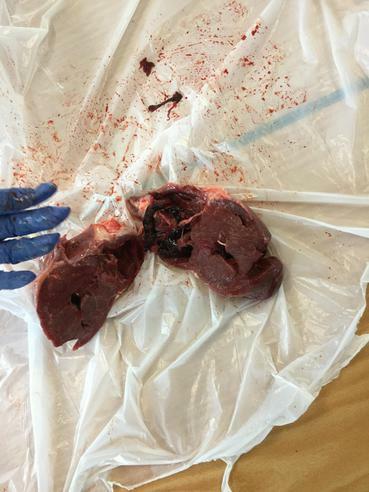 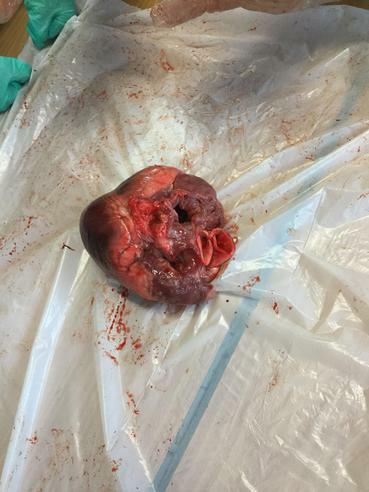 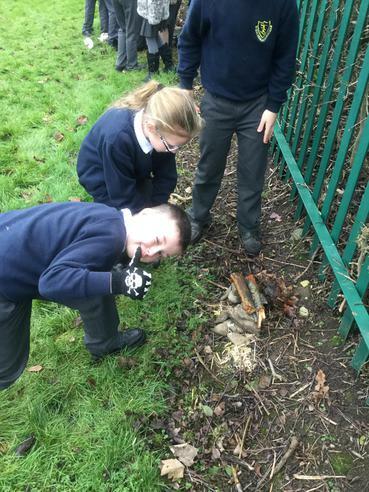 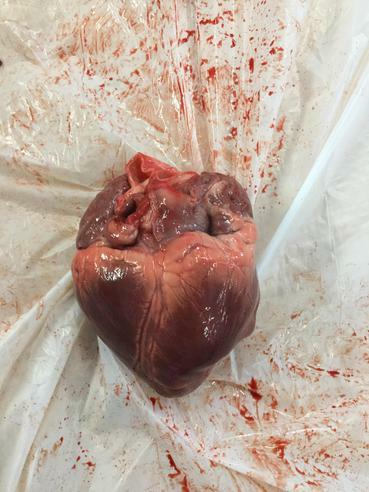 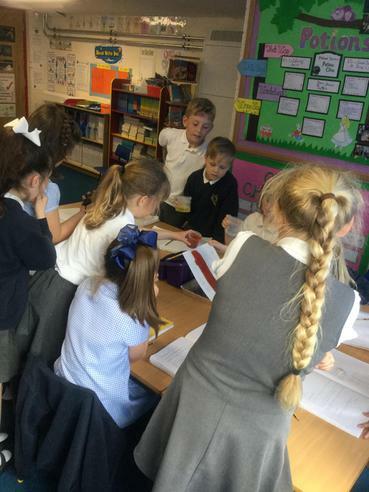 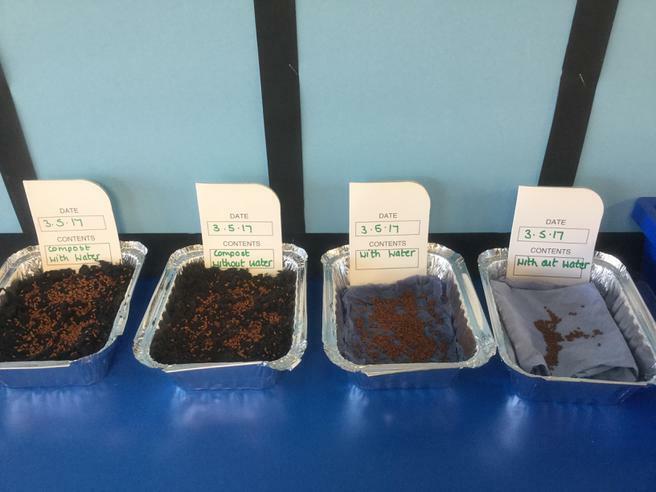 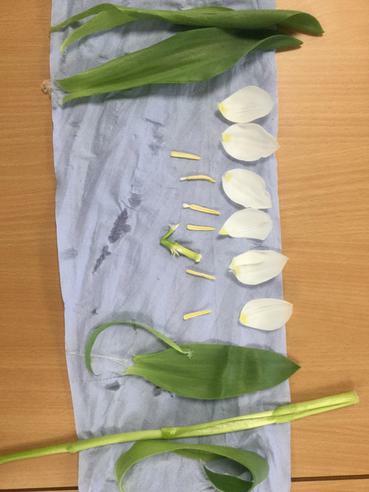 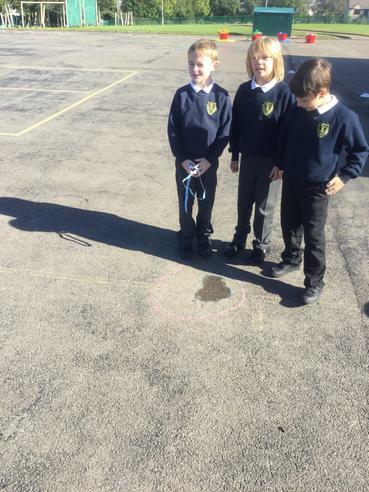 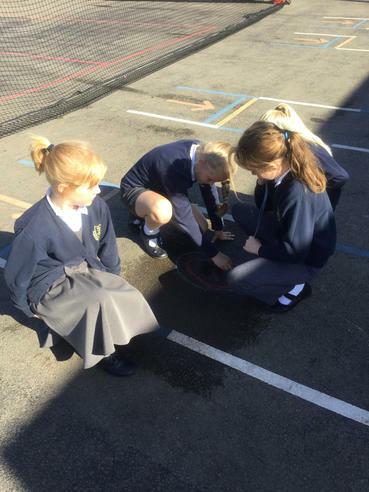 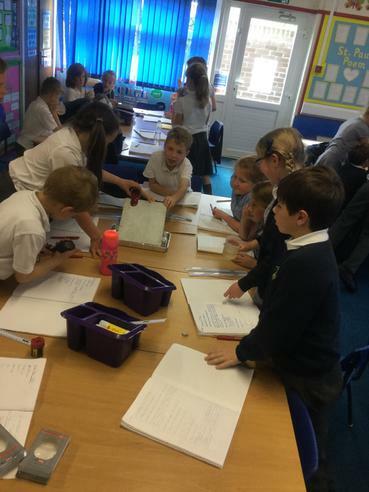 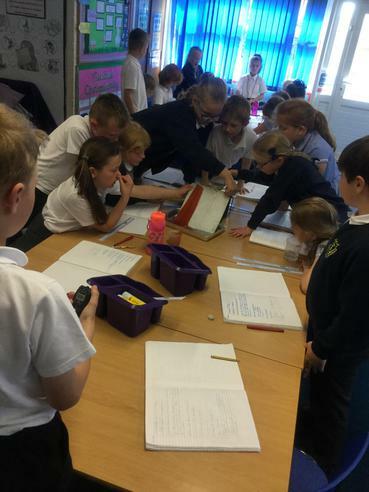 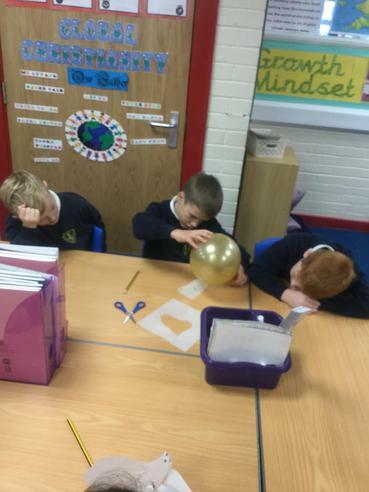 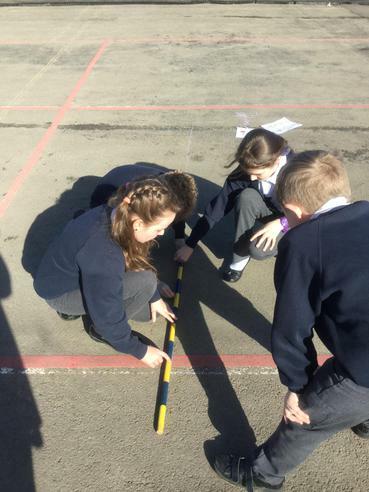 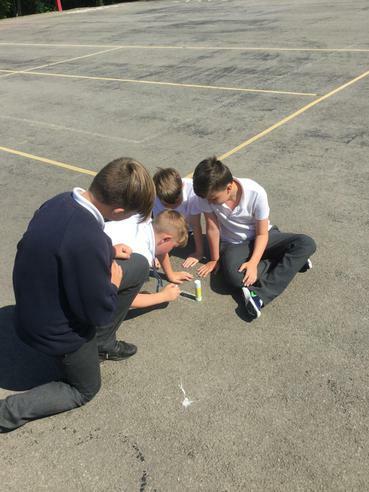 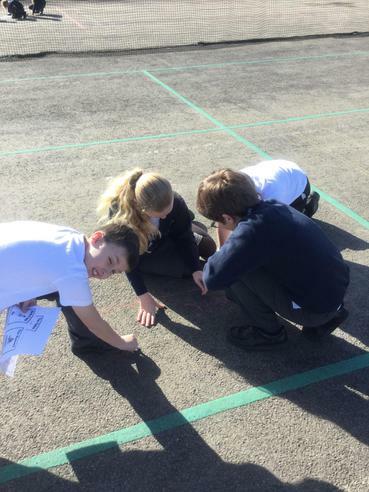 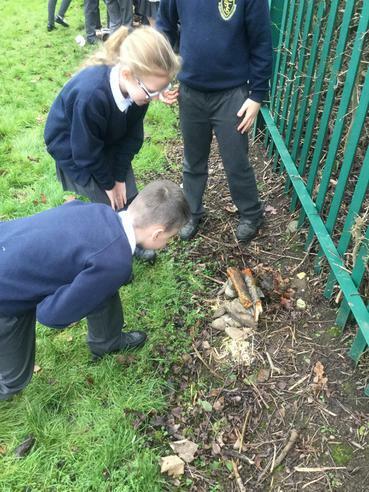 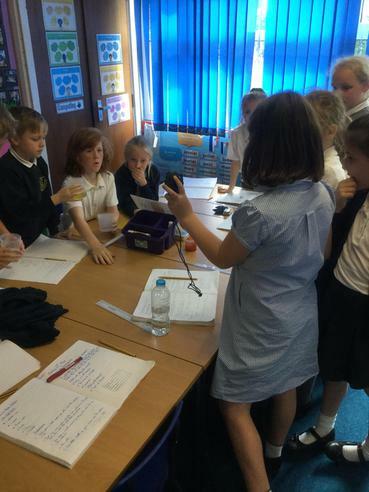 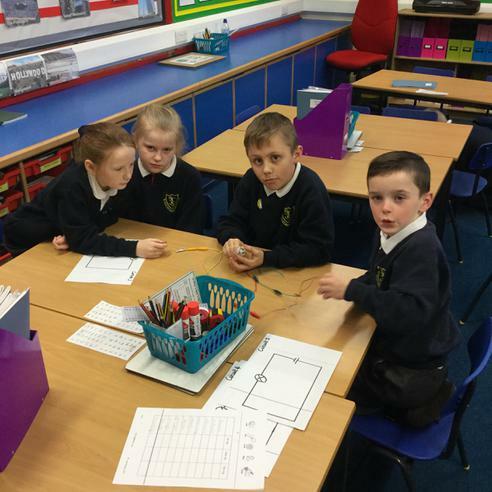 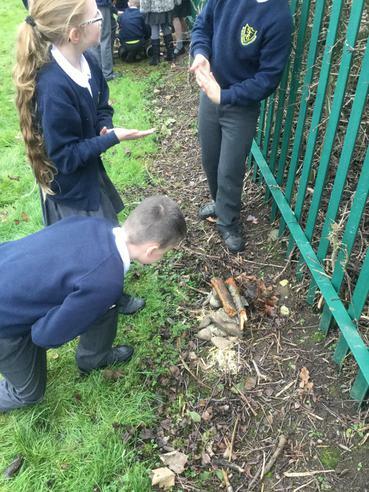 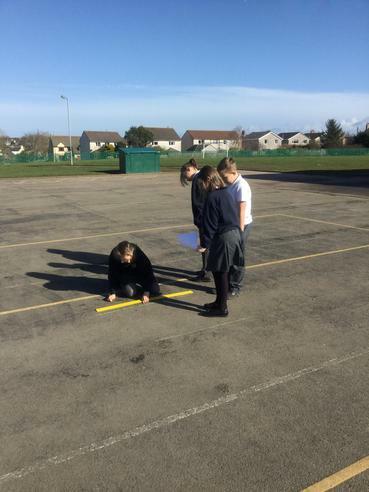 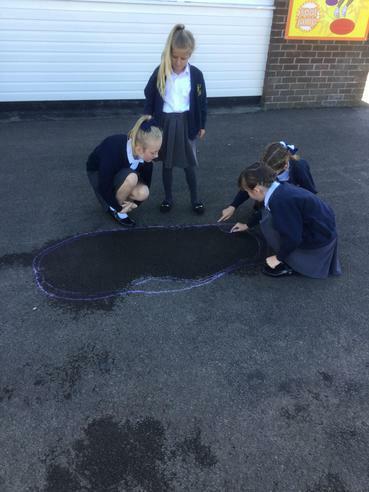 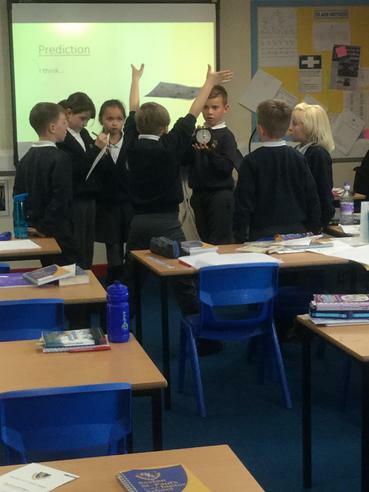 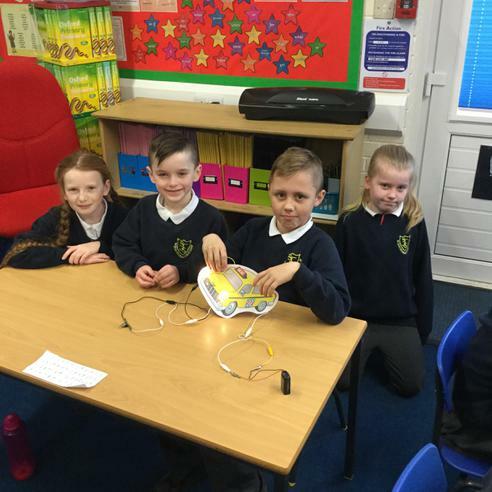 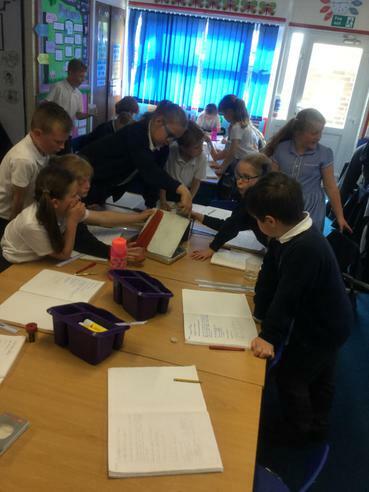 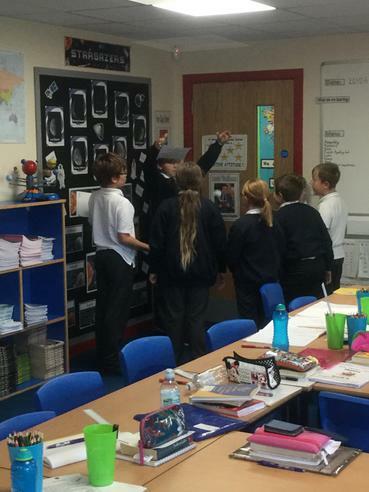 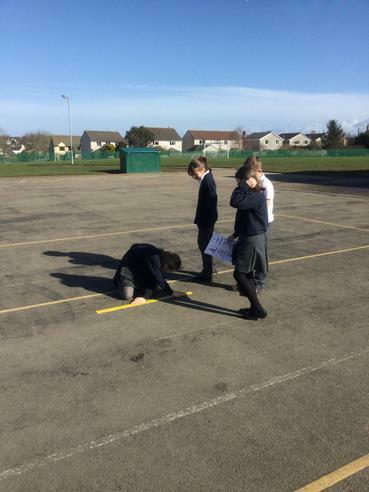 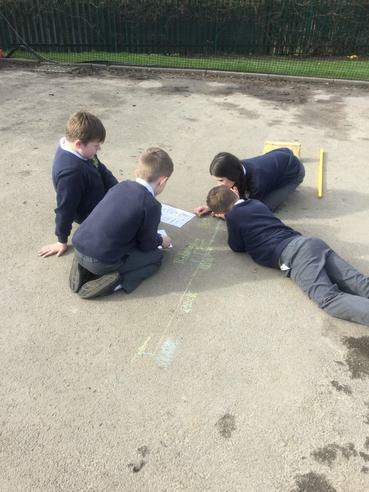 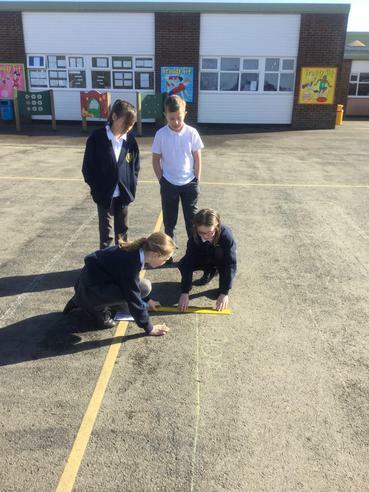 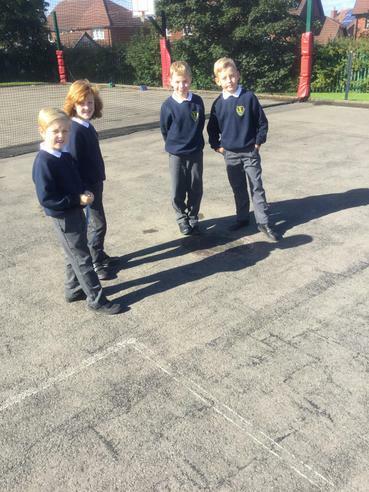 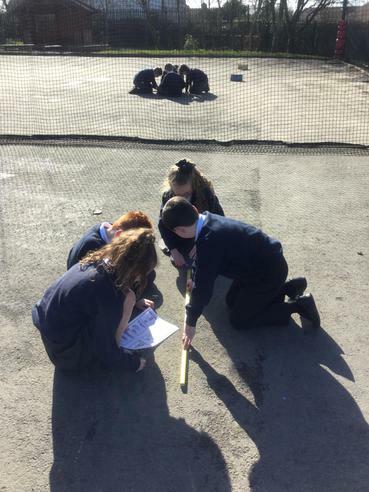 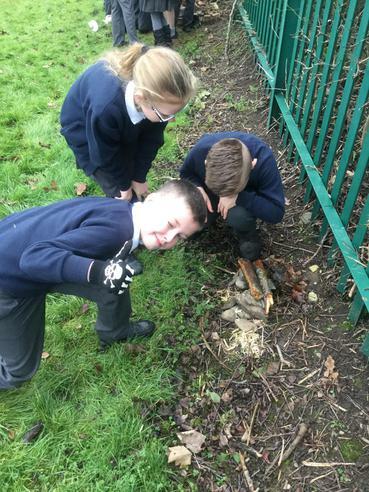 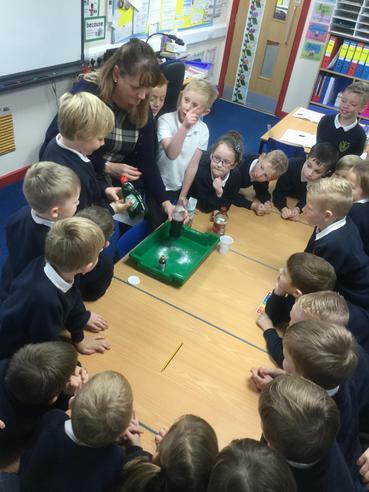 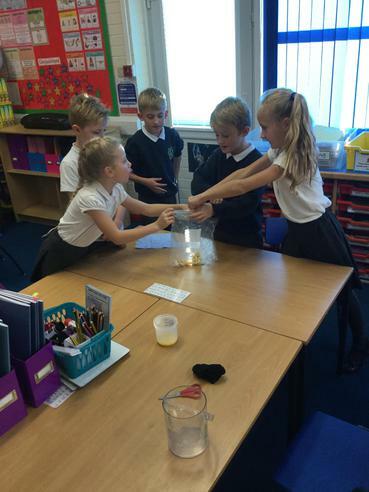 3Q enjoyed their investigation. 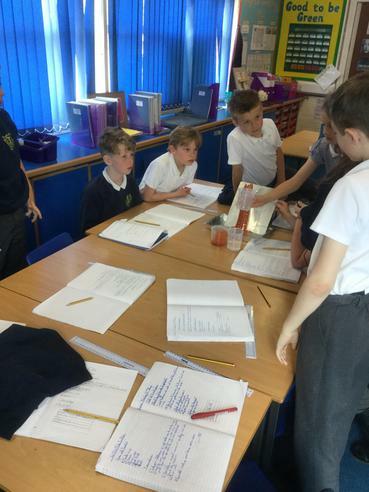 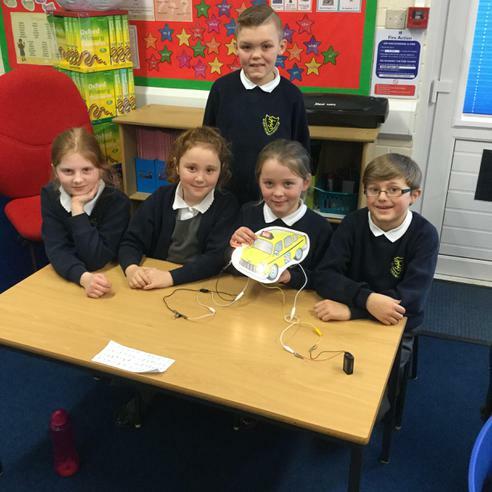 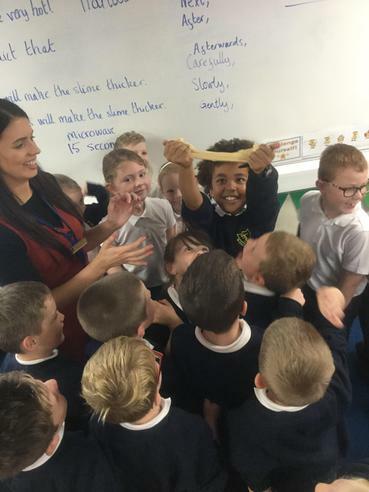 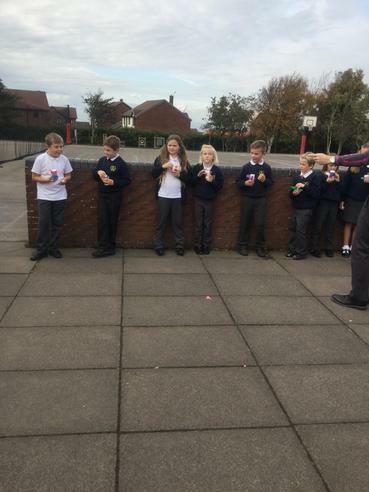 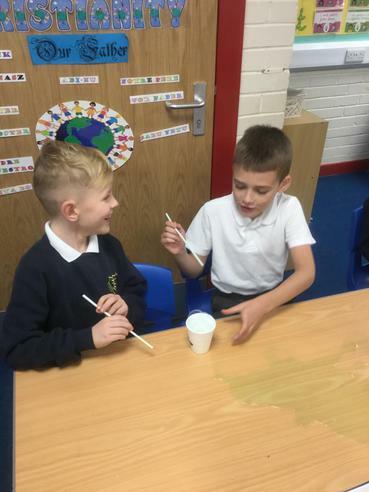 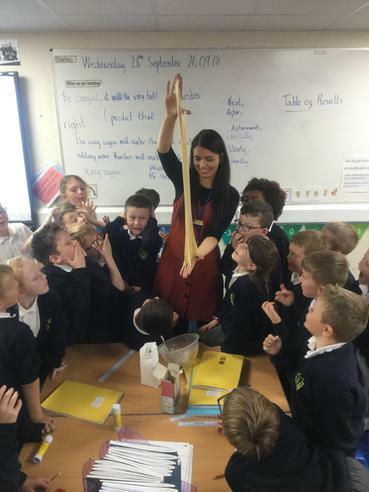 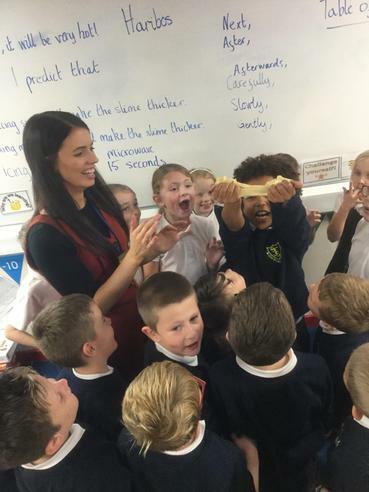 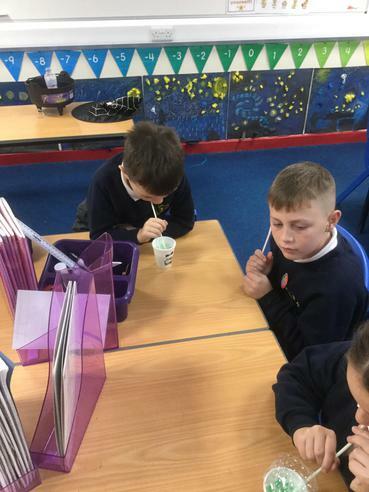 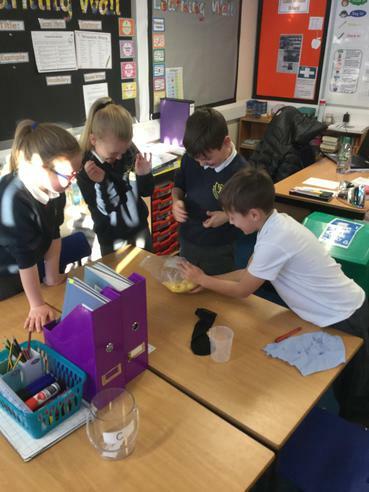 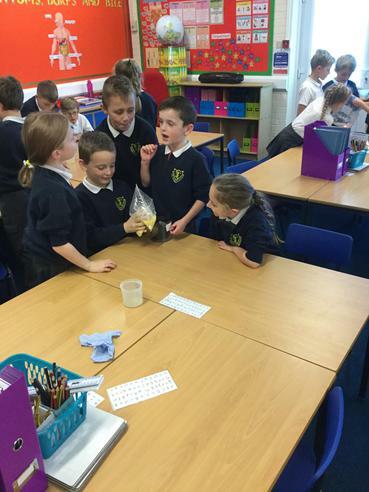 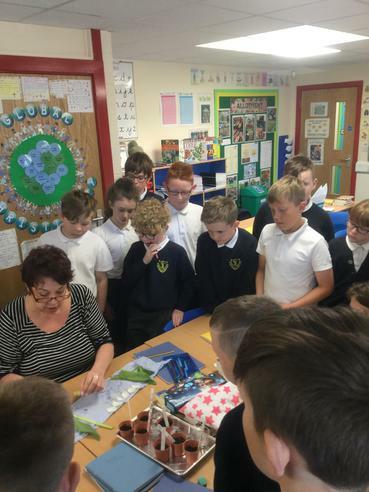 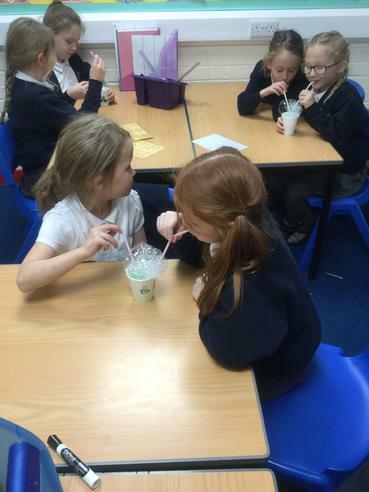 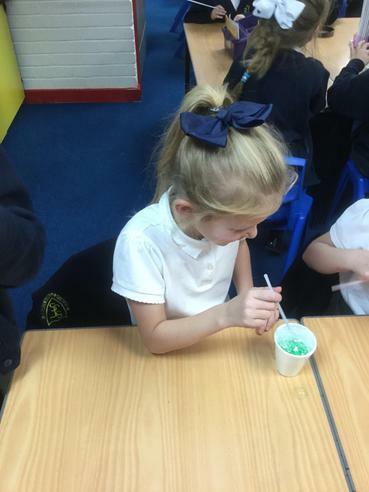 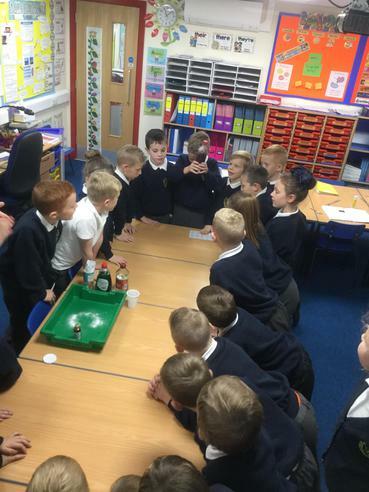 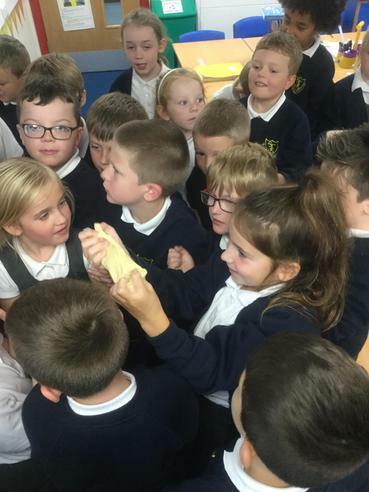 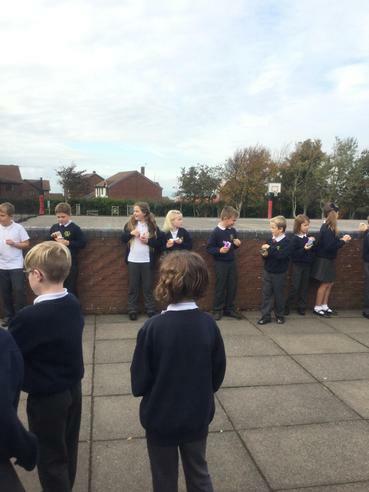 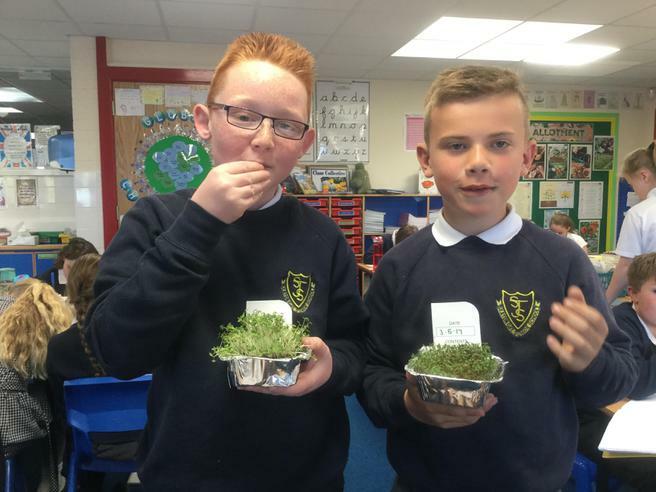 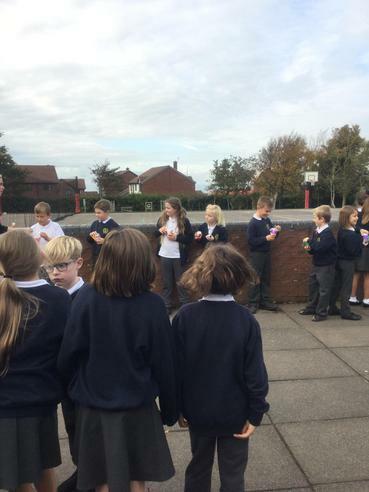 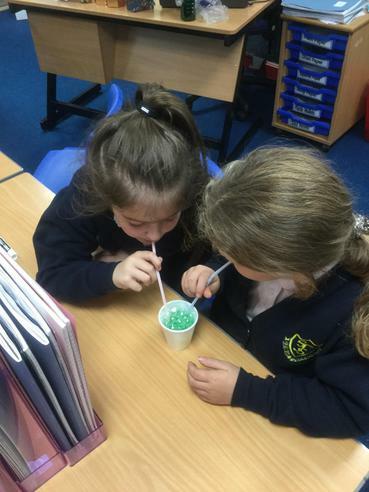 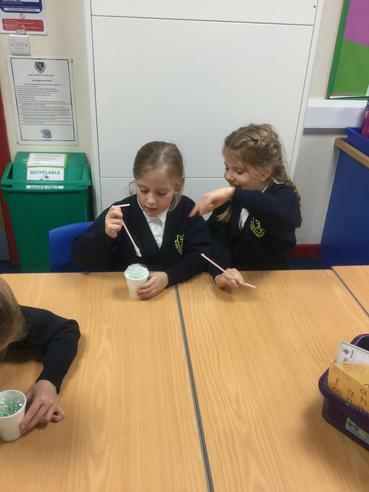 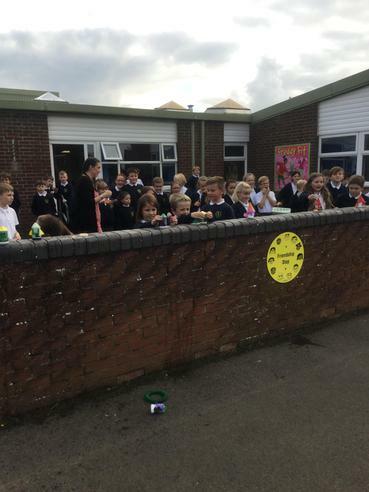 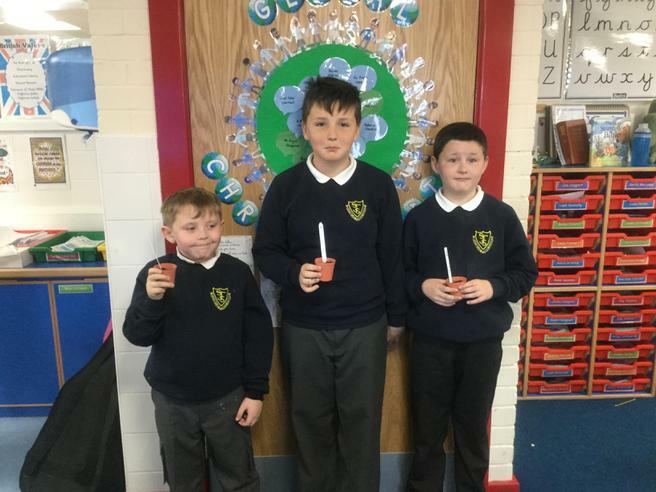 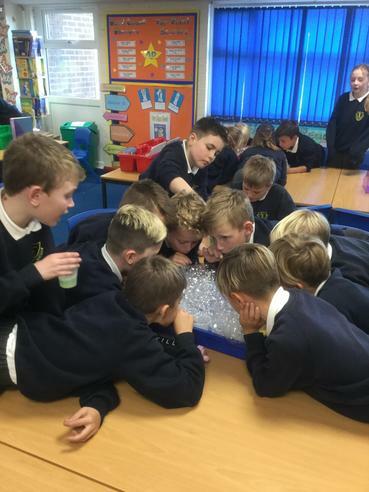 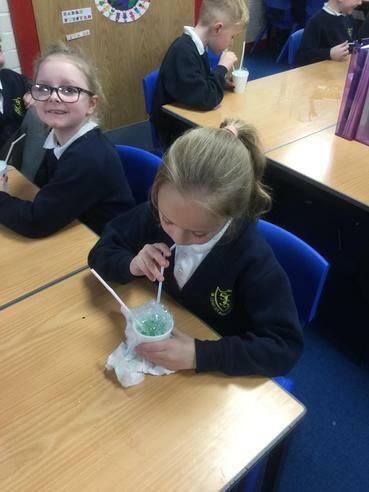 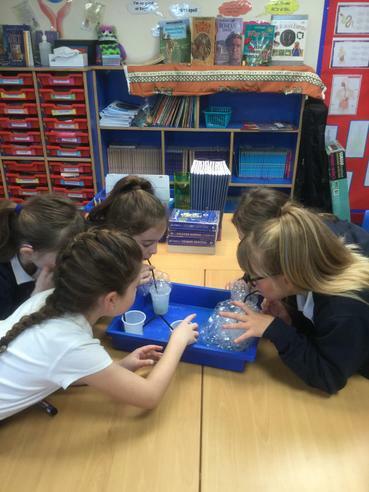 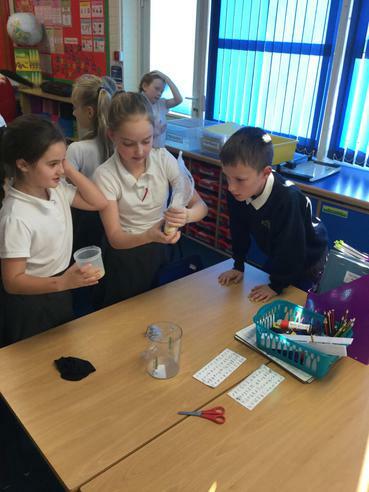 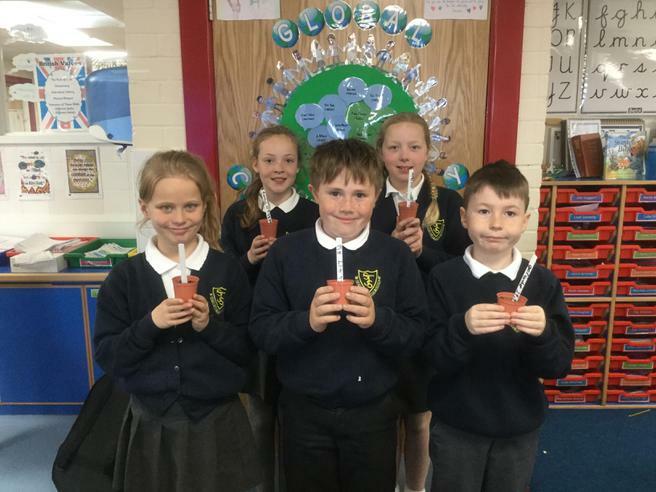 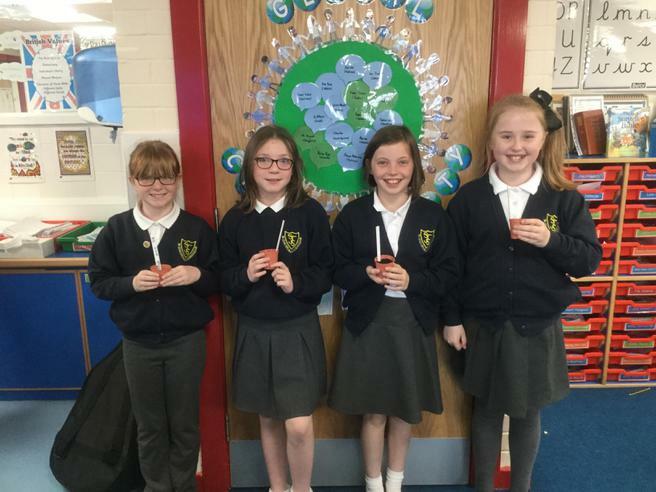 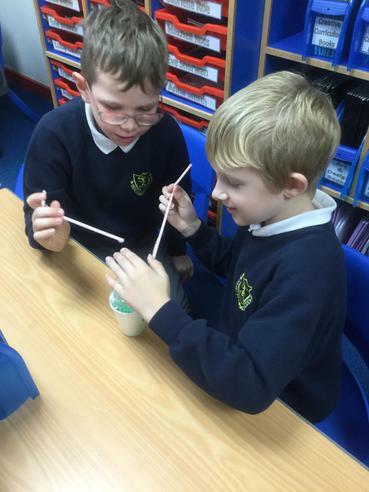 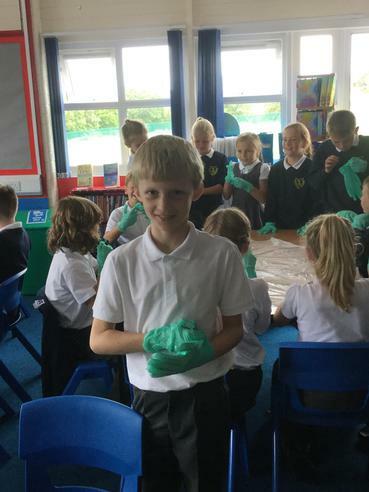 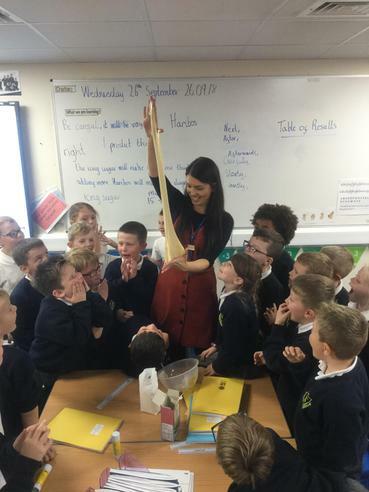 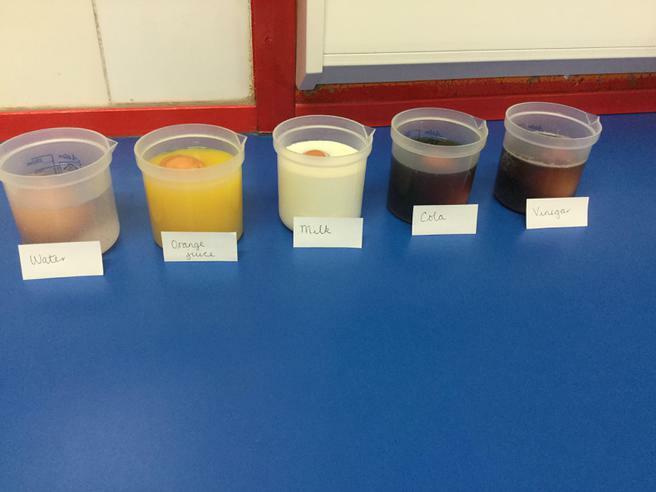 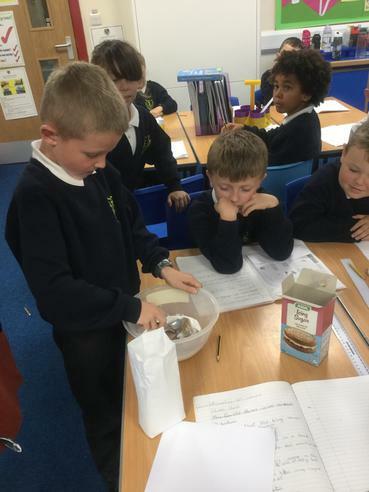 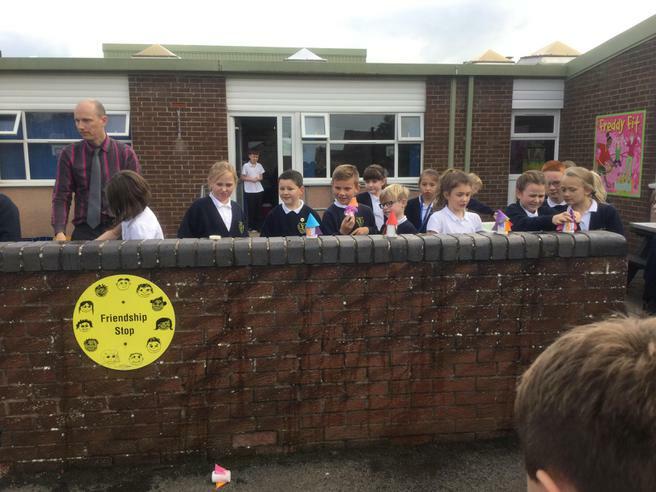 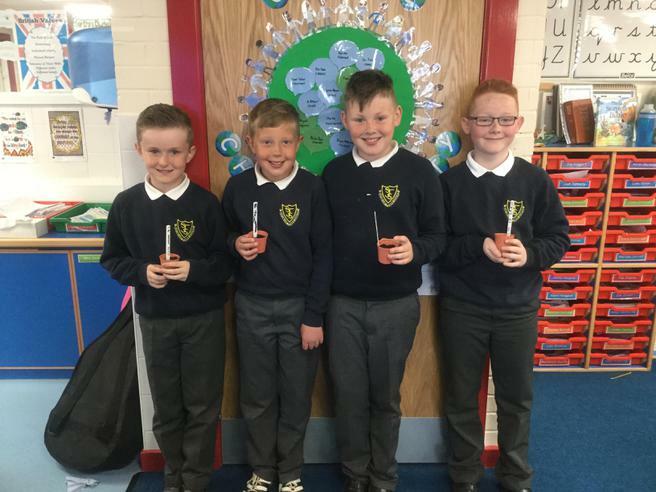 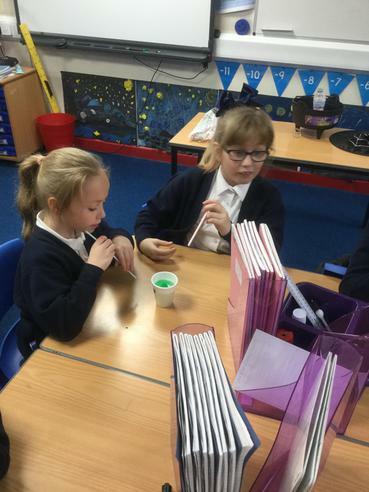 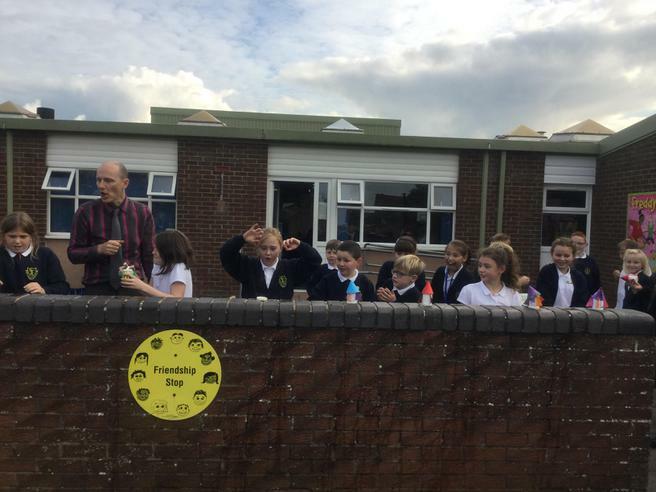 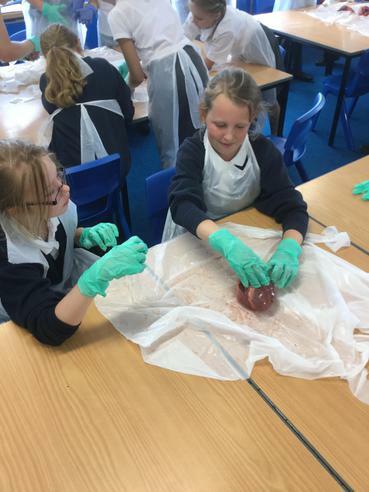 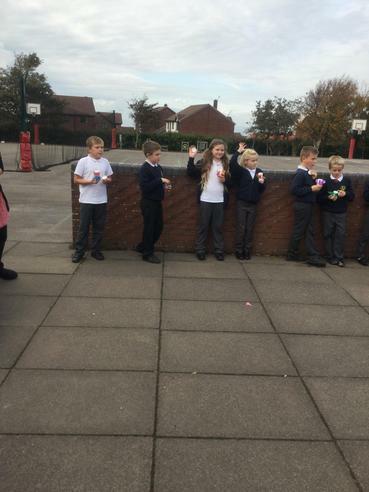 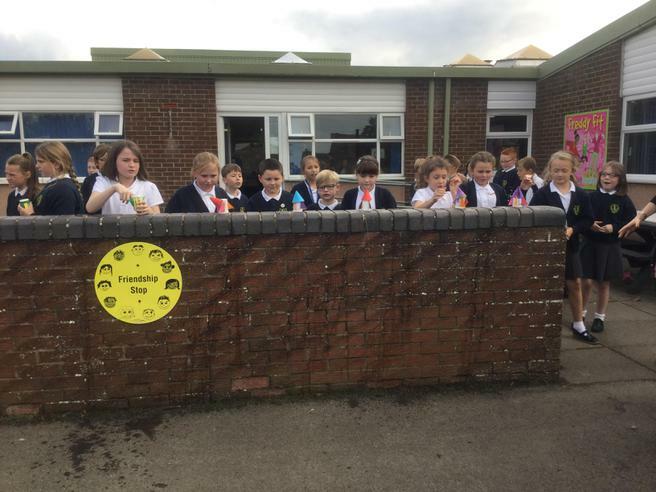 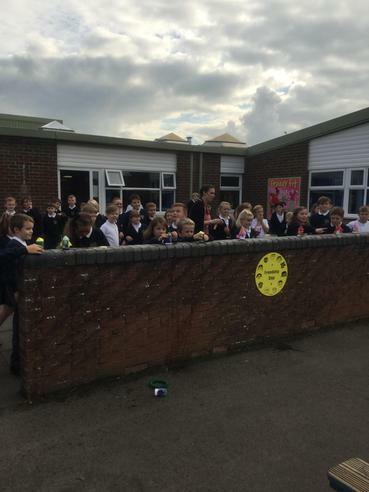 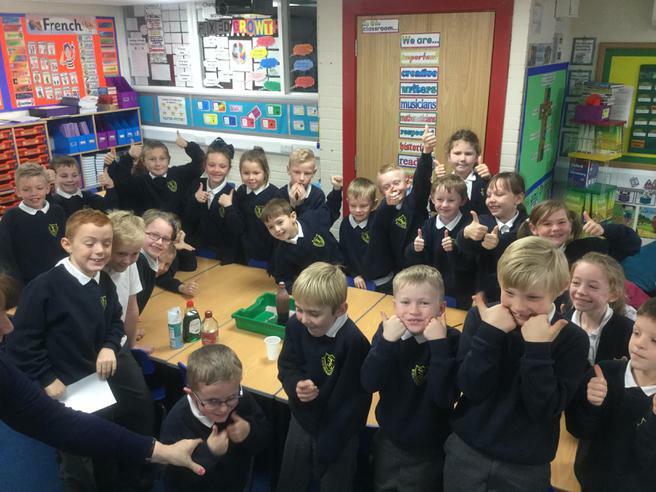 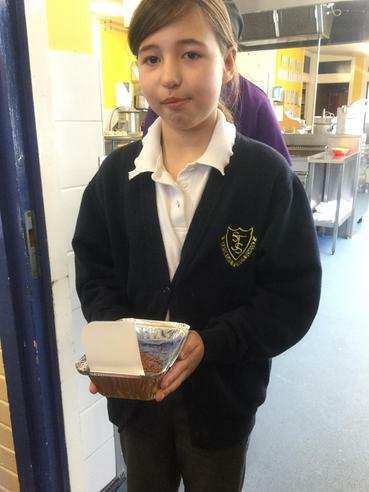 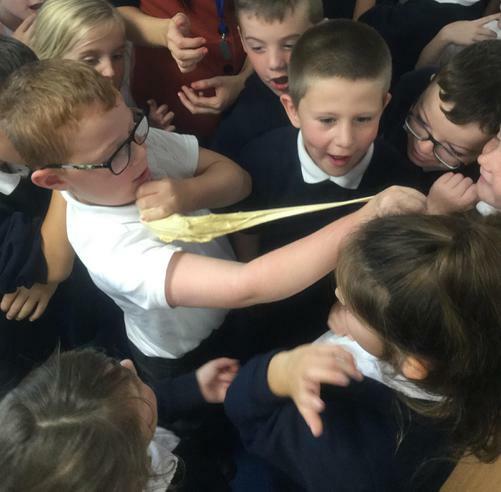 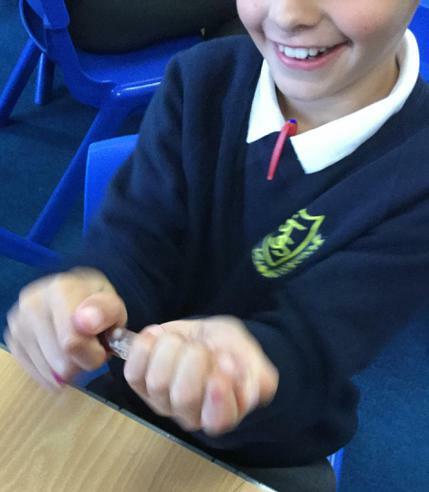 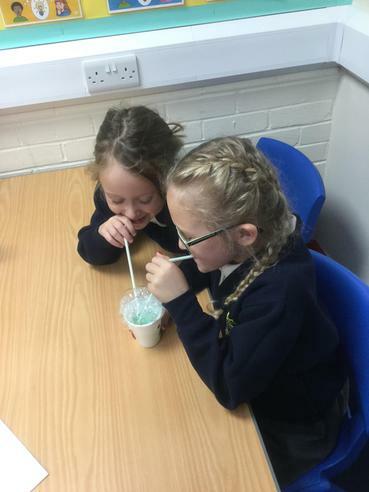 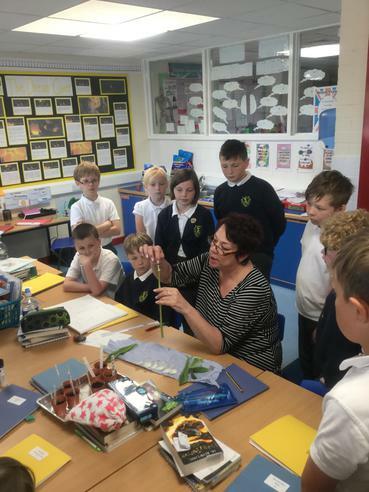 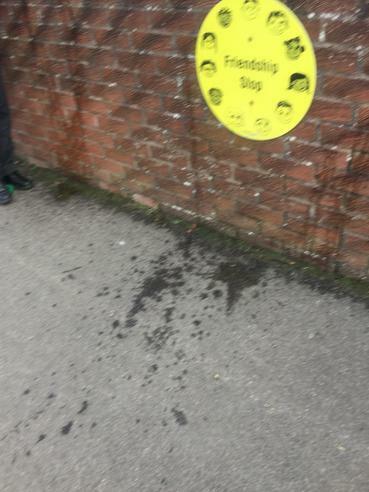 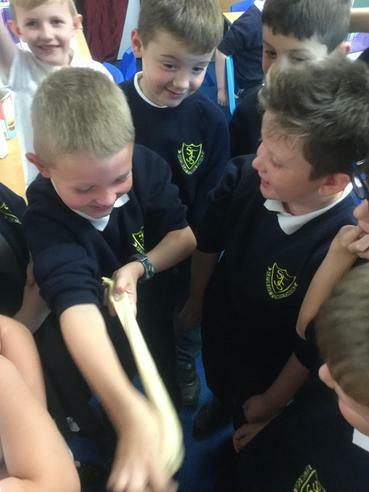 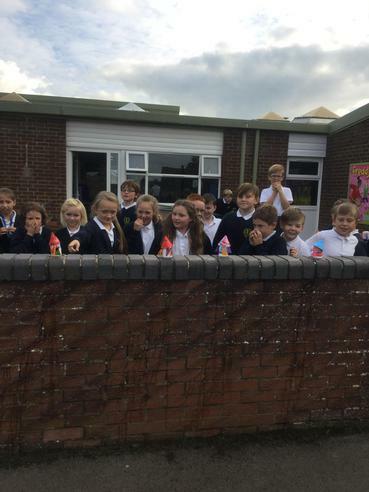 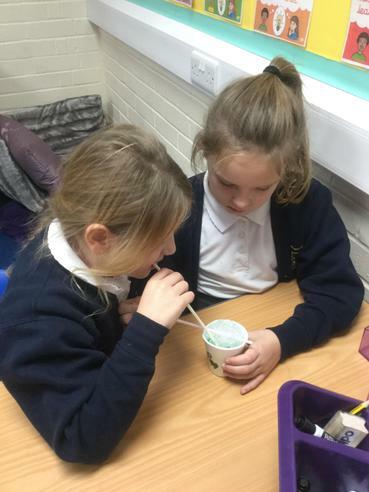 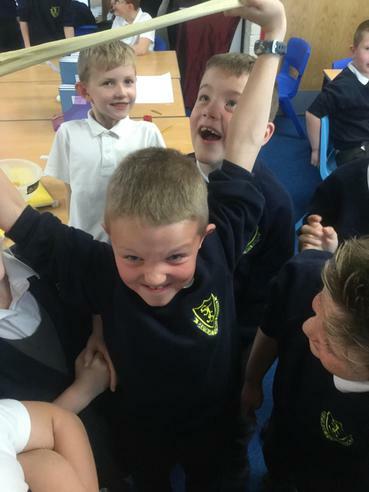 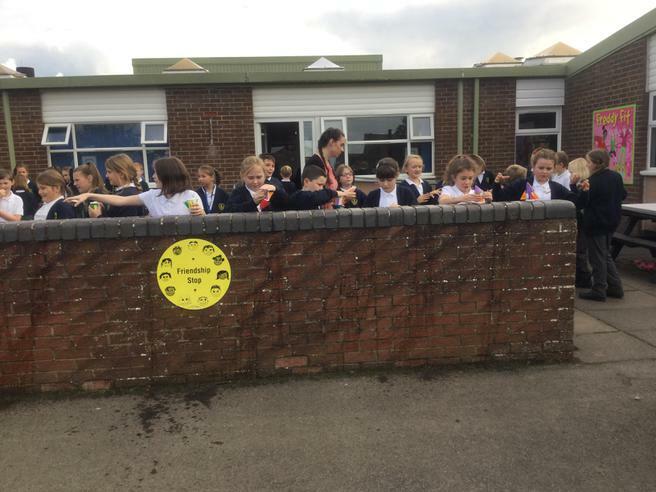 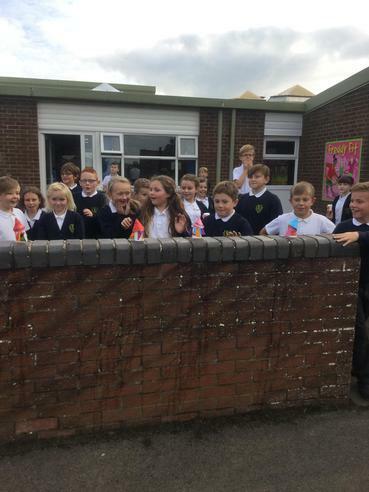 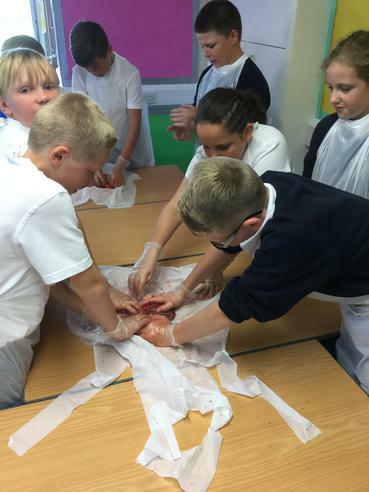 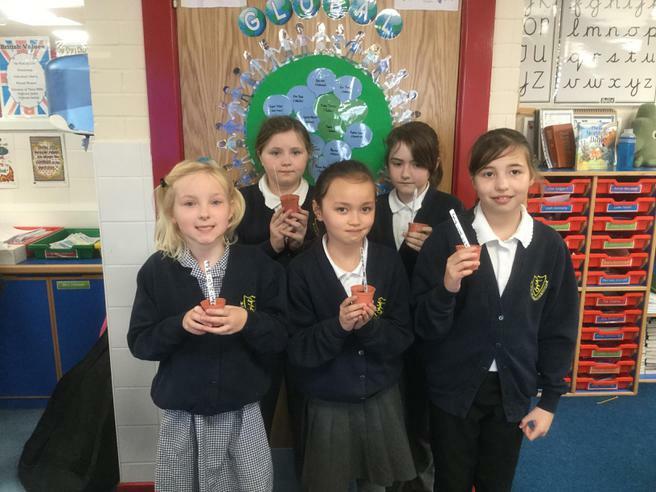 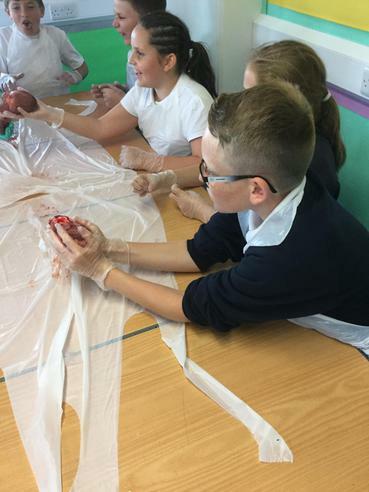 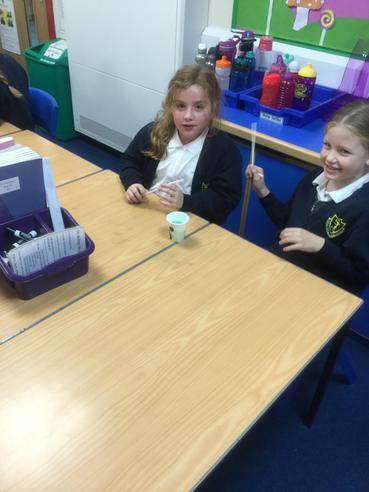 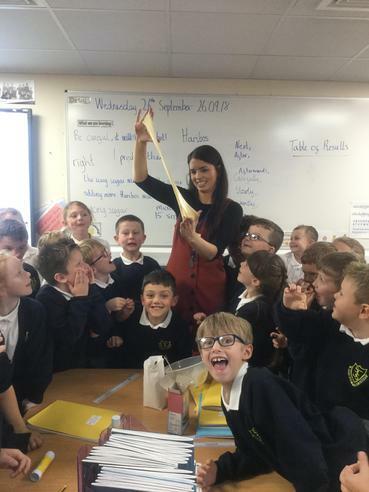 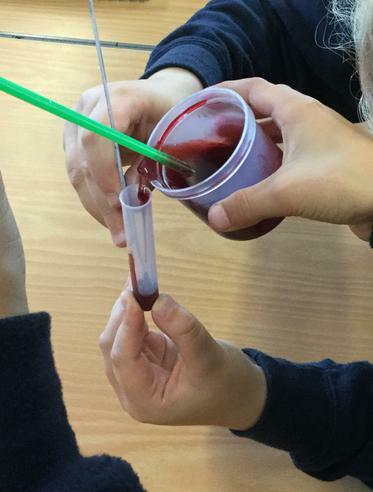 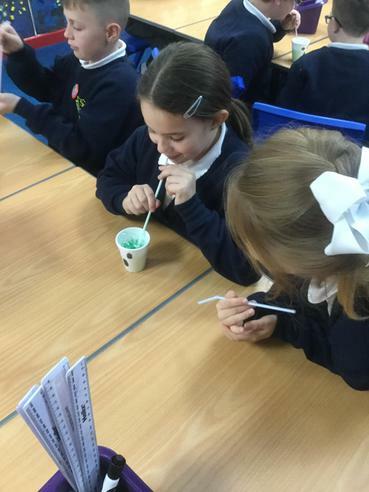 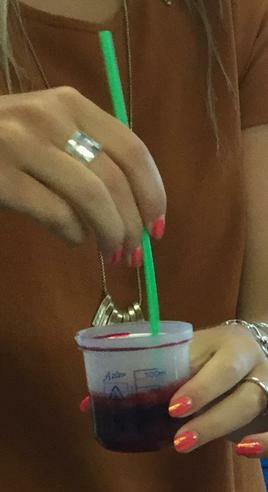 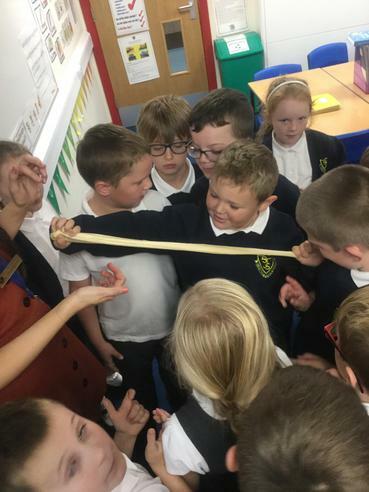 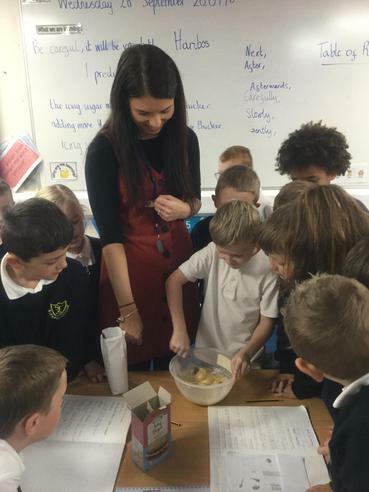 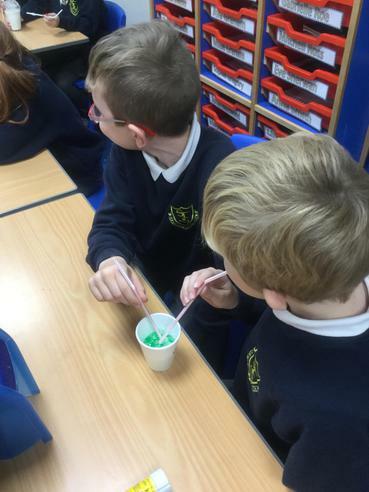 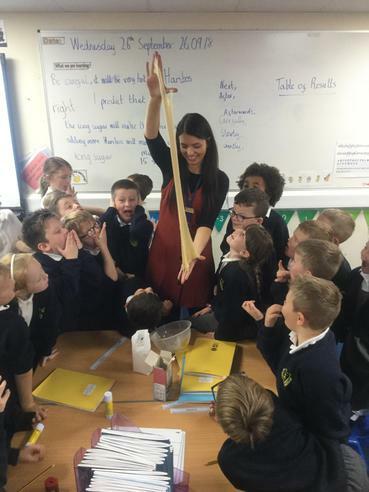 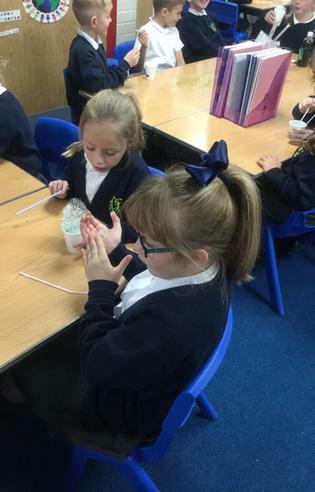 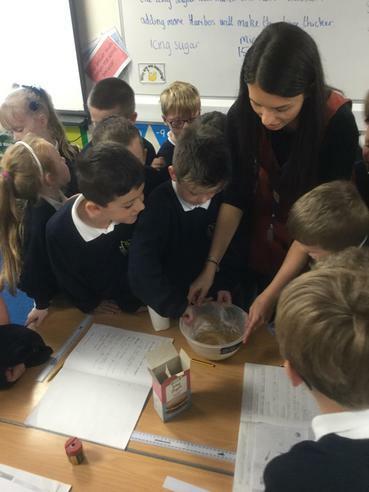 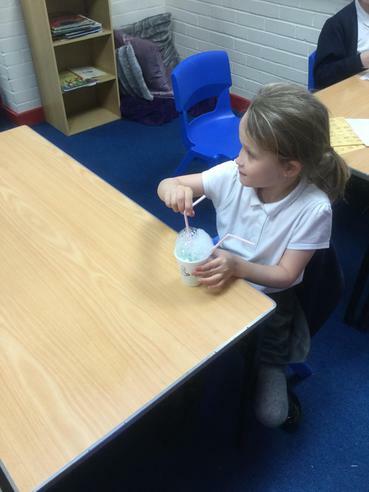 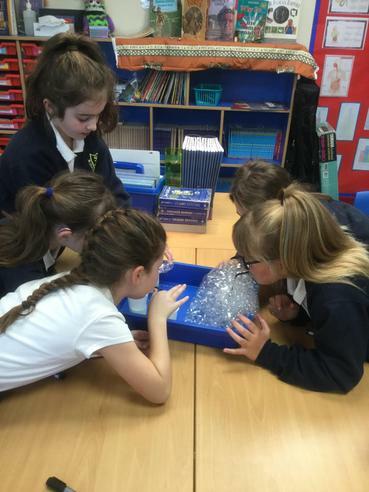 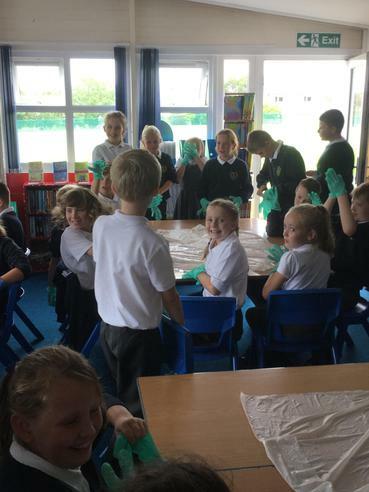 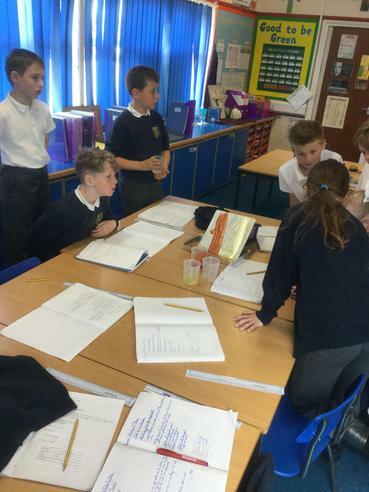 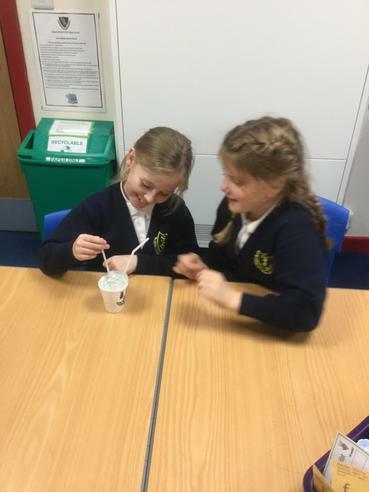 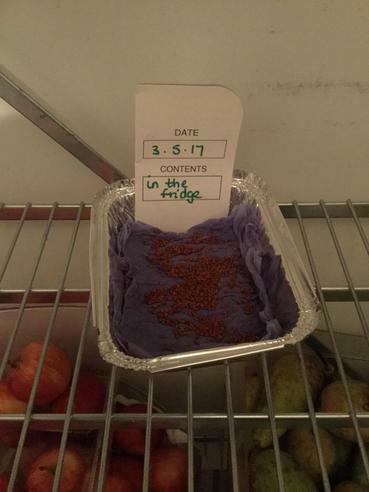 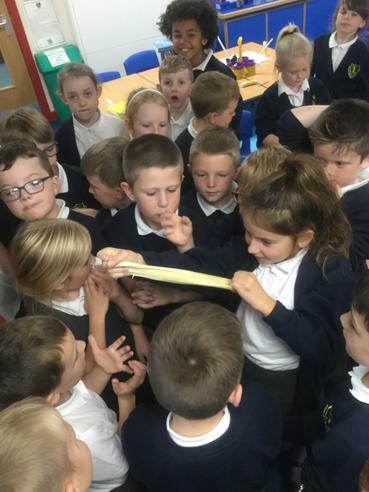 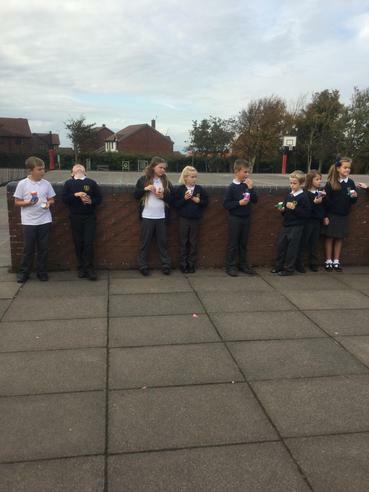 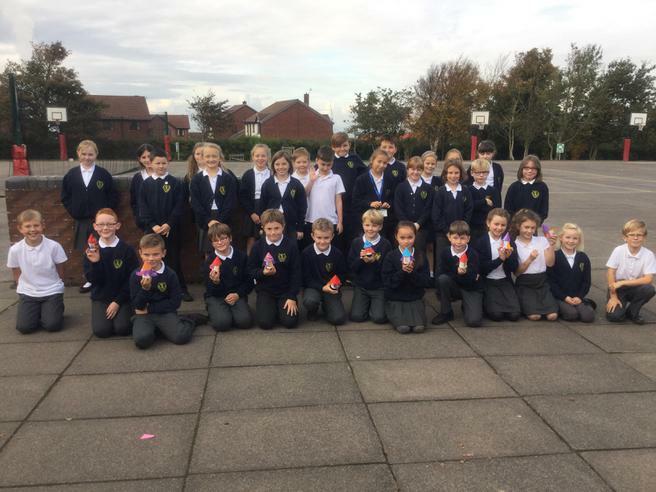 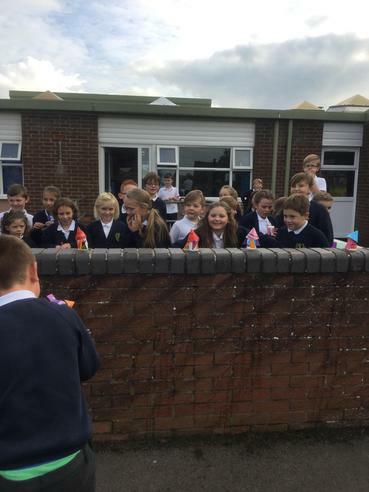 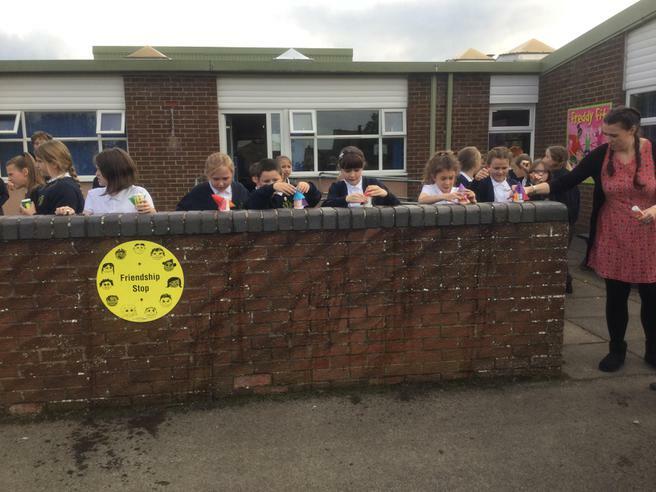 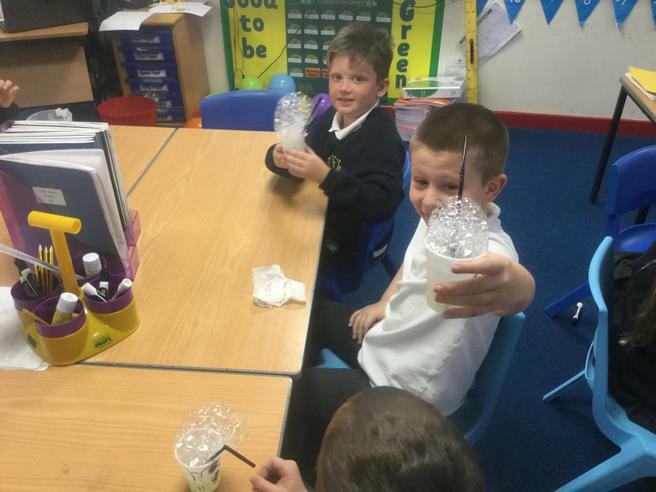 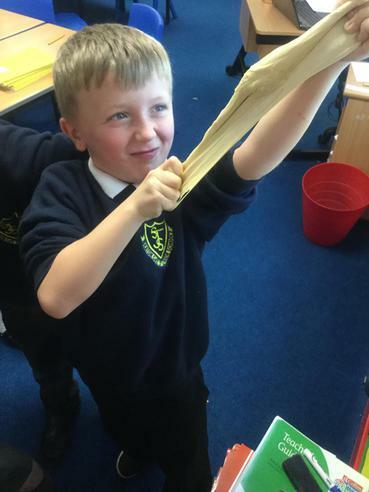 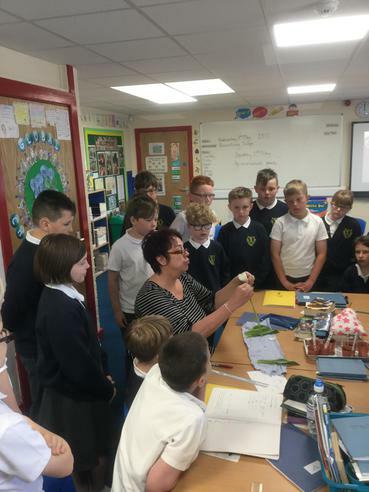 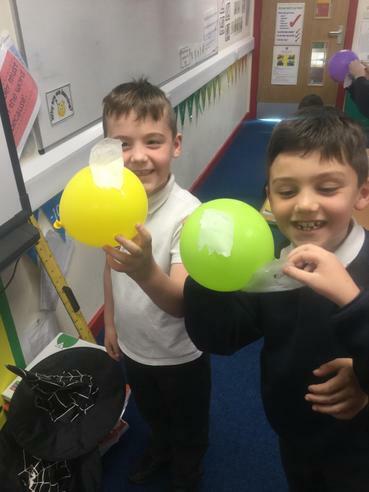 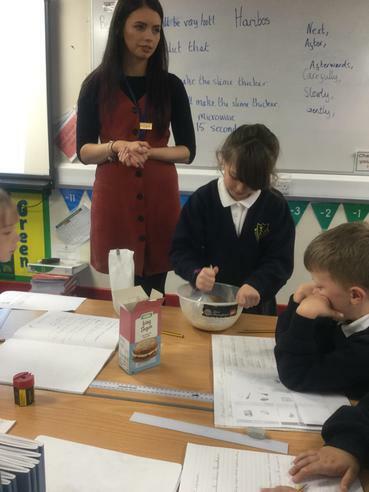 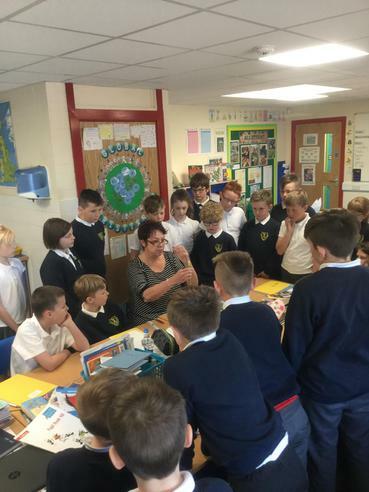 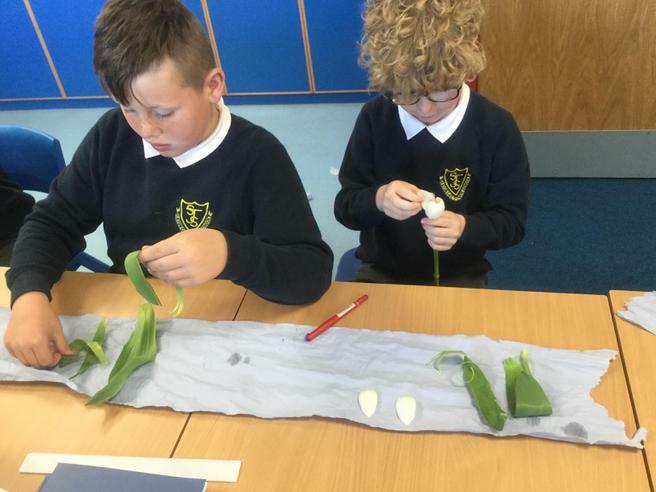 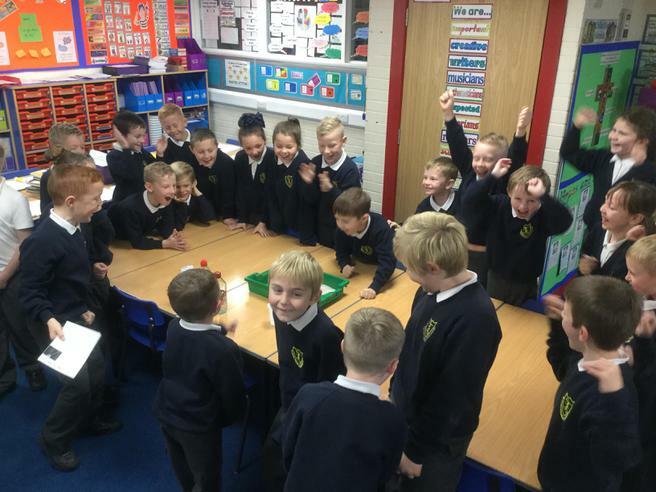 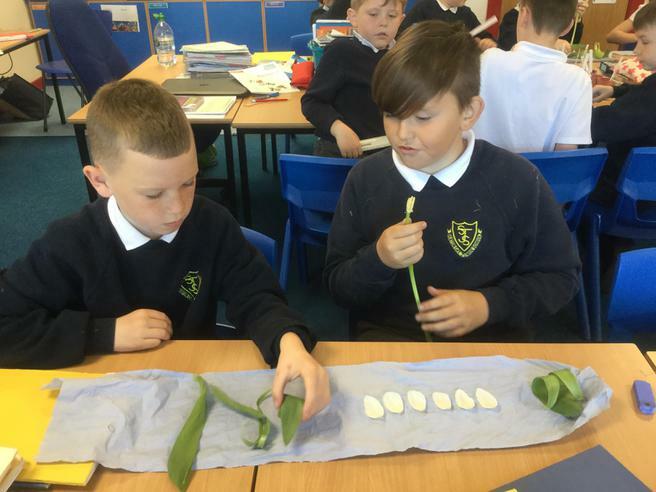 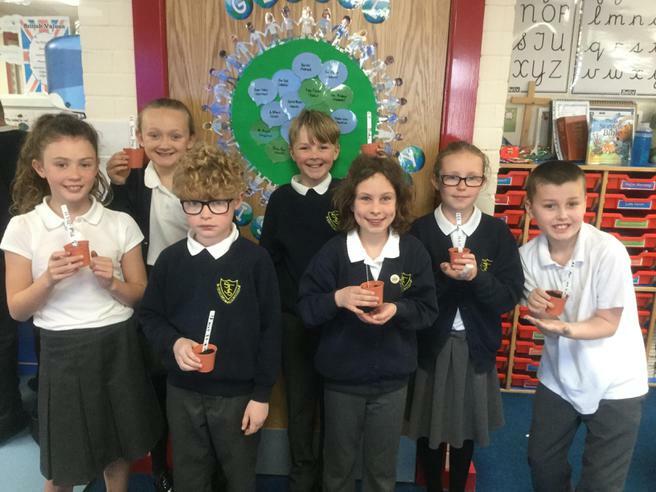 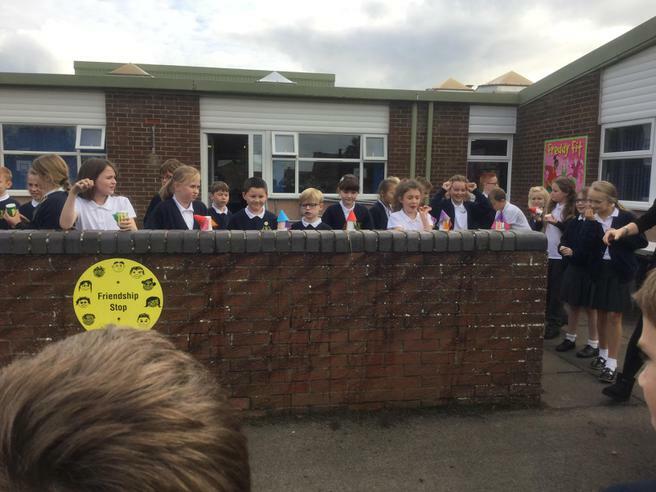 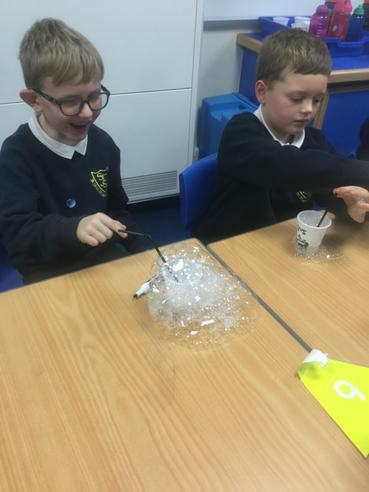 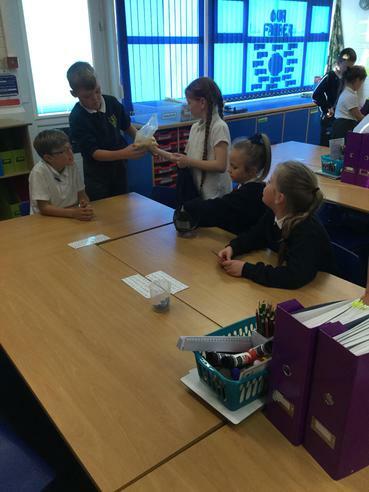 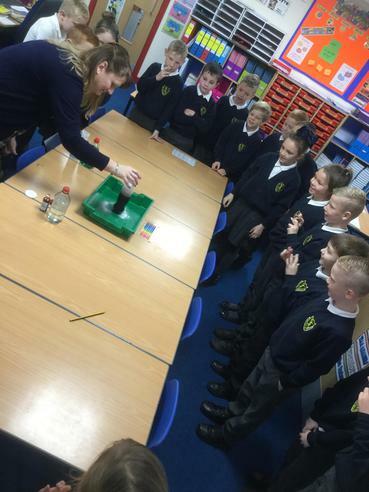 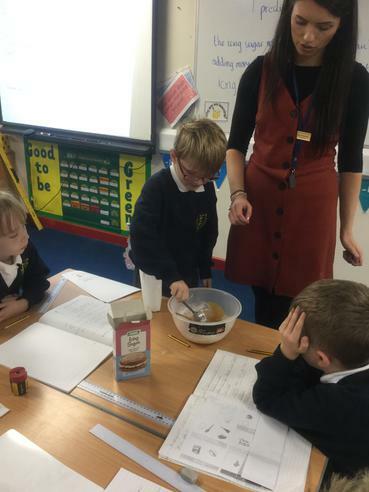 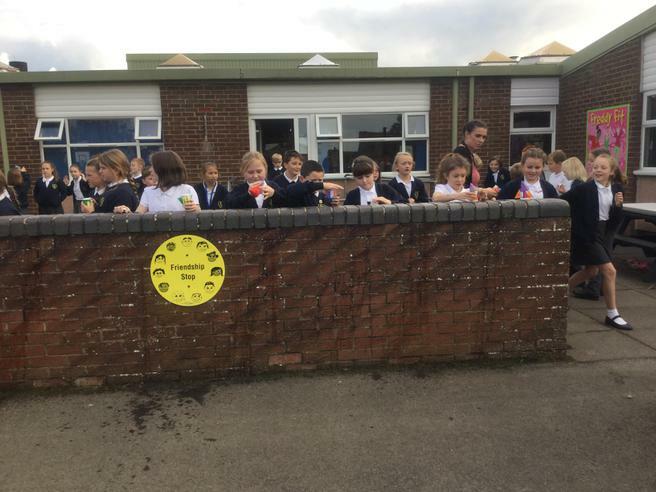 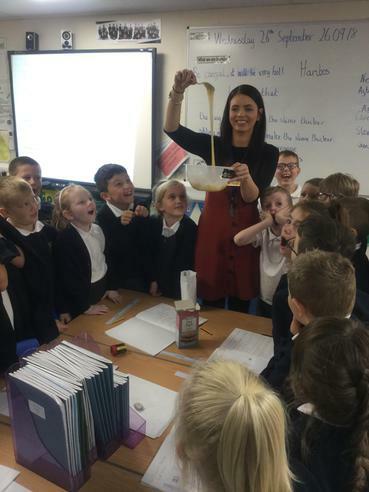 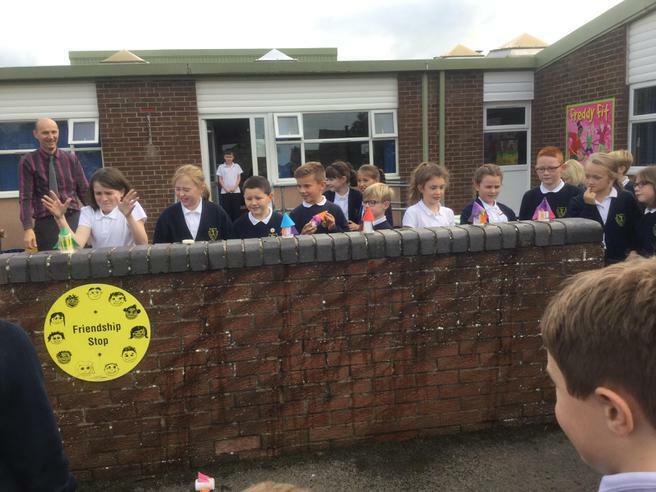 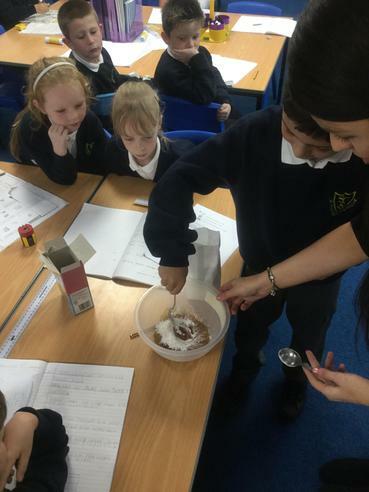 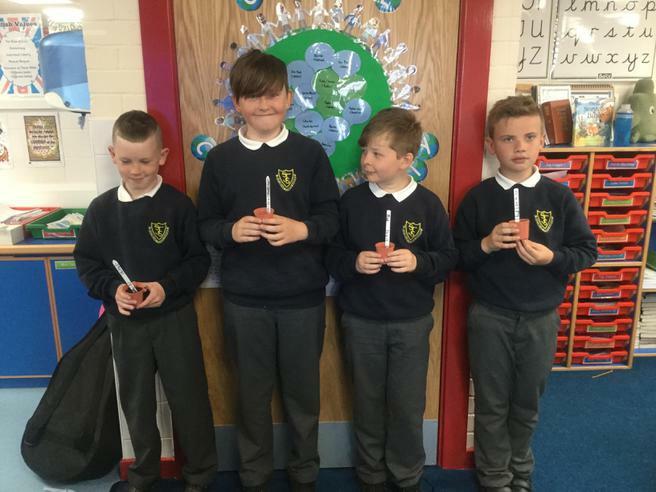 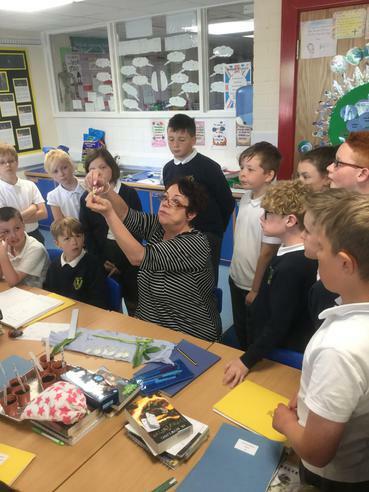 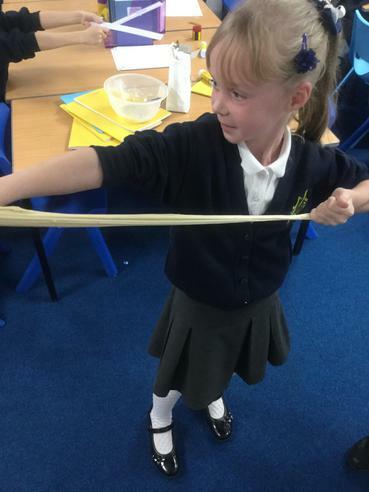 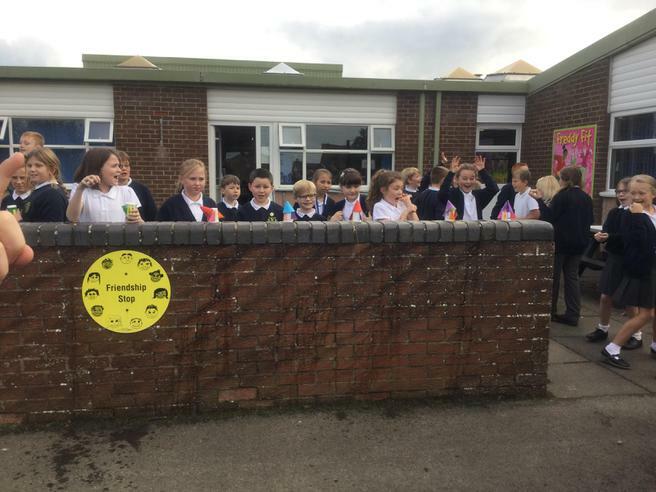 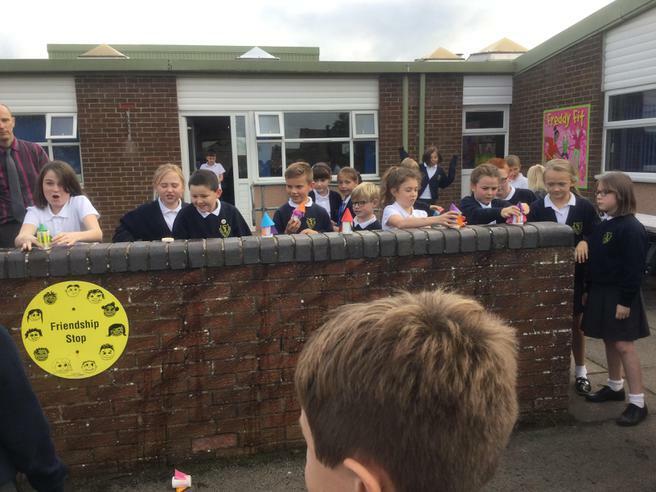 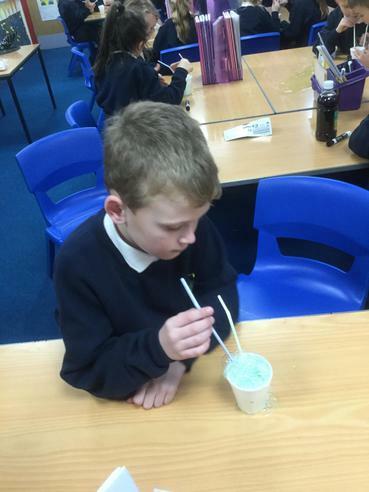 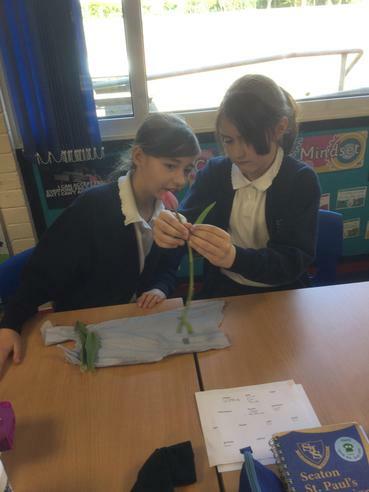 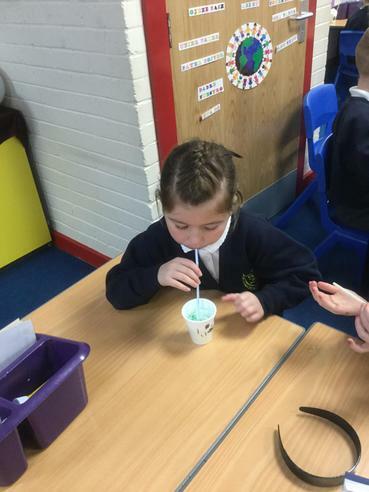 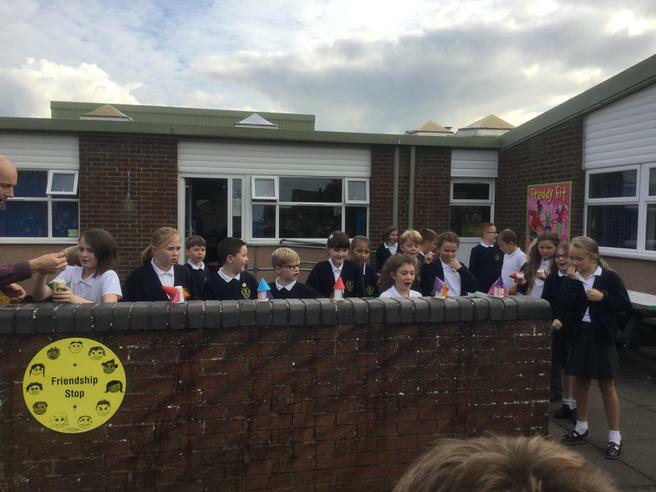 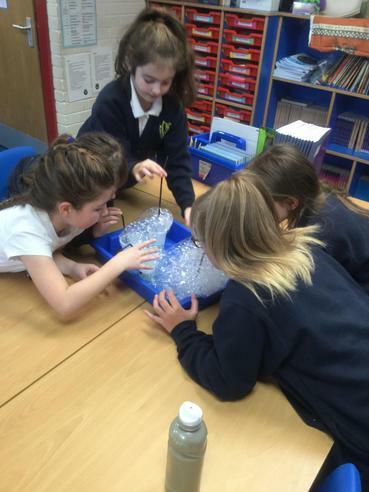 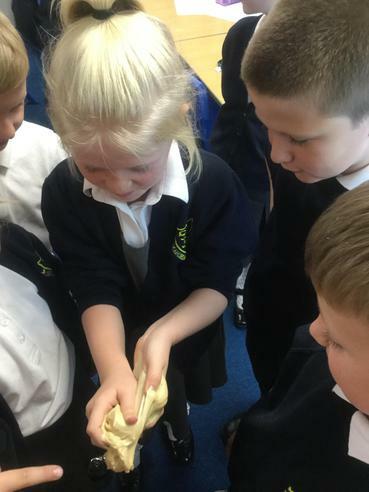 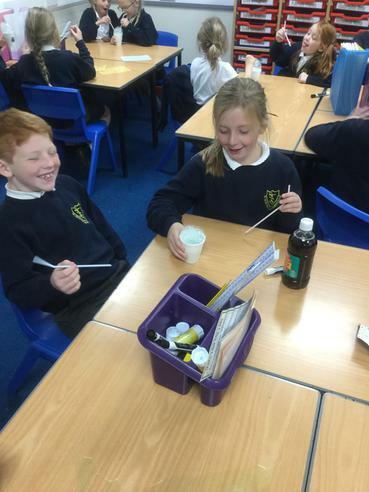 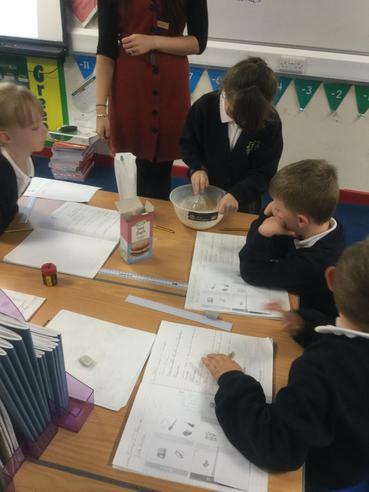 They made thick, stretchy edible slime which tasted delicious! 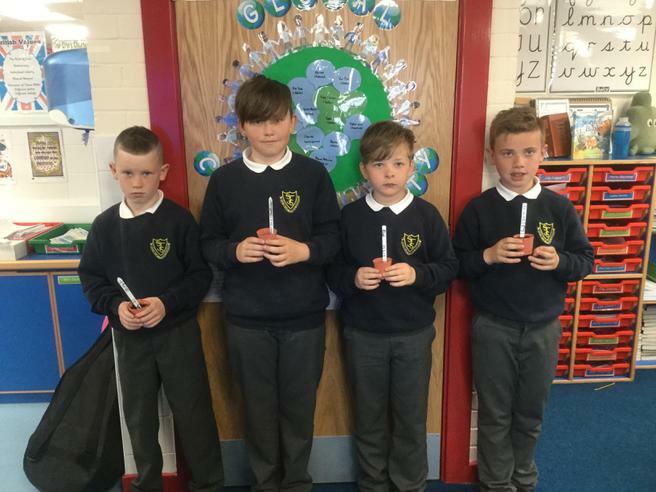 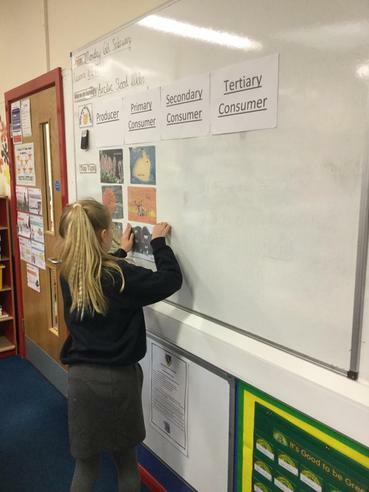 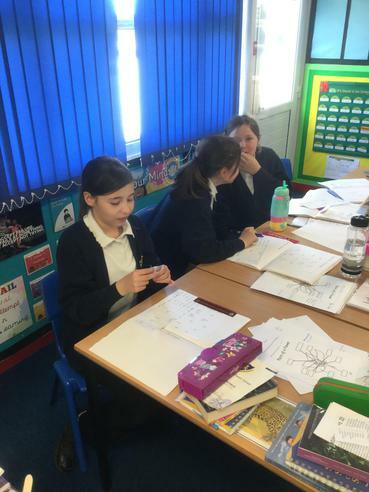 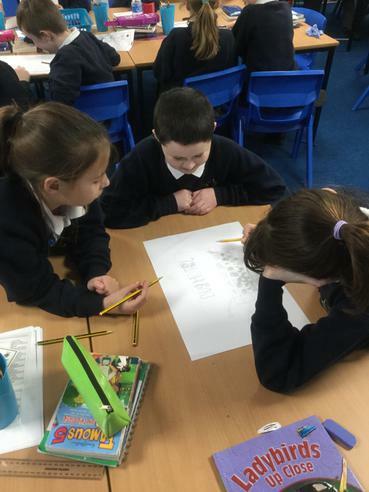 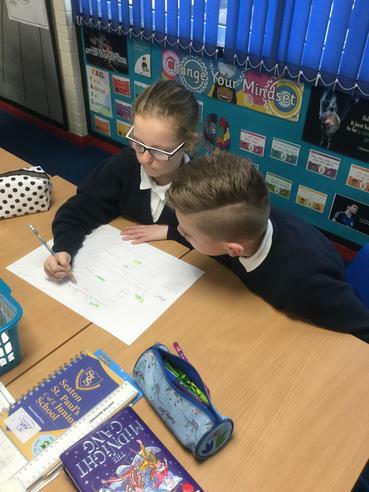 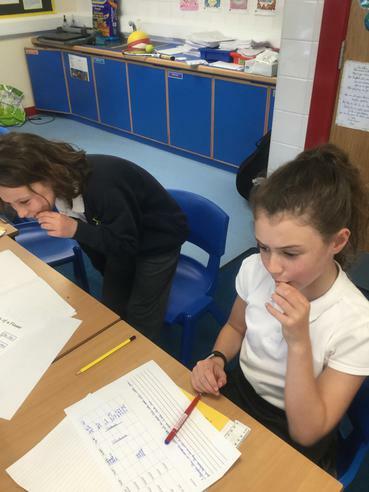 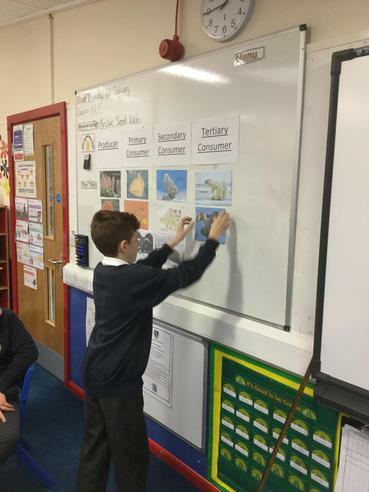 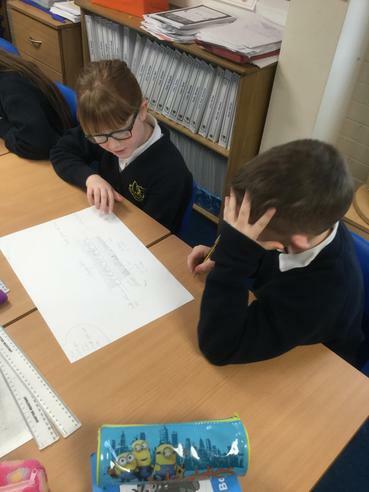 3Q have written fantastic narratives called 'The Journey of a Fossil'. 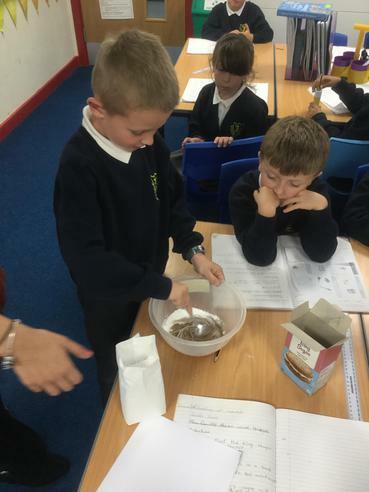 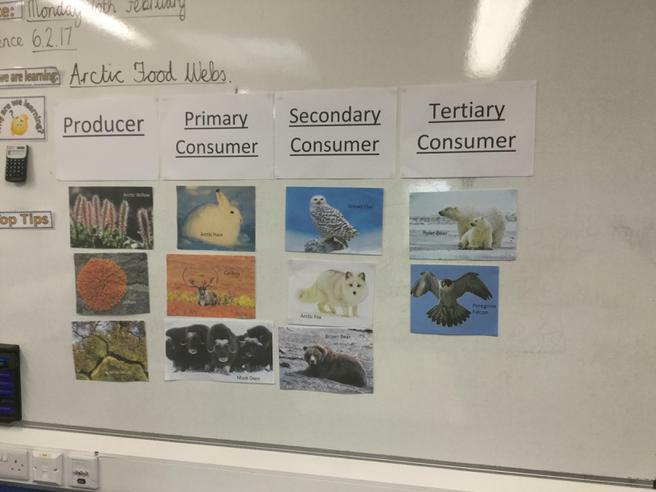 They explain the process of fossilisation. 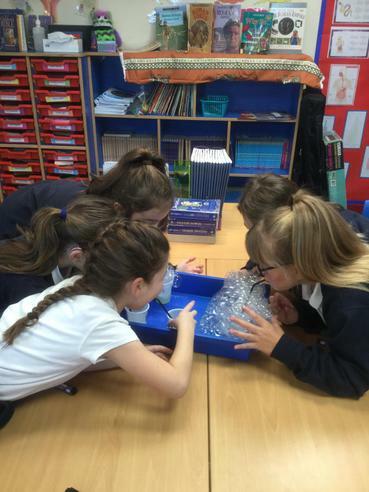 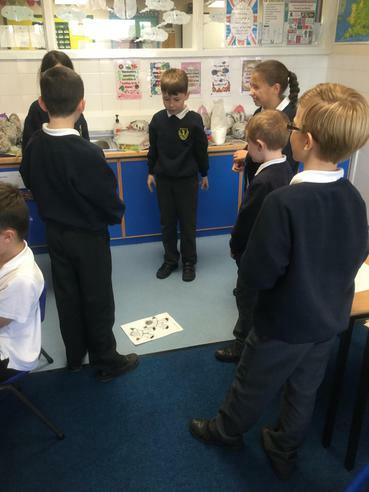 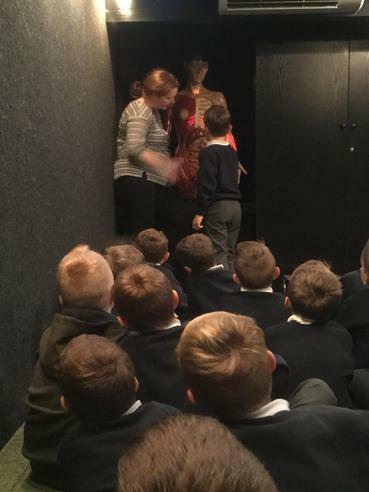 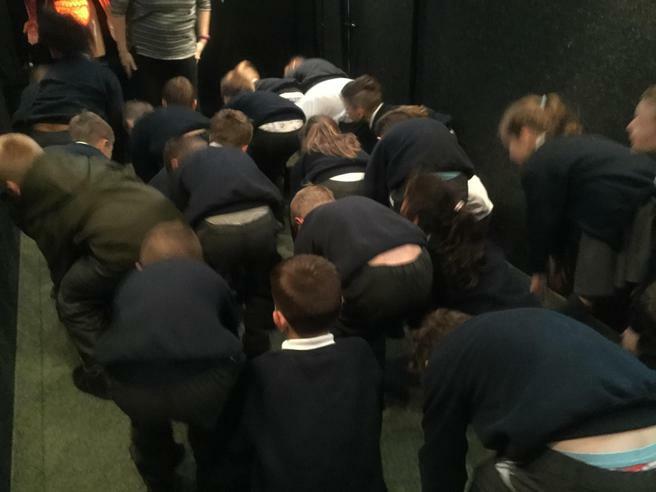 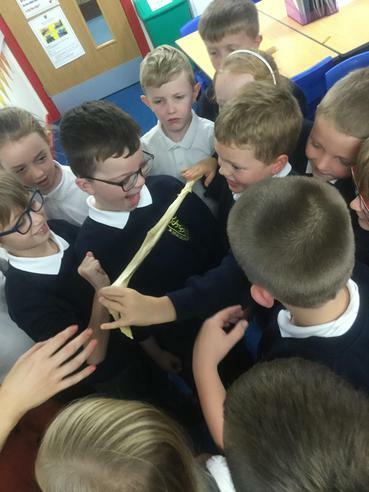 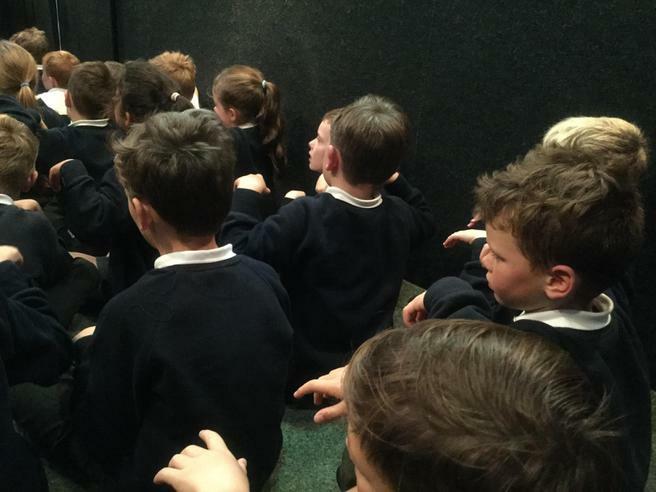 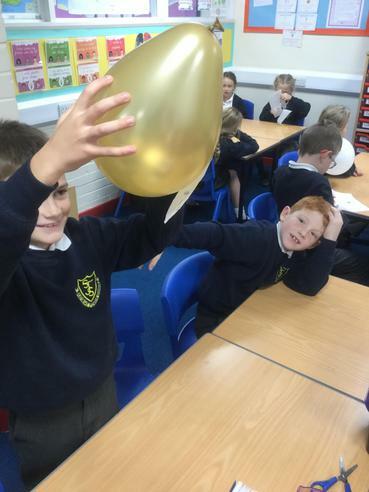 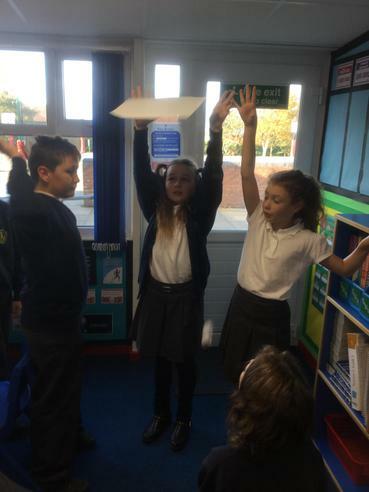 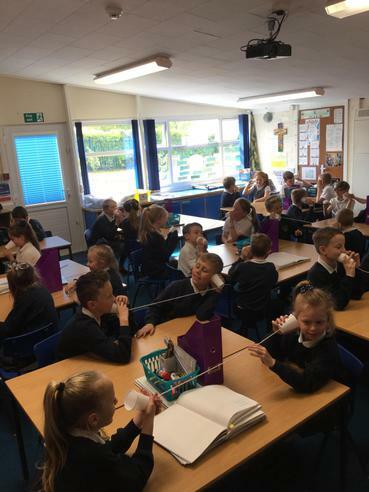 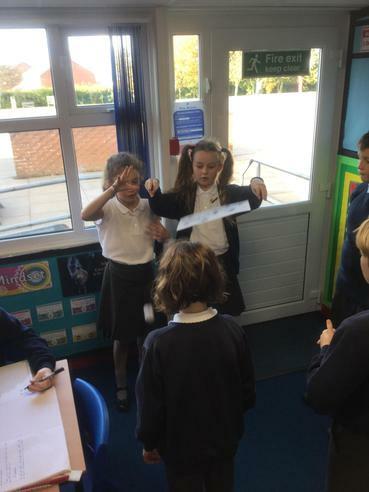 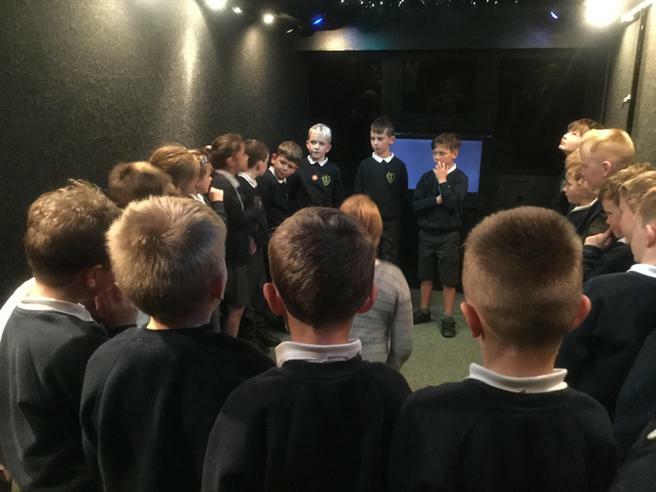 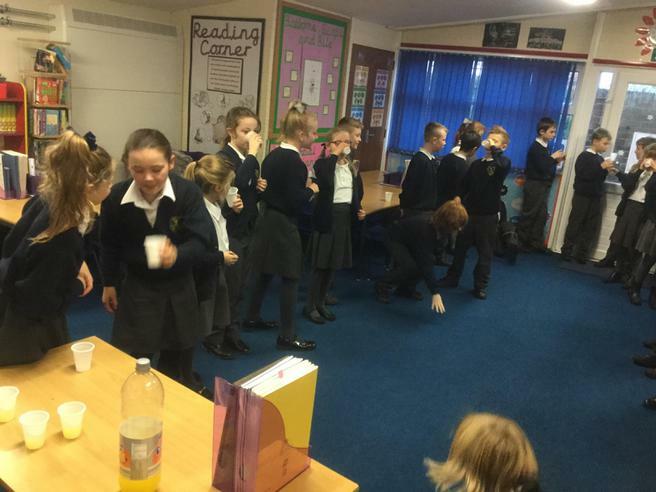 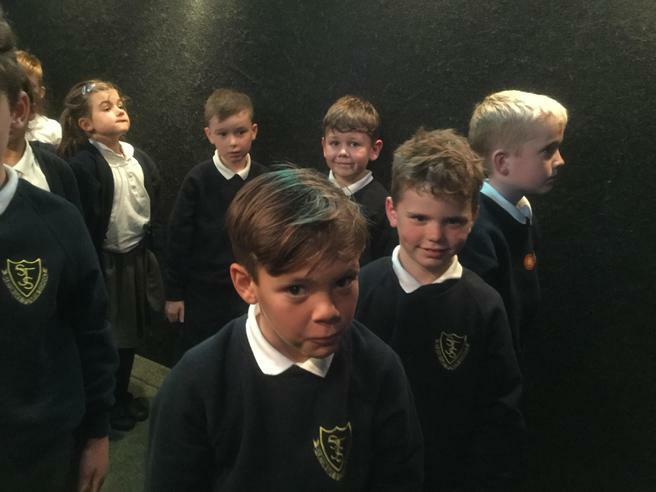 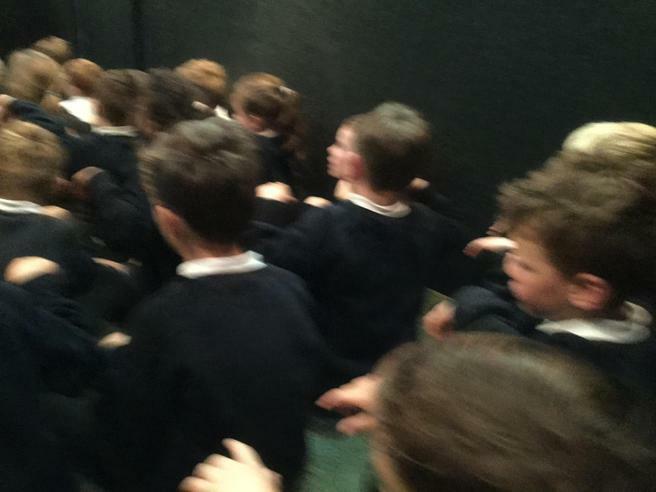 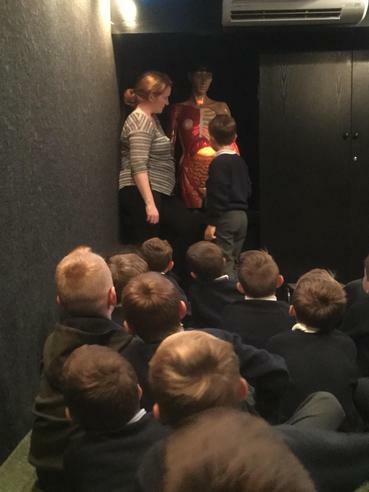 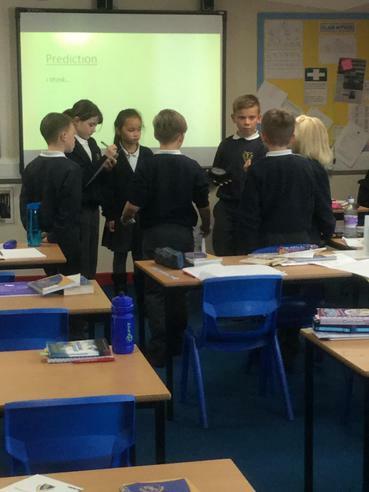 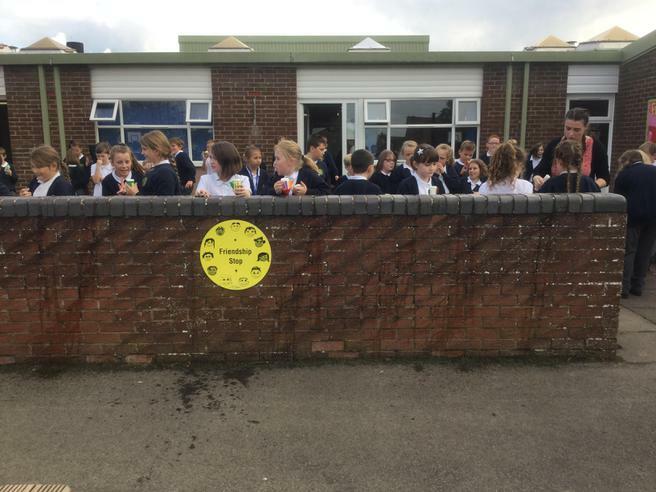 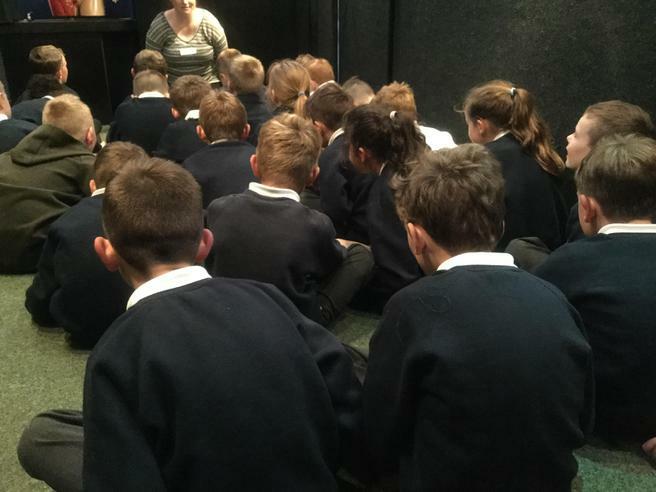 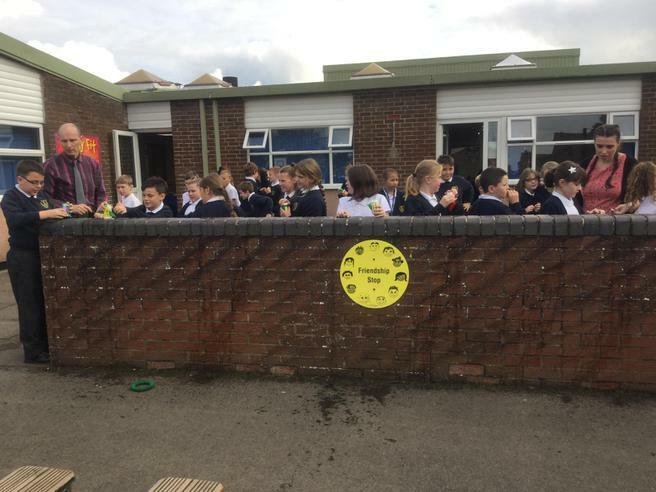 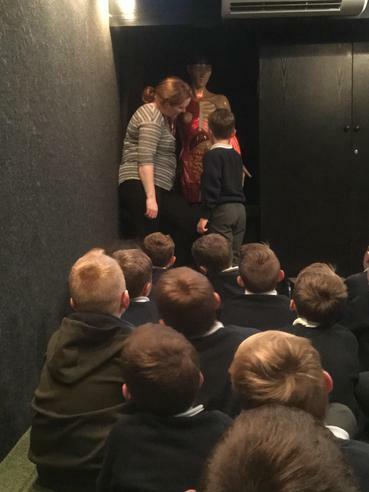 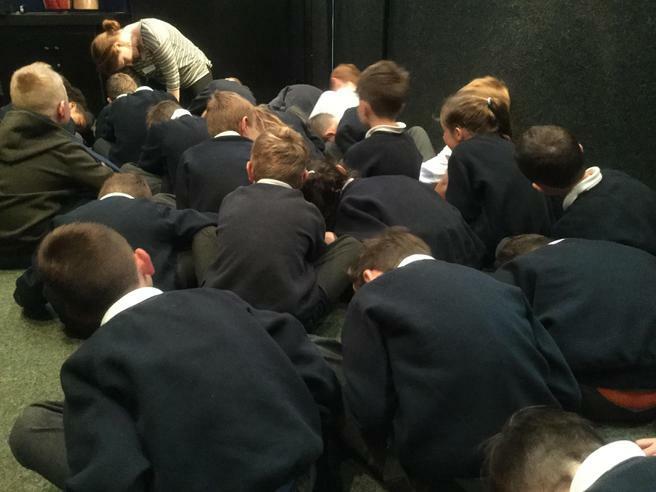 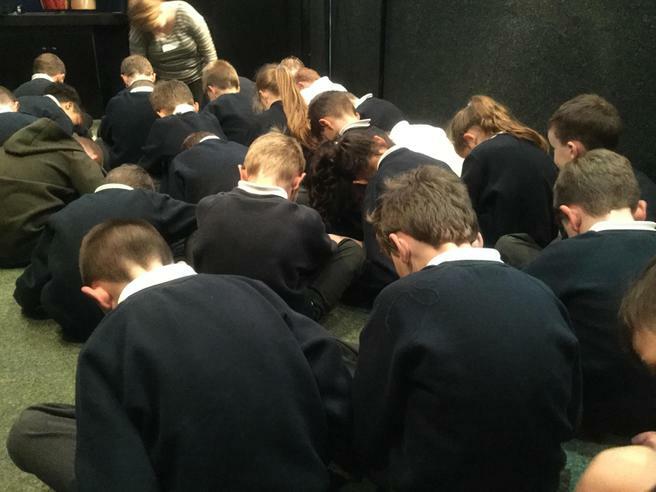 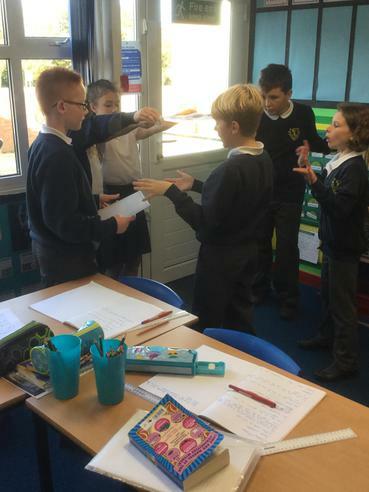 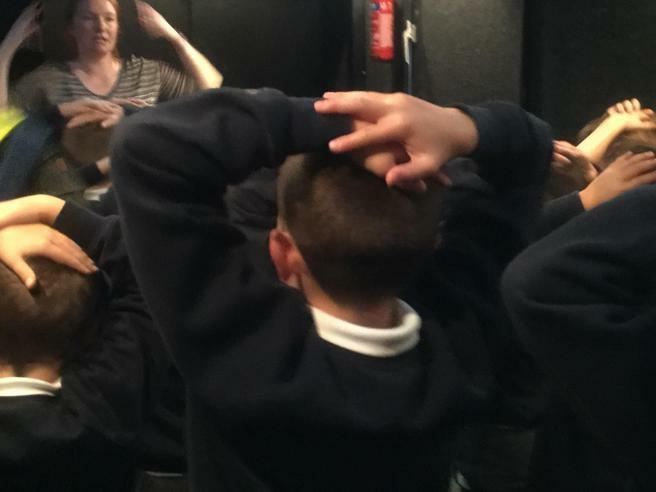 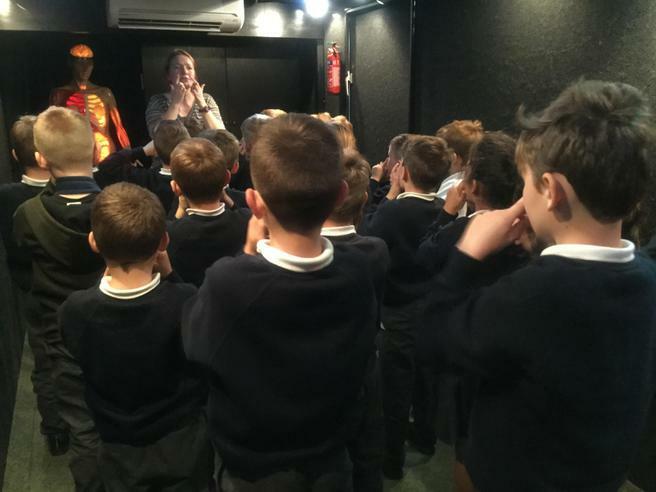 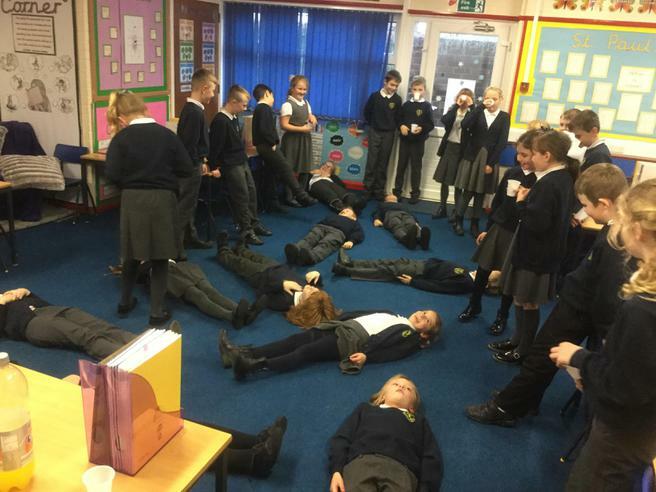 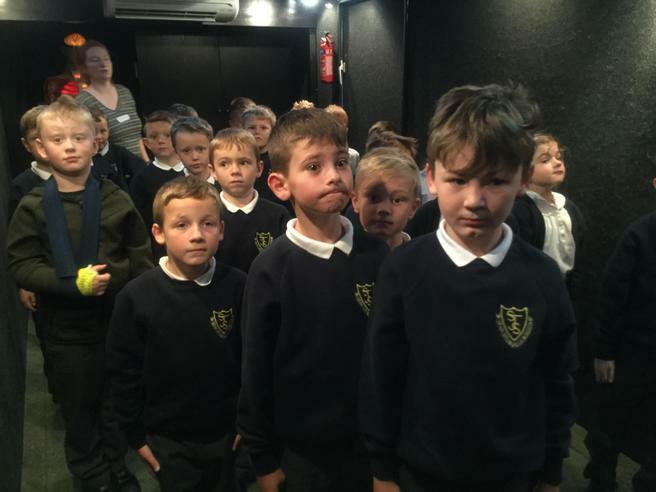 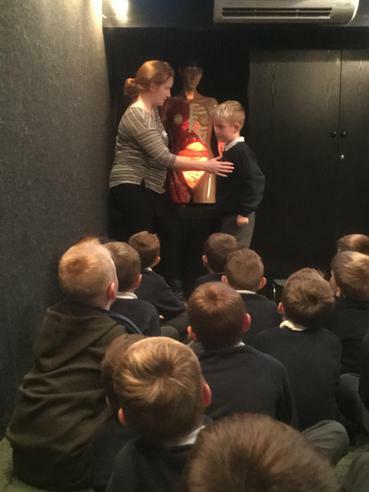 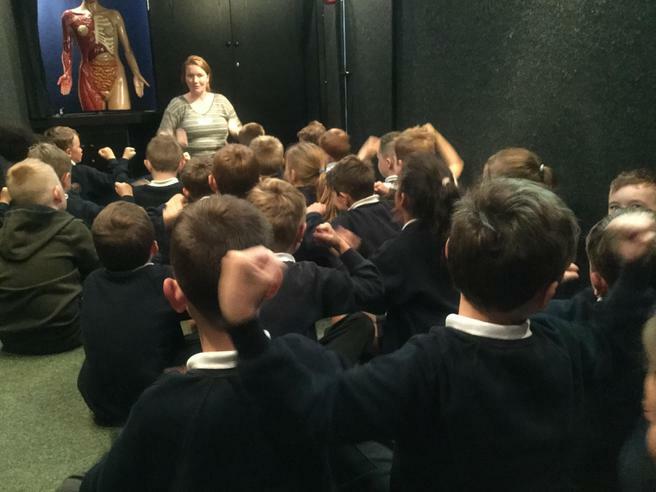 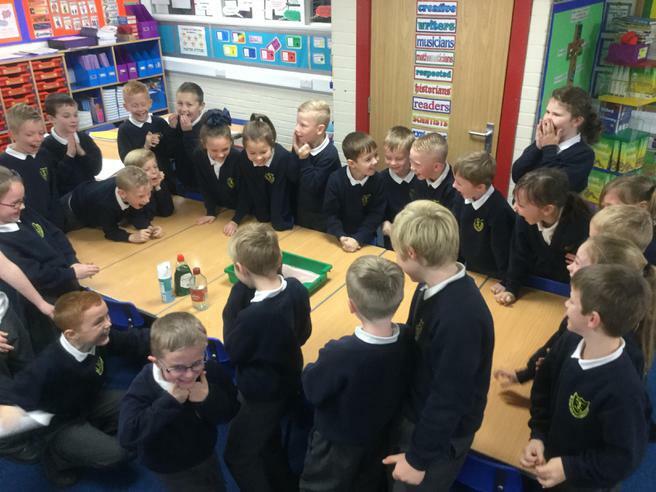 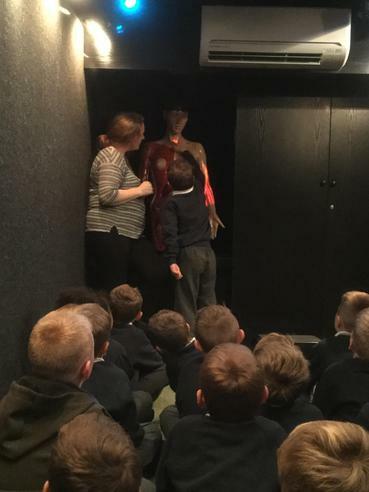 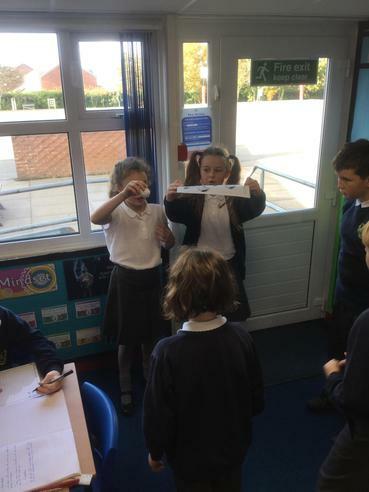 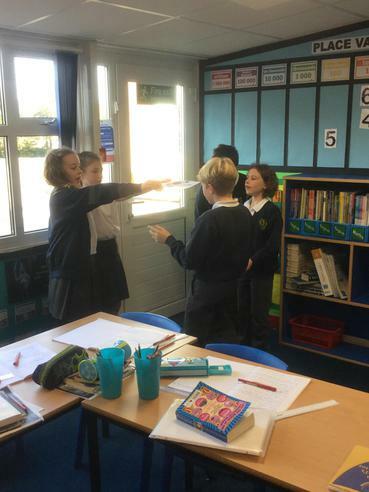 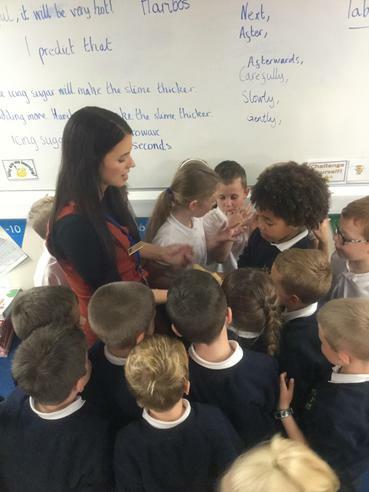 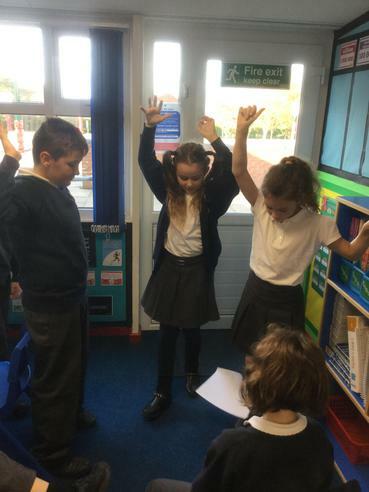 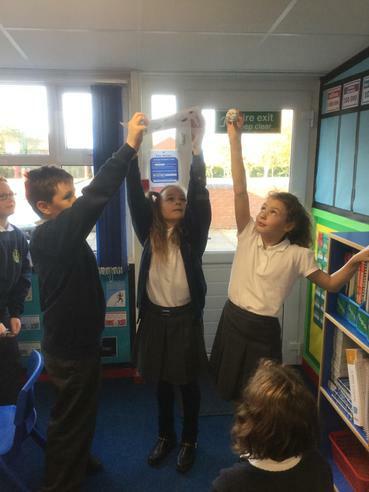 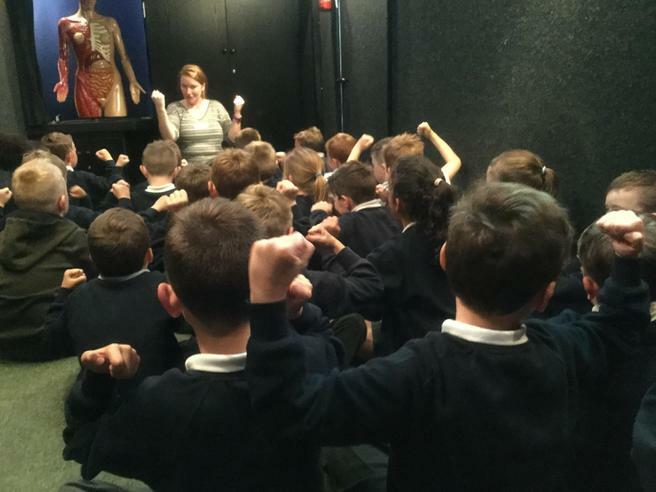 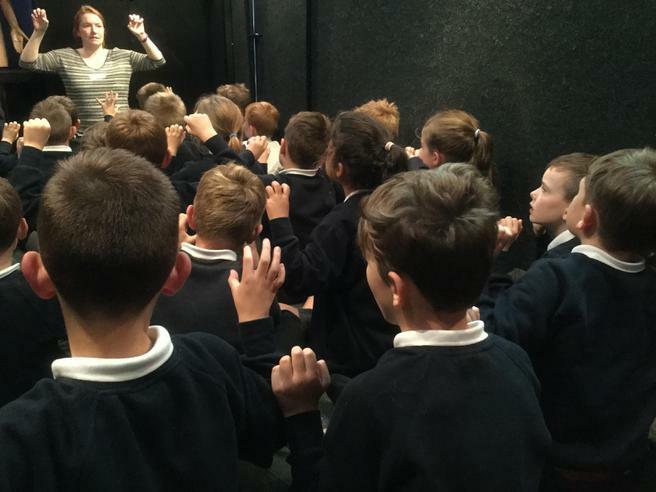 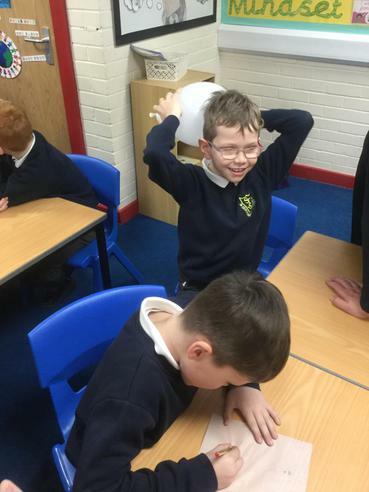 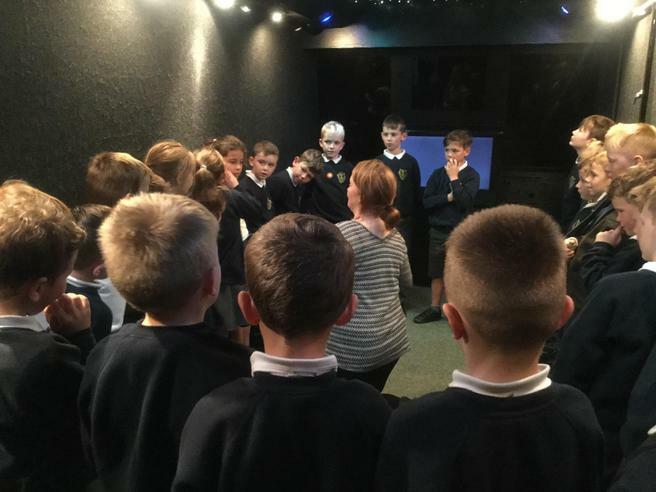 Year 4 Learning about Burping!